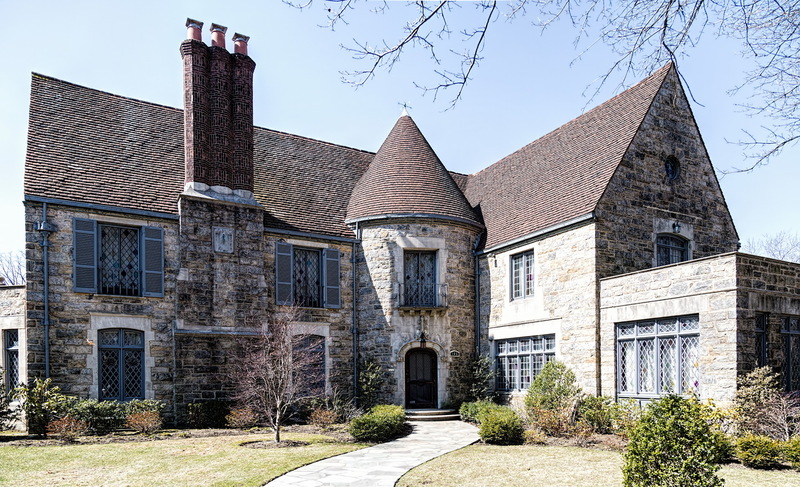 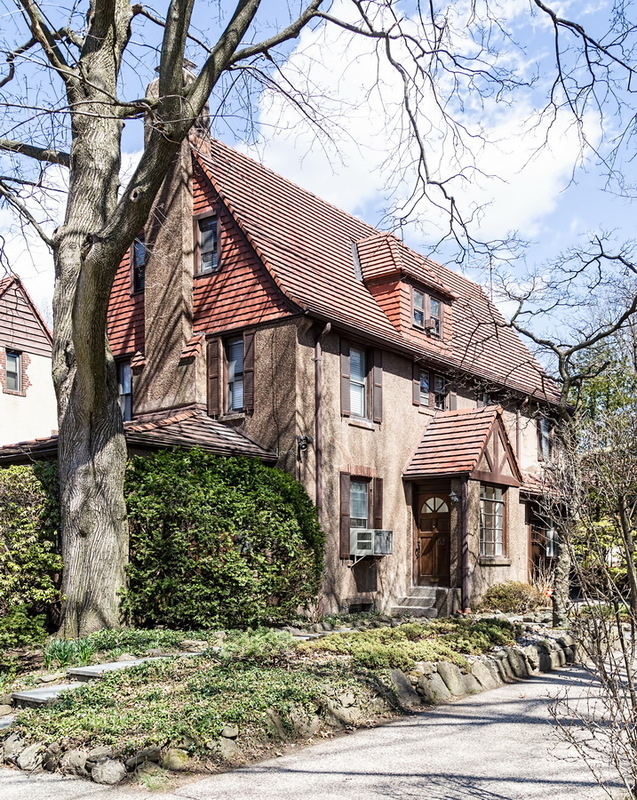 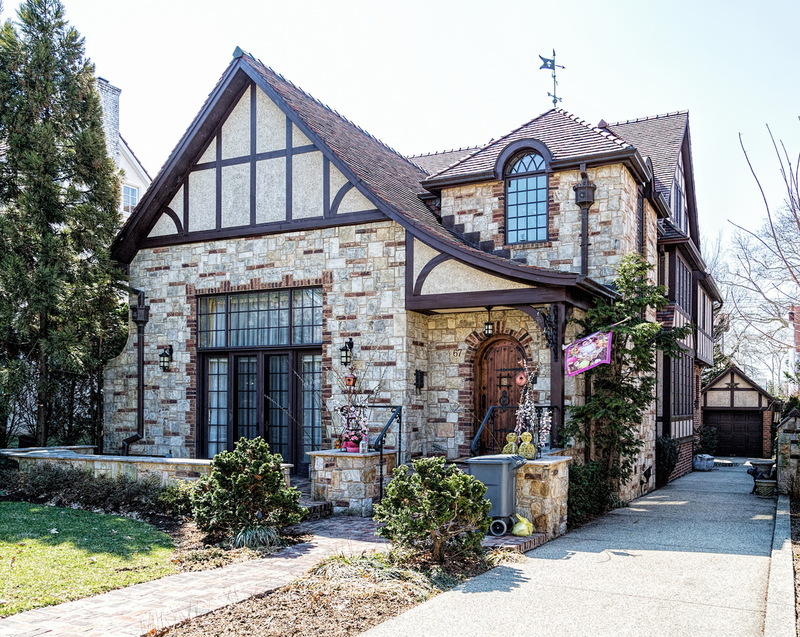 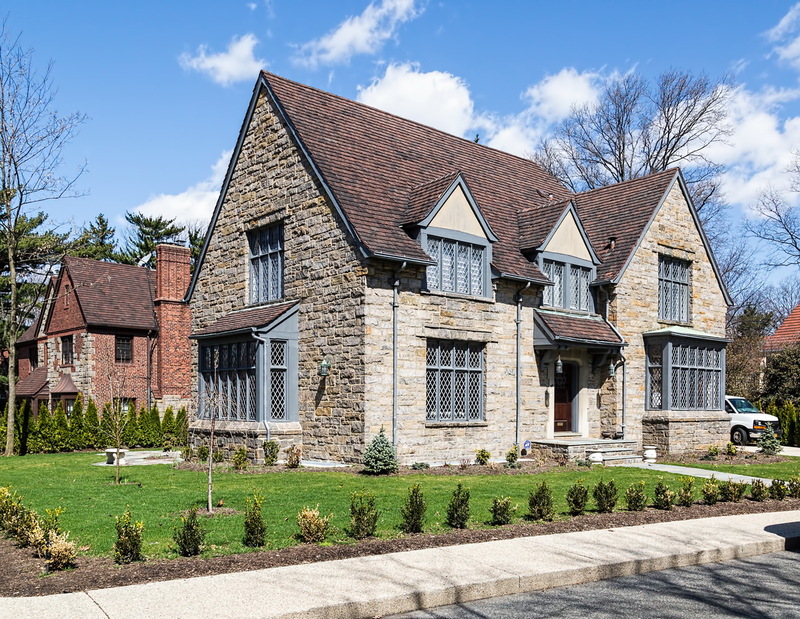 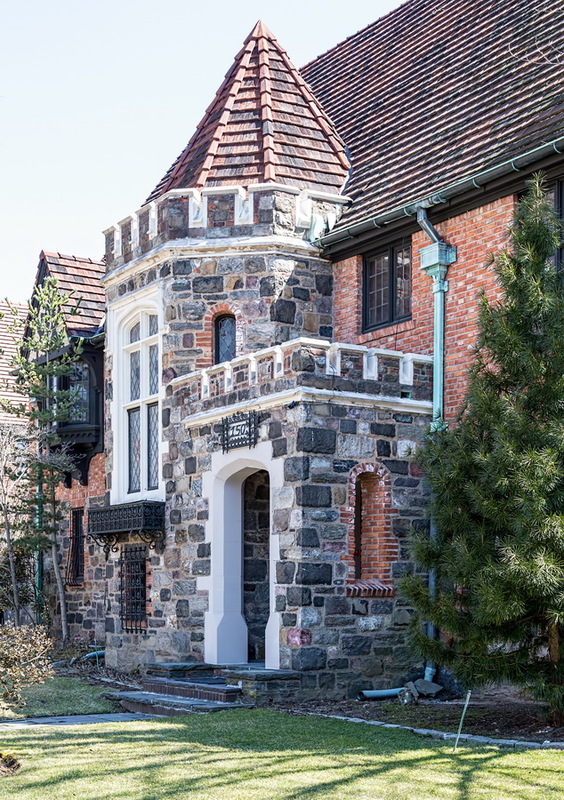 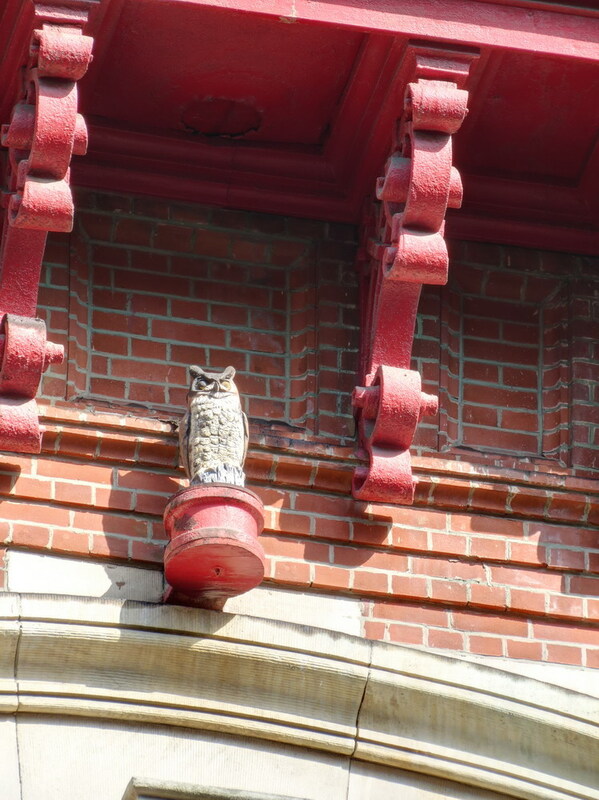 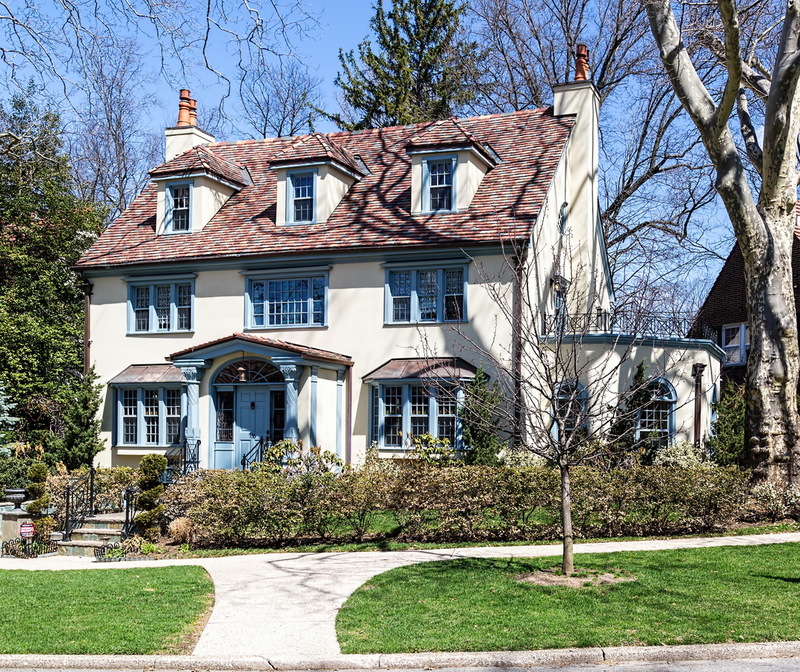 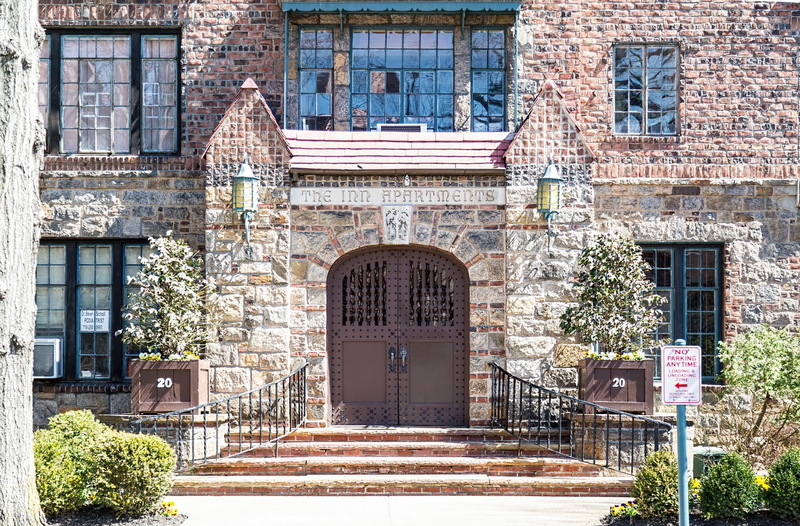 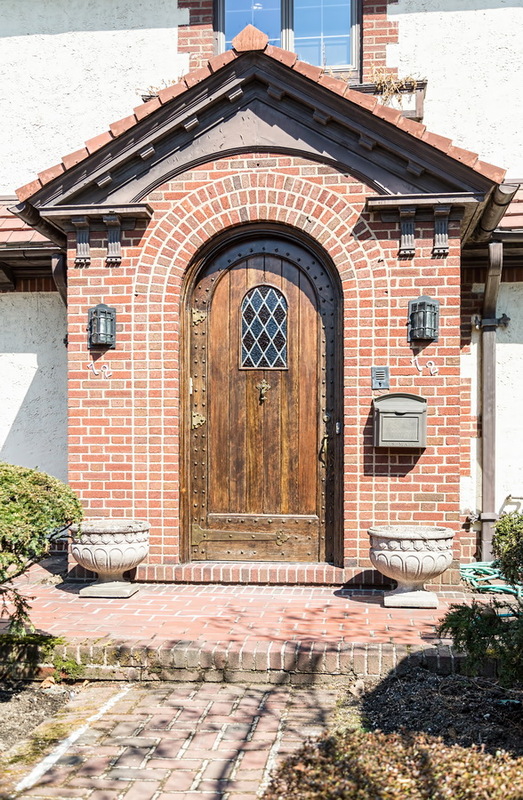 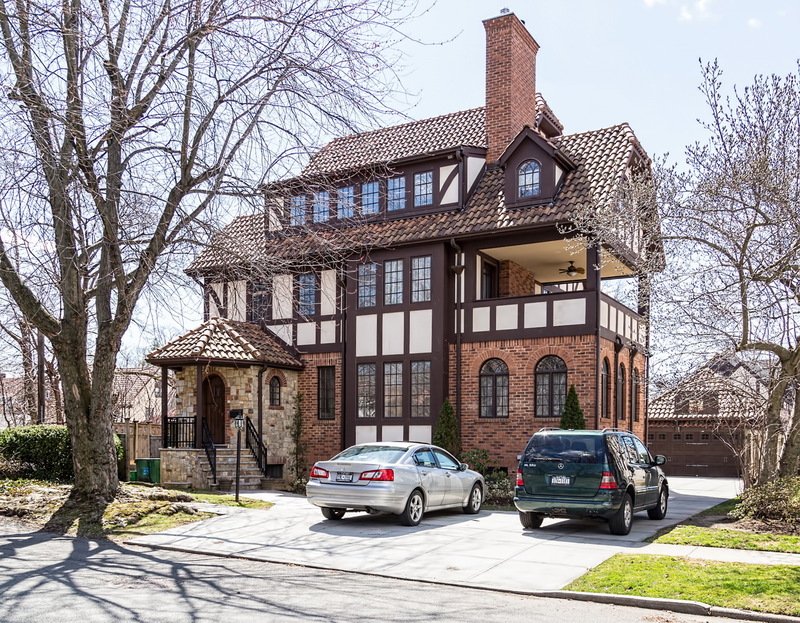 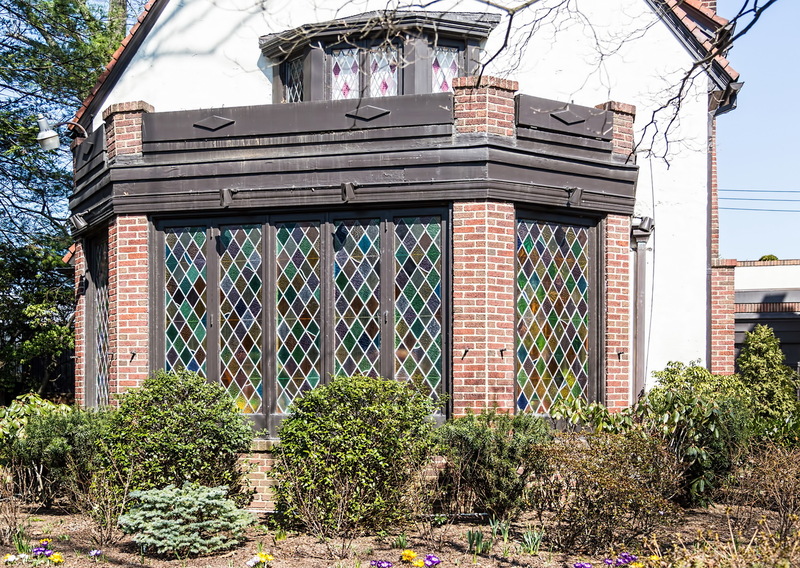 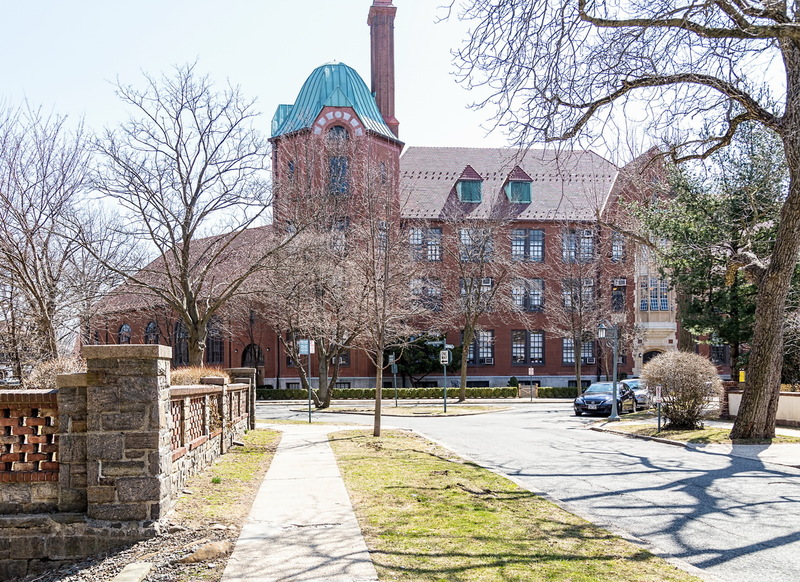 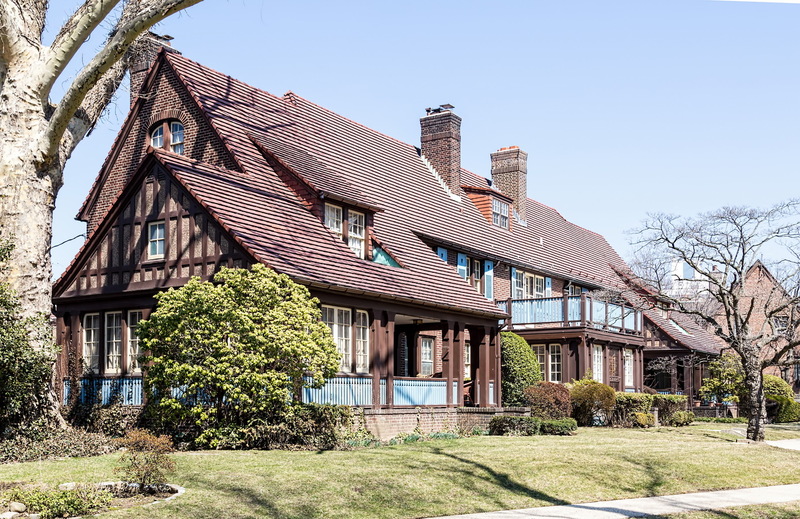 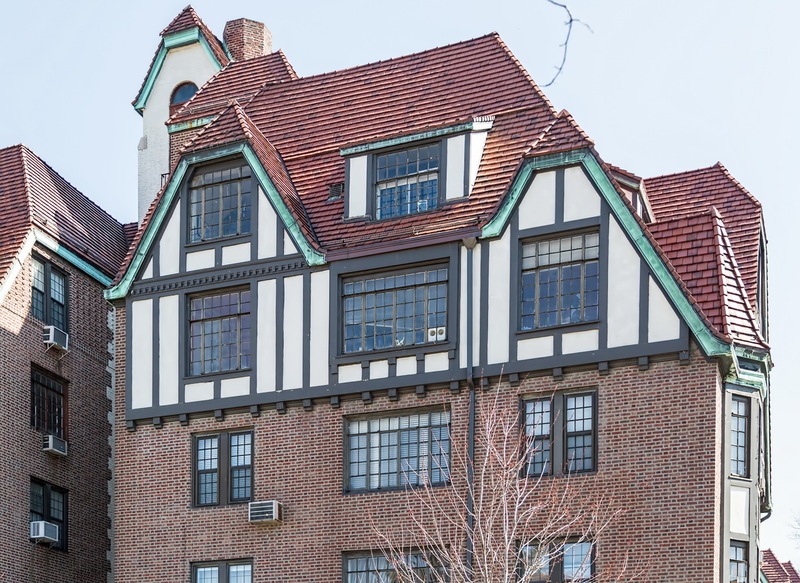 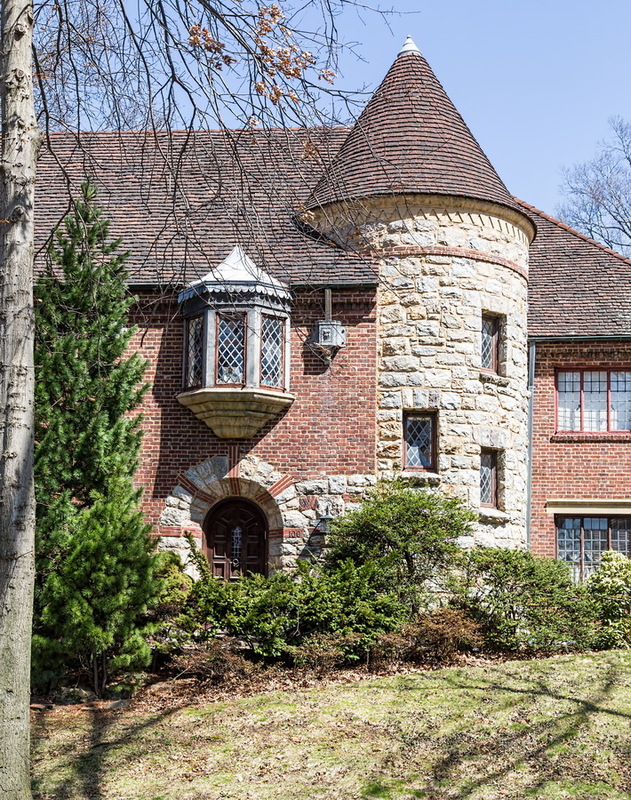 April 27, 2015 Collections, QueensForest Hills, Forest Hills Gardens, Frederick Law Olmsted Jr., Grosvenor Atterbury, landmark, New York City, queens, residential, Tudor. 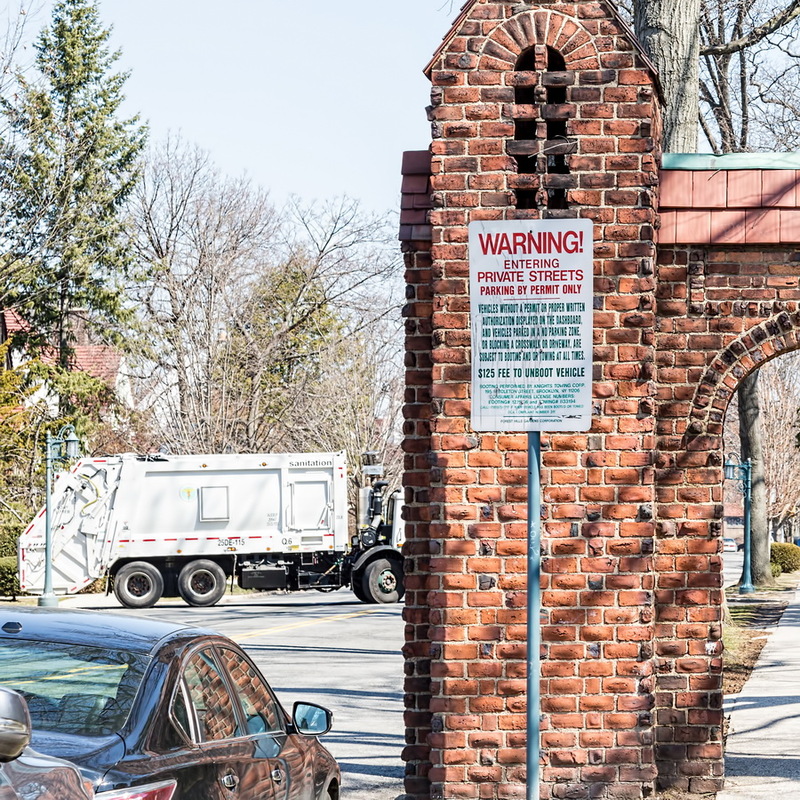 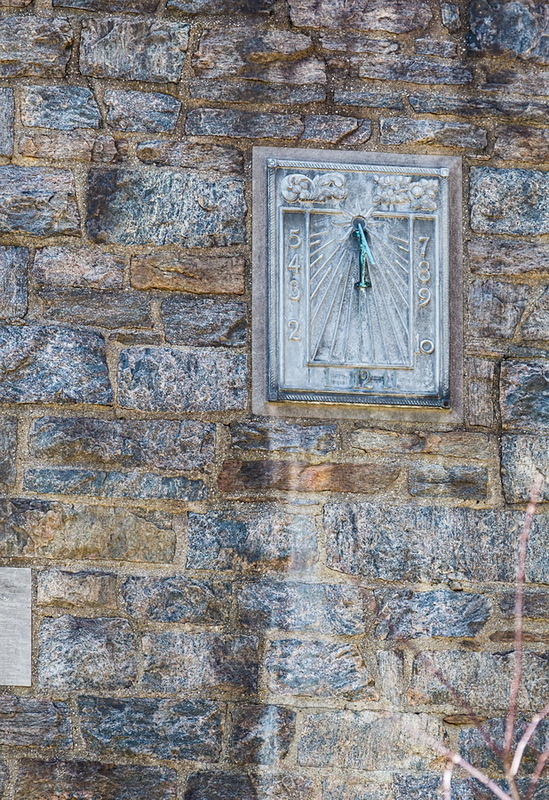 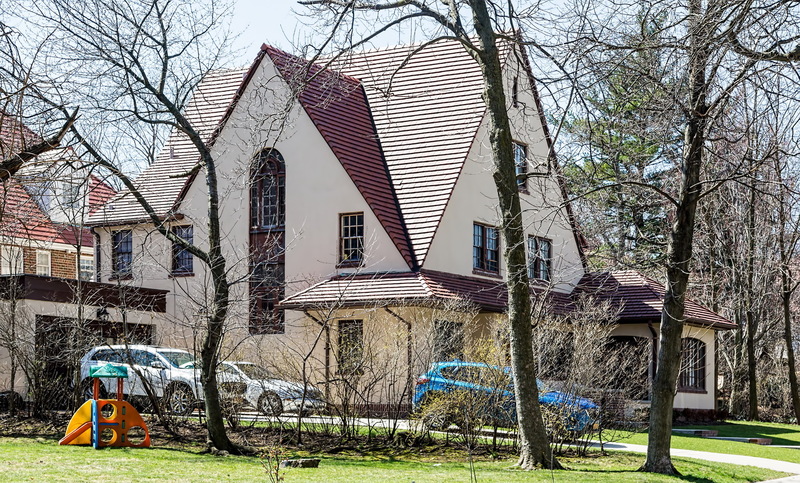 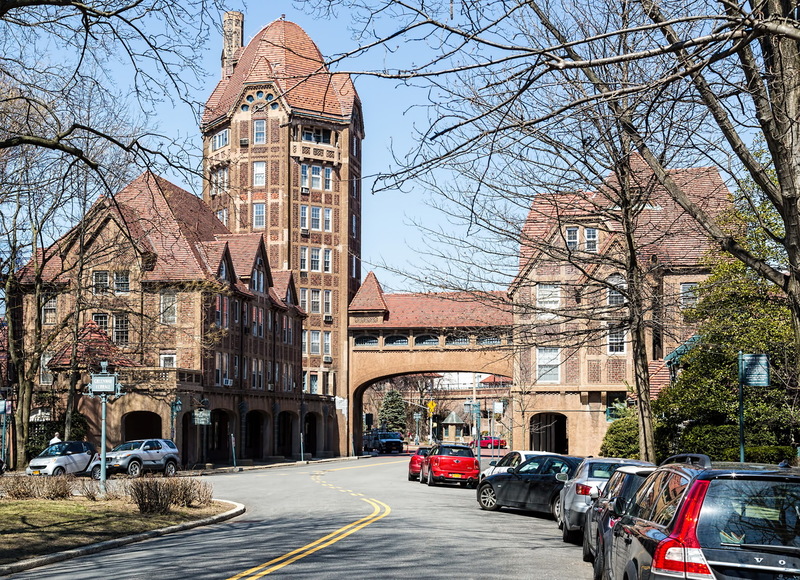 Forest Hills Gardens is a New York City fantasyland – a pricey, exclusive community that takes its privacy (and rules!) 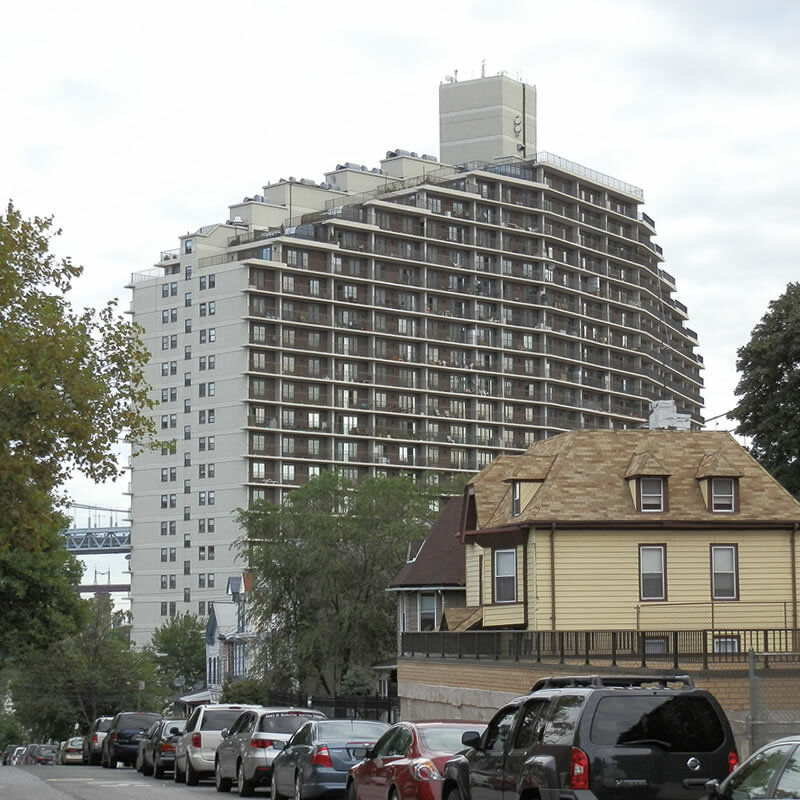 very seriously, yet began with the idea of providing affordable housing. 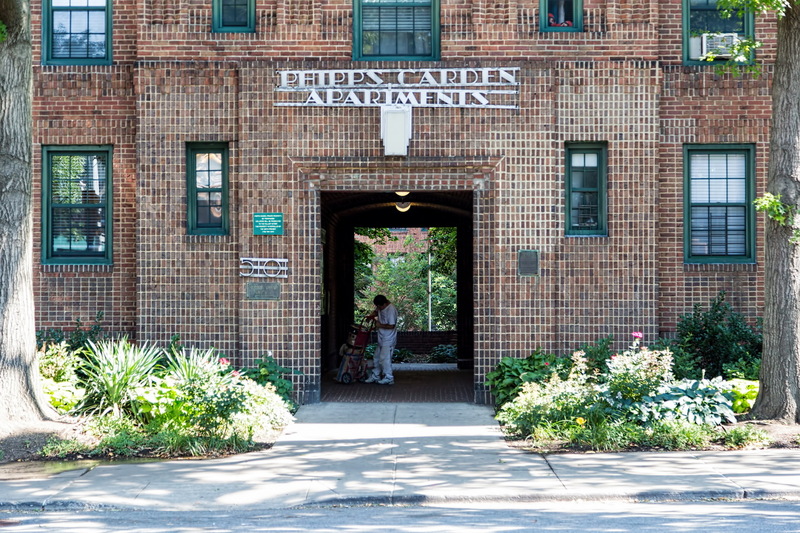 The Russell Sage Foundation bought 142 acres from Cord Meyer Development Company in 1909 to create a “Garden Cities” community for the working poor. 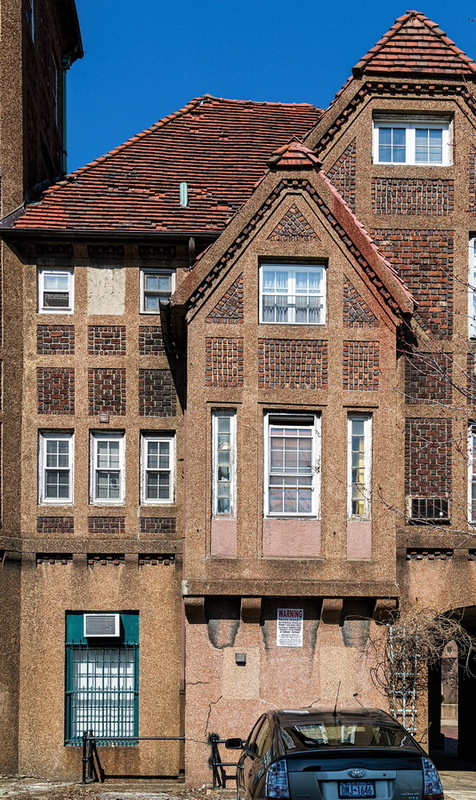 Alas, “affordable housing” soon became a myth. 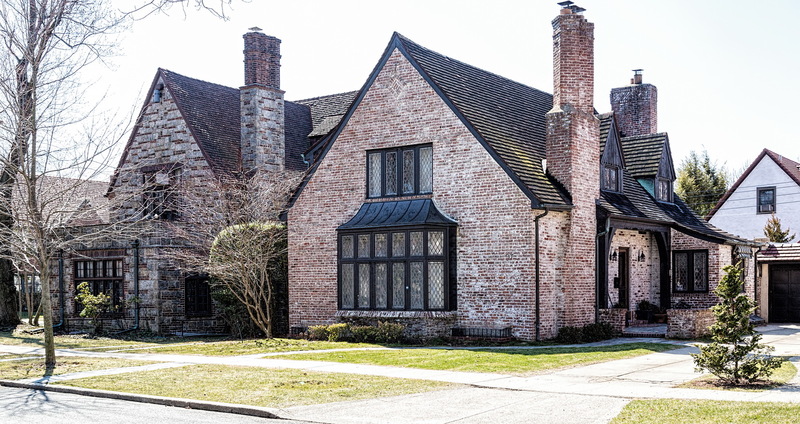 Although architect Grosvenor Atterbury used prefabrication techniques to reduce costs, home prices skyrocketed. 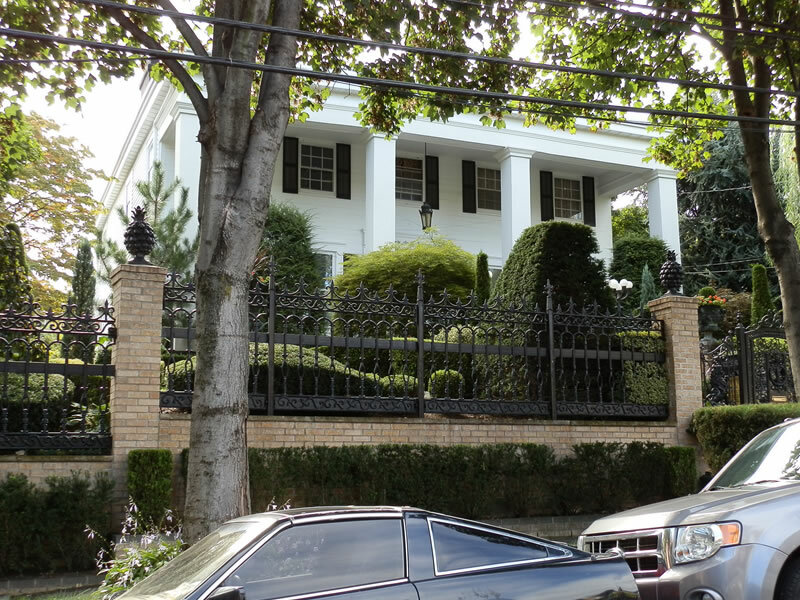 It’s fair to say that the only working poor you’ll spot in Forest Hills Gardens are the groundskeepers. 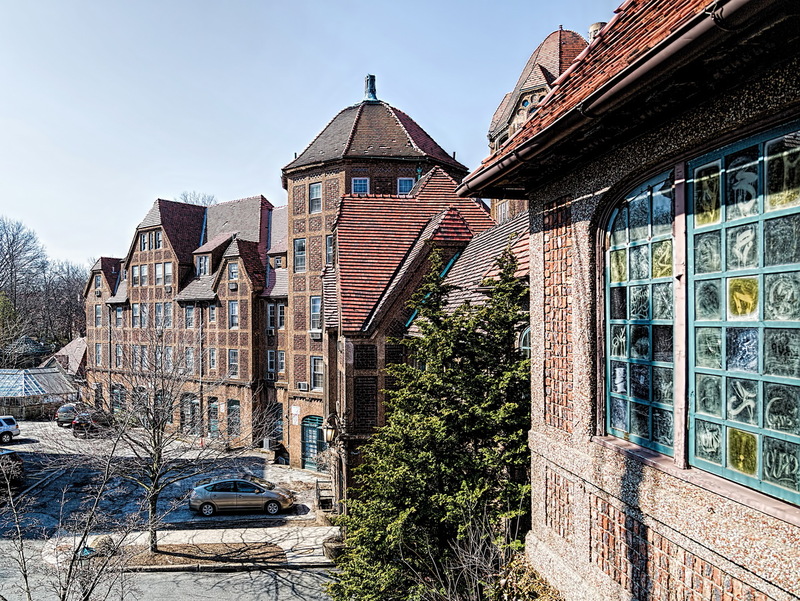 While the working class aspirations of the Russell Sage Foundation have slipped away, the architectural vision, at least, persists. 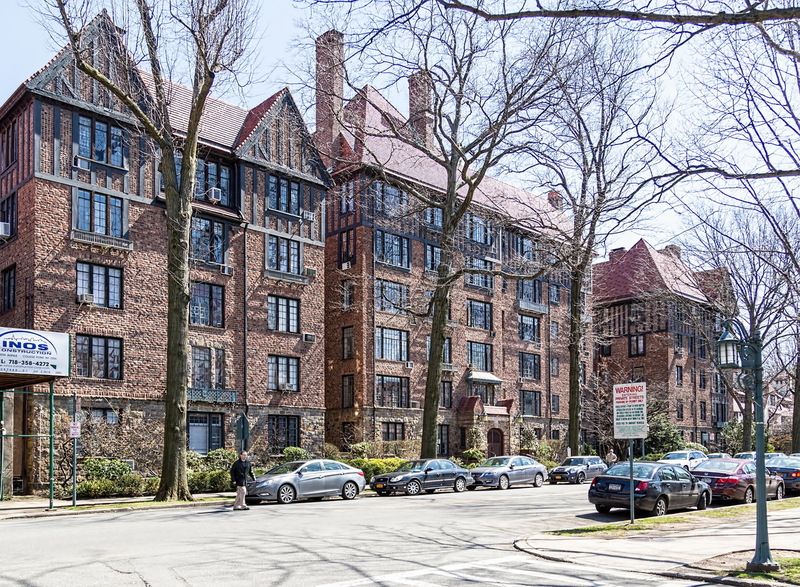 Forest Hills Gardens is beautiful. 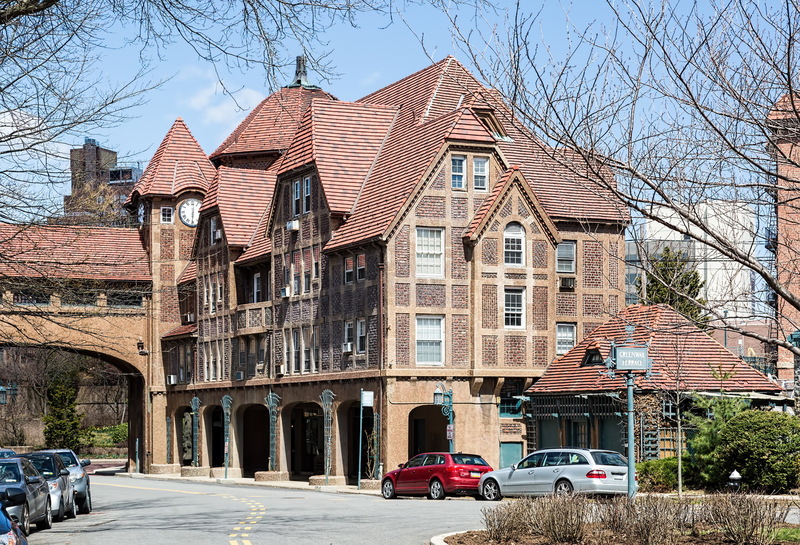 Some 800 houses and 11 apartment buildings are precisely laid out on what is now 175 acres, following architectural standards set by Atterbury and landscape architect Frederick Law Olmsted, Jr. To this day, Forest Hills Gardens Corporation enforces those architectural standards – right down to the paint colors that homeowners are allowed to use – to preserve the residential, garden community atmosphere. 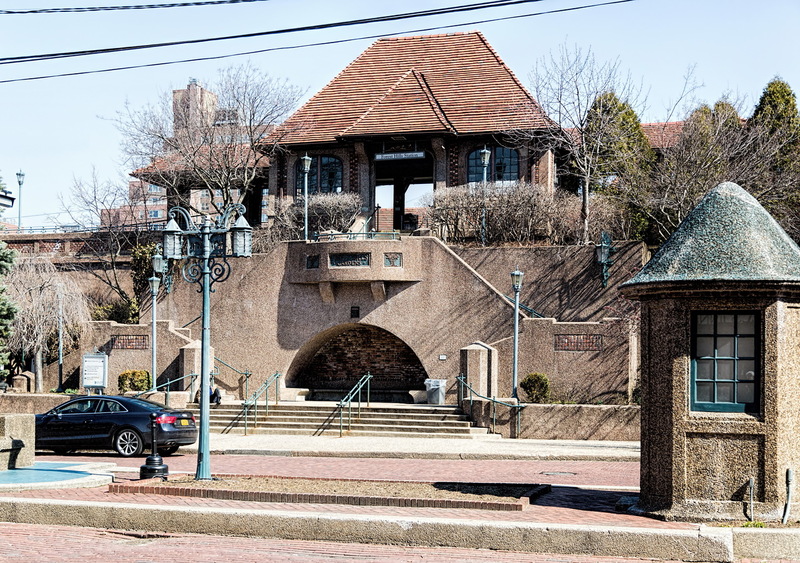 The West Side Tennis Club moved to Forest Hills in 1913, but became a victim of its own success. 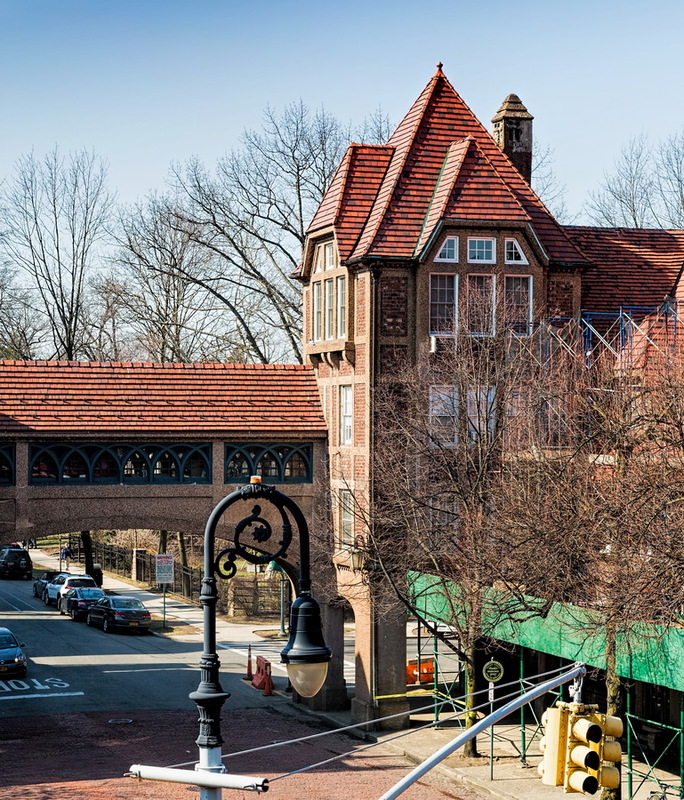 The Forest Hills Tennis Stadium drew so many tennis fans (and later, concert-goers) that it became a persona non grata because the crowds brought more traffic and trash than prestige. 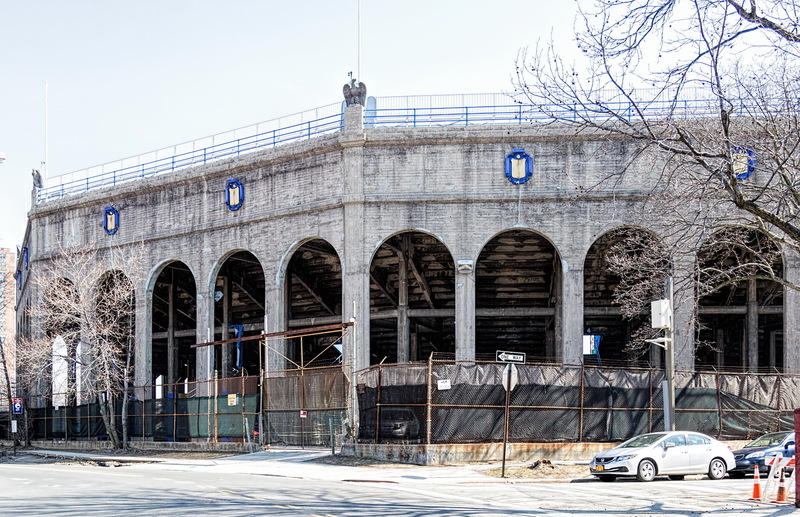 Closed for 20 years, Forest Hills Stadium is trying to make a comeback as a concert venue. 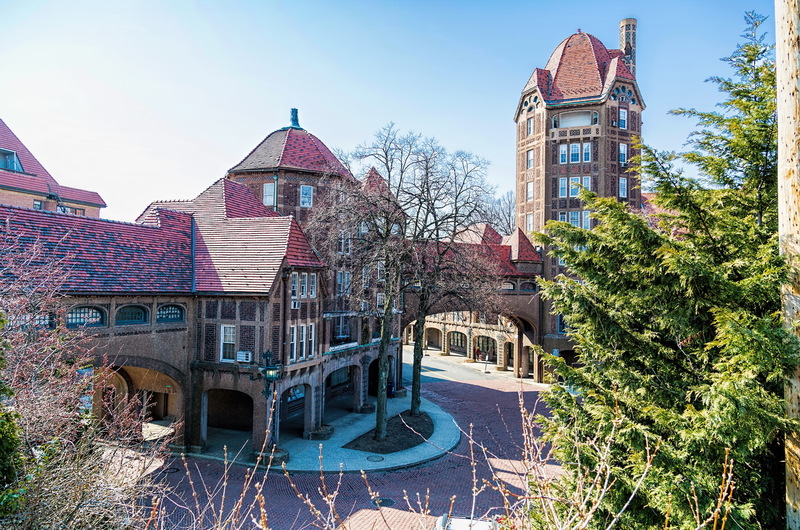 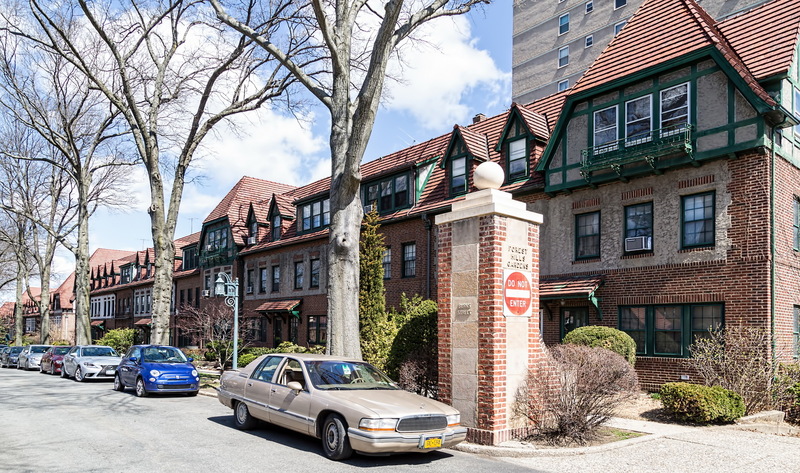 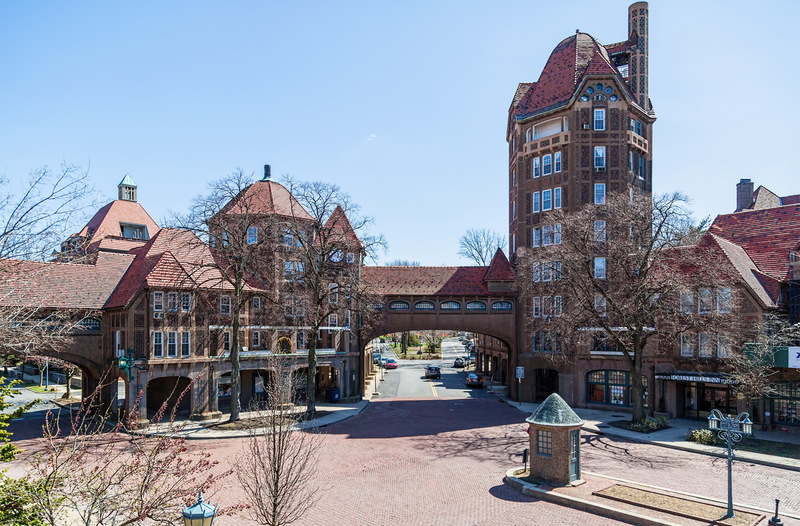 Landscape Architect: Frederick Law Olmsted, Jr.
April 24, 2015 Queens1 Station Square, 1912, Forest Hills, Forest Hills Gardens, Forest Hills Inn, Grosvenor Atterbury, New York City, queens, residential, Tudor. 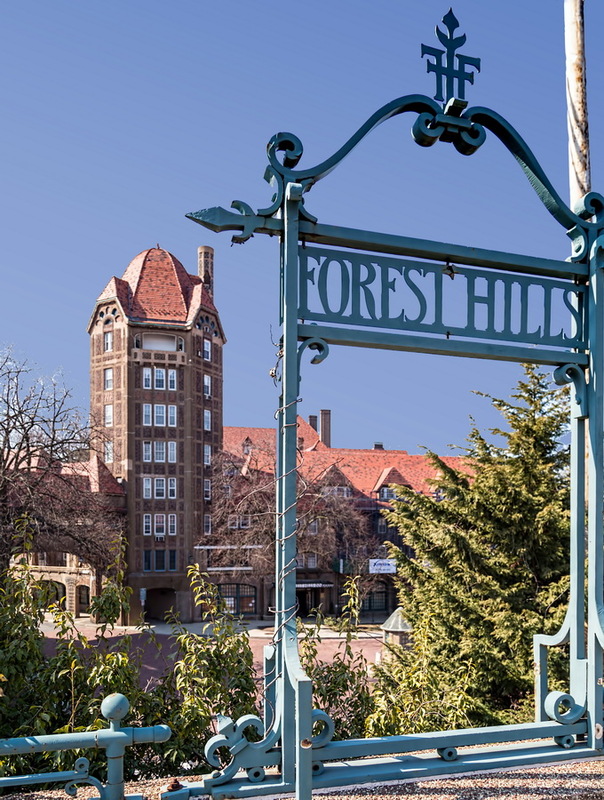 Forest Hills Inn is the first thing a visitor sees when entering Forest Hills Gardens at Station Square. 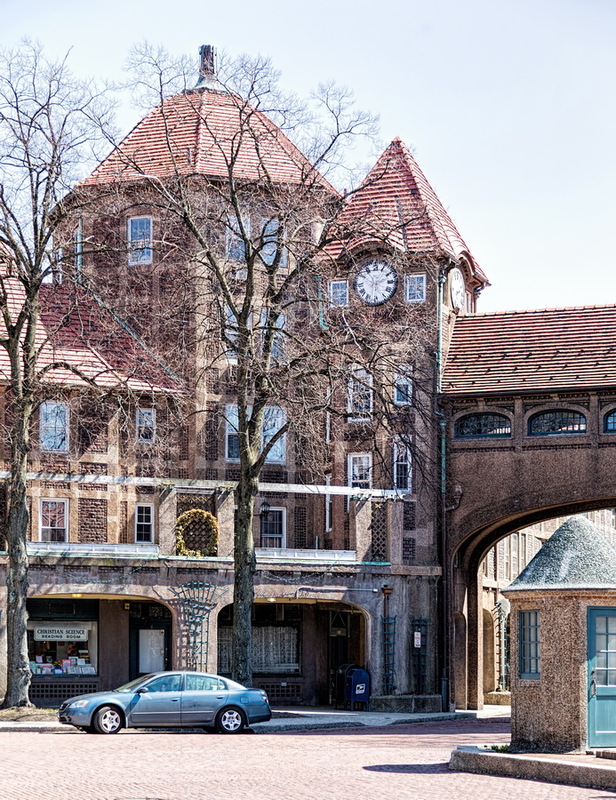 The nine-story Tudor-styled building towers over the square and the Long Island Railroad station that it faces. 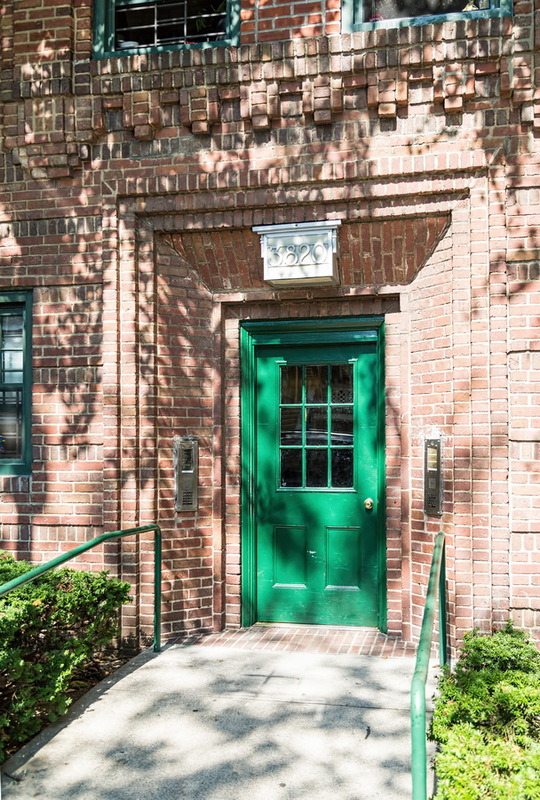 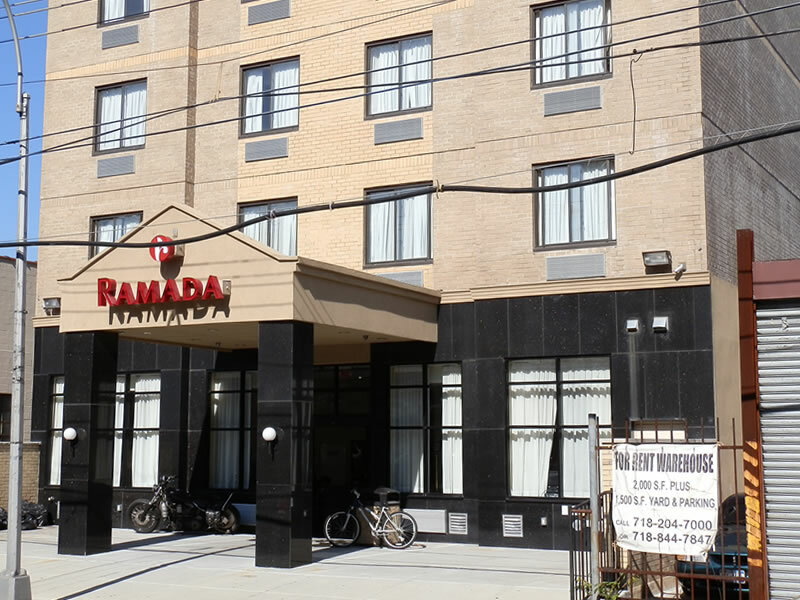 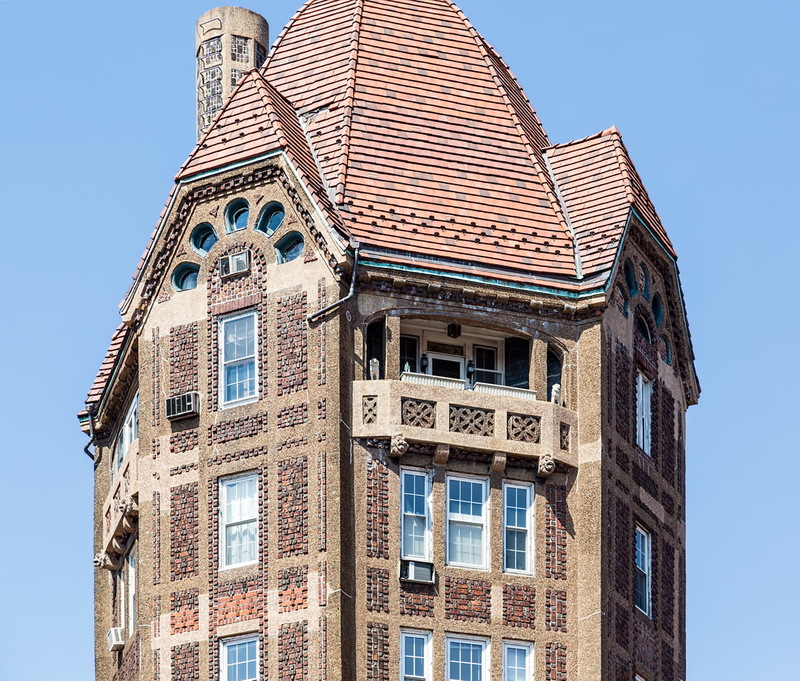 It’s an Inn in name only: The 1912 relic, surprisingly not landmarked, turned coop in 1967. 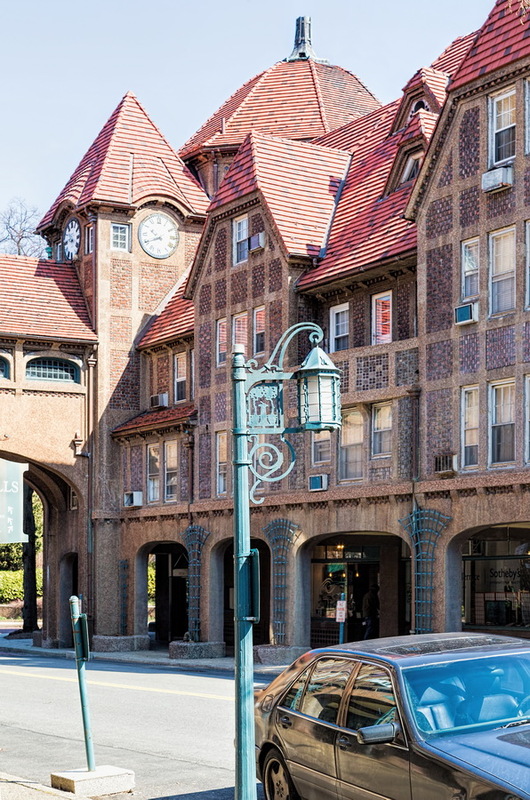 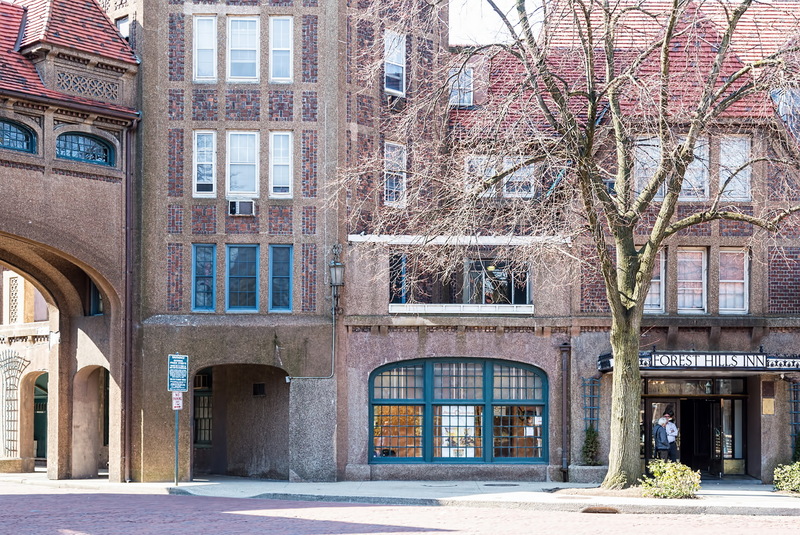 The Inn is actually three connected buildings on Station Square (a fourth building, Forest Hills Inn Apartments, was added in 1917). 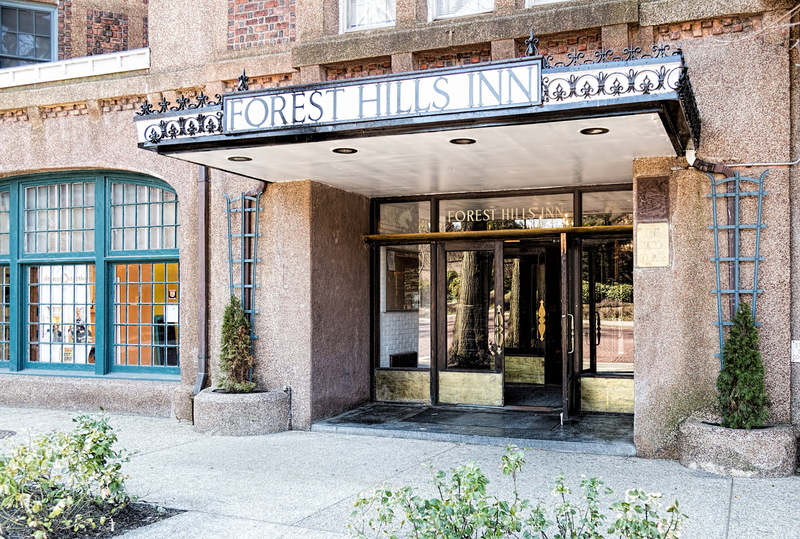 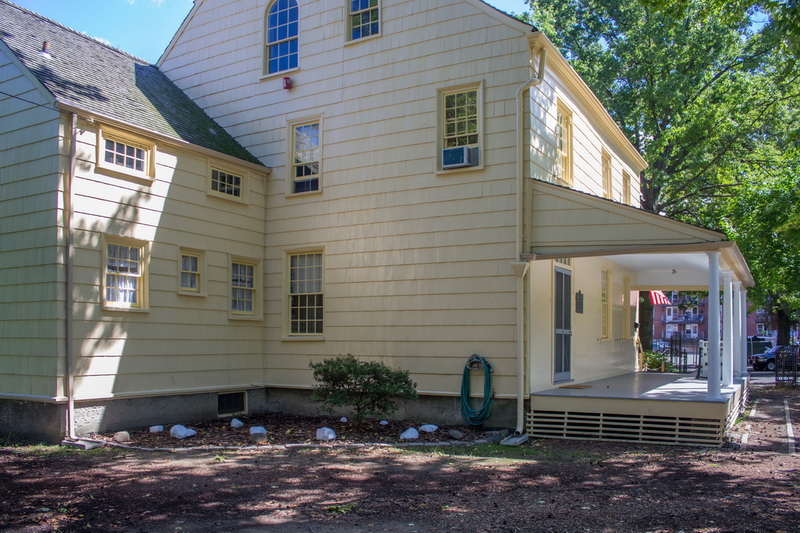 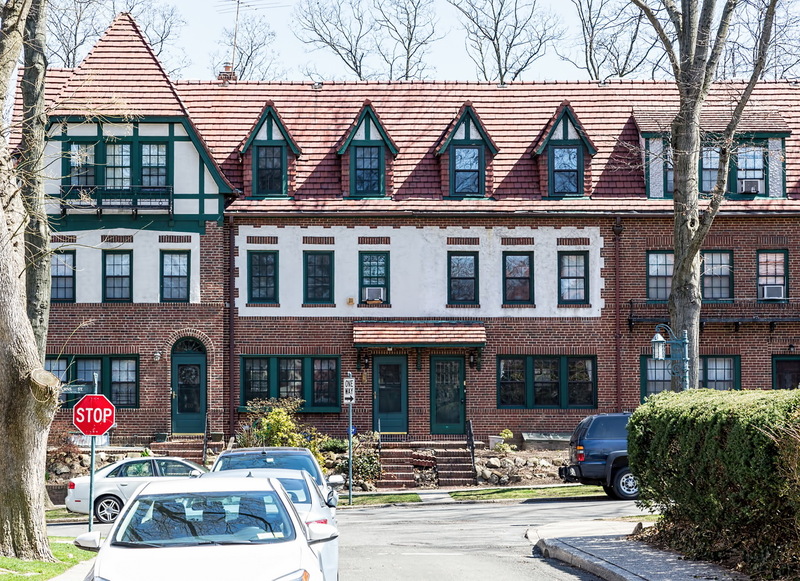 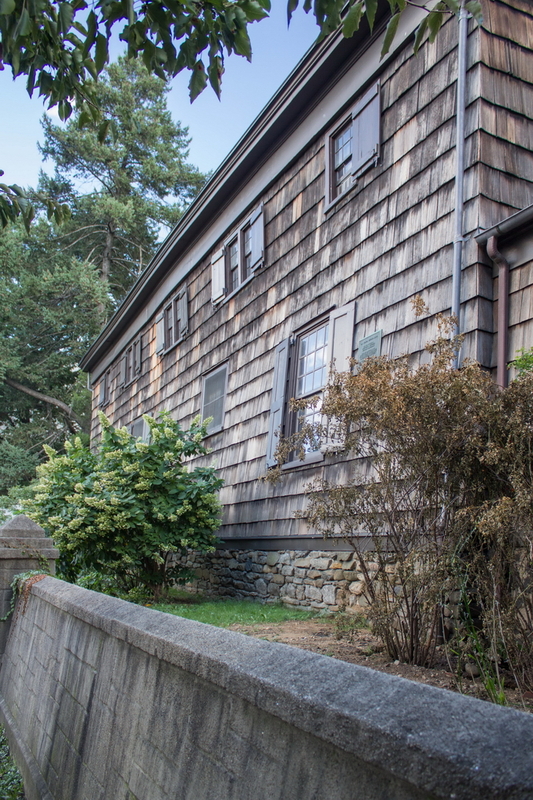 In its heyday, Forest Hills Inn had 150 rooms and hosted public events. 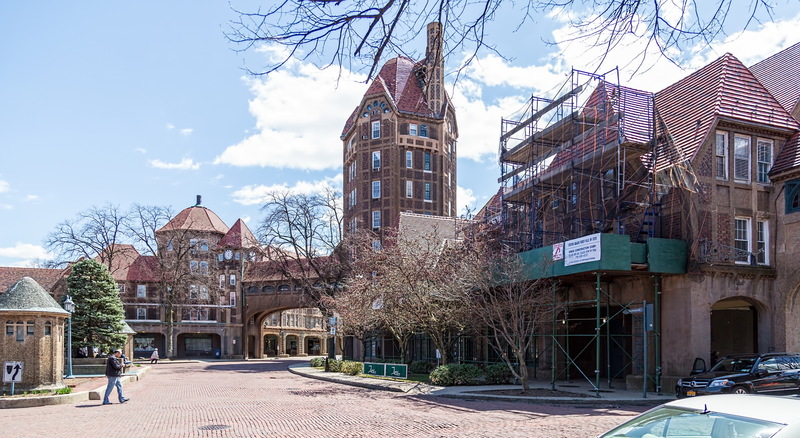 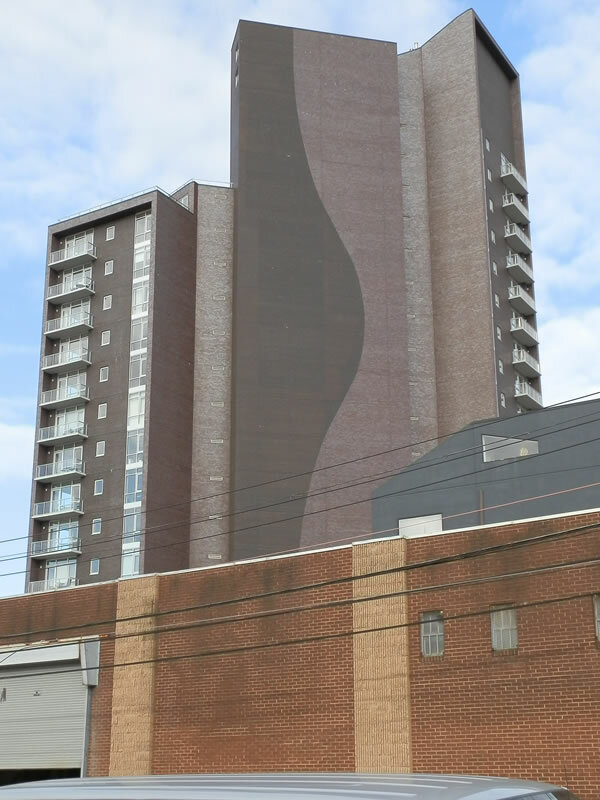 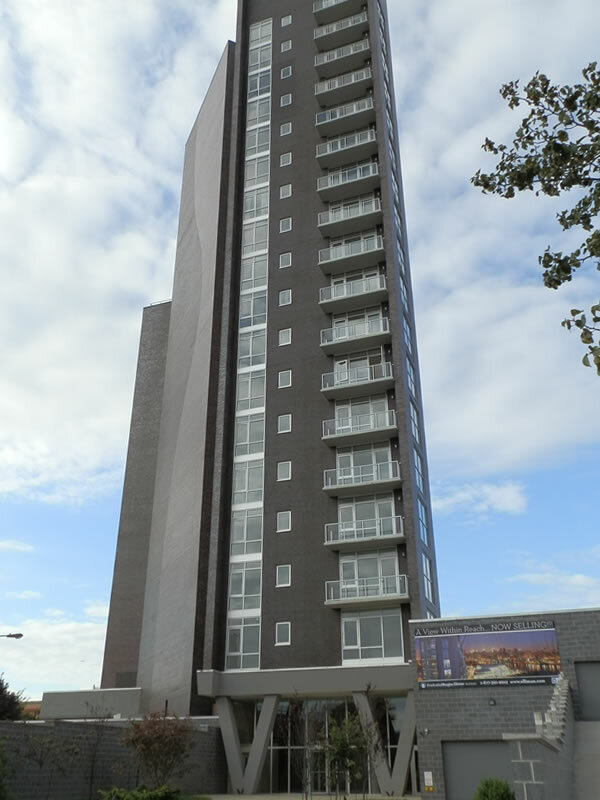 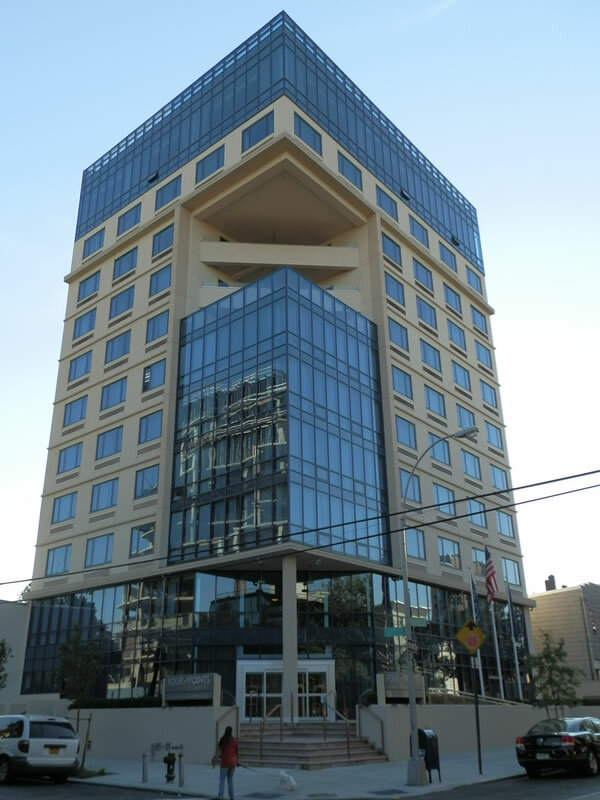 Now, it has 50 apartments plus retail spaces including a cafe on Station Square. 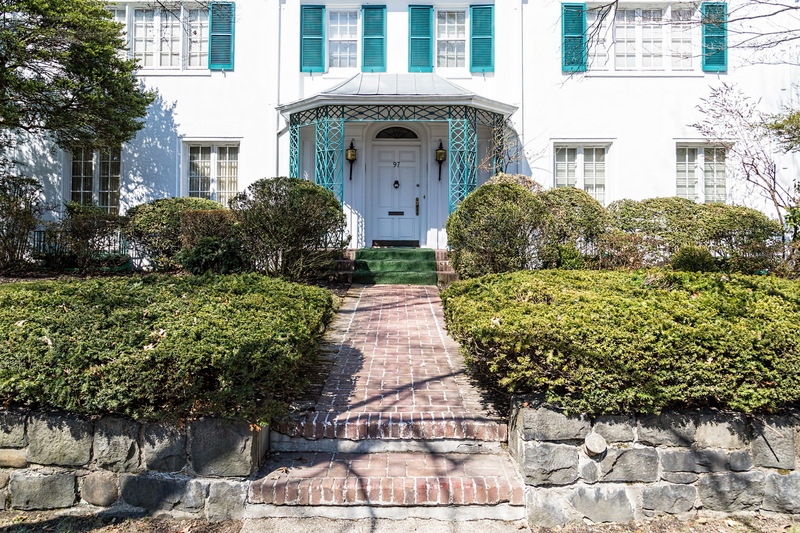 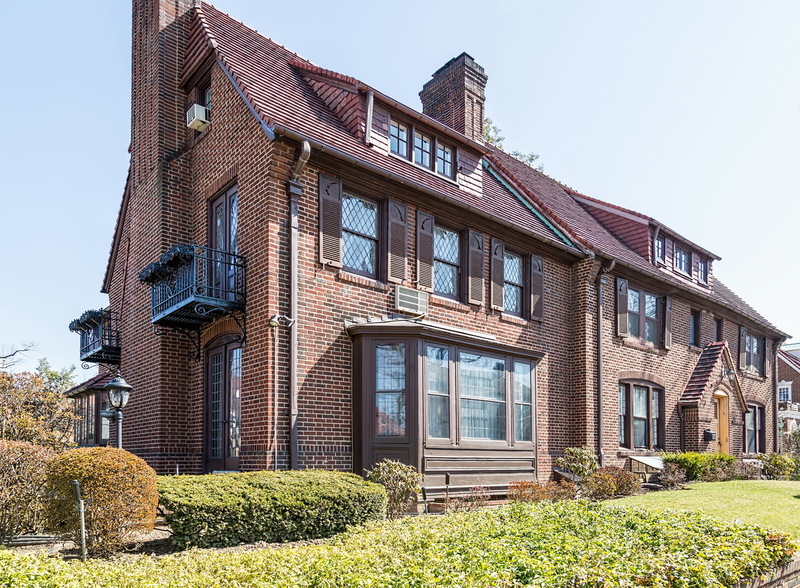 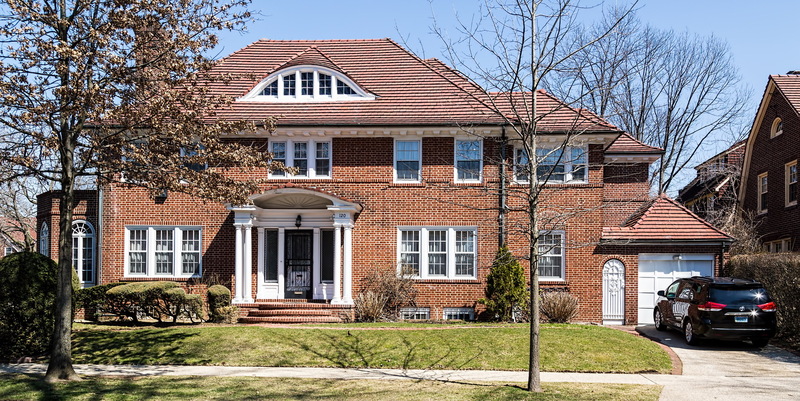 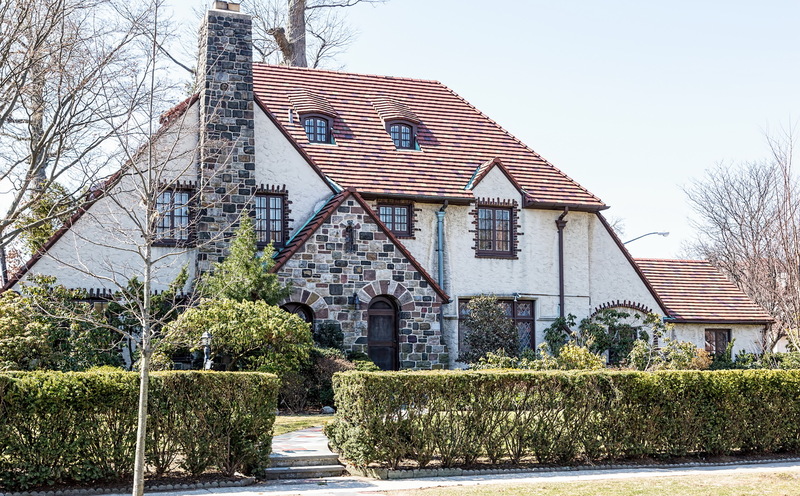 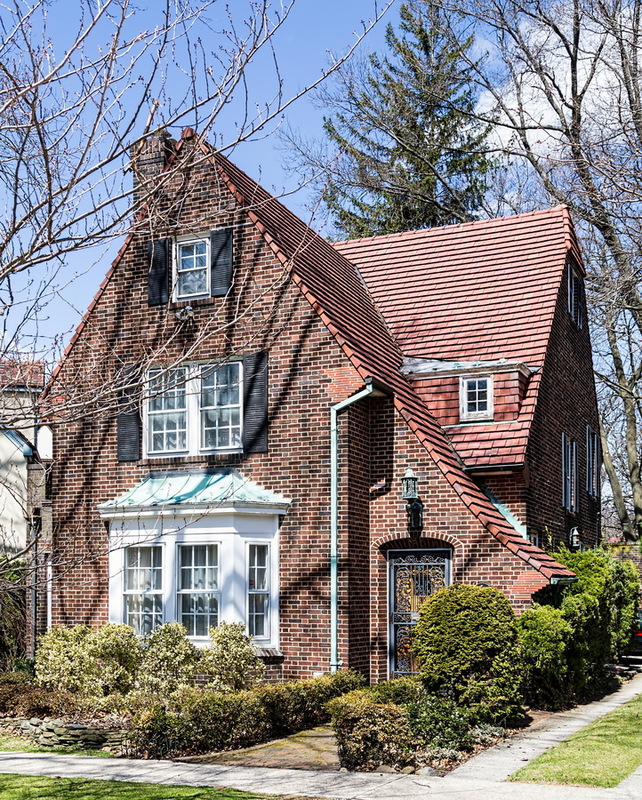 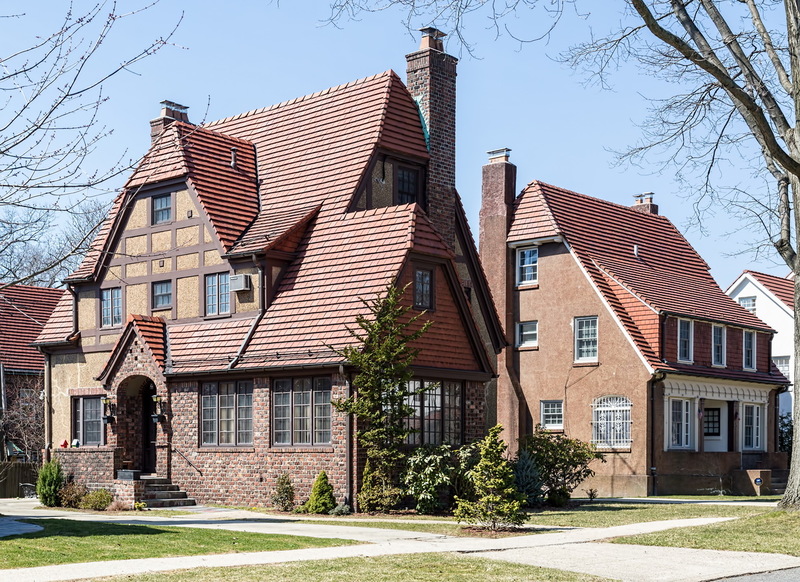 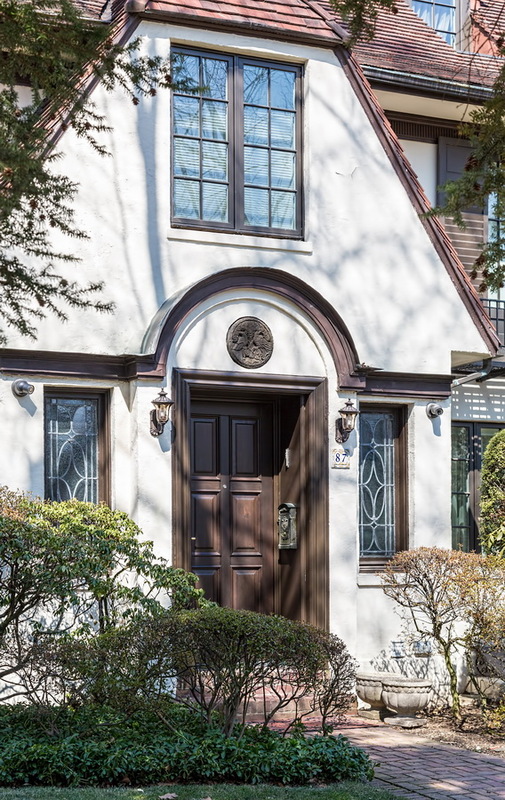 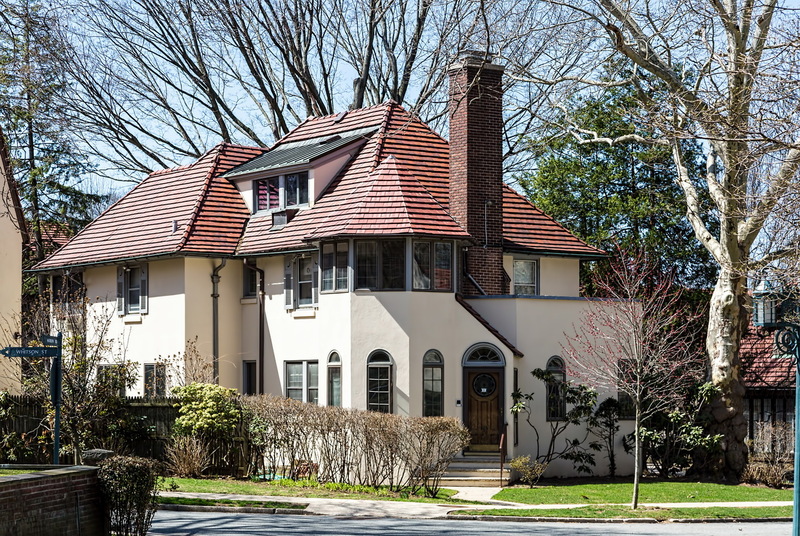 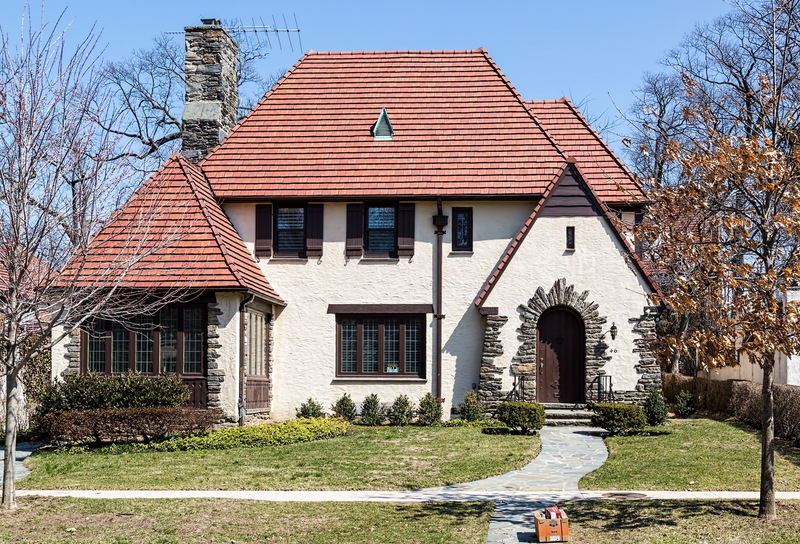 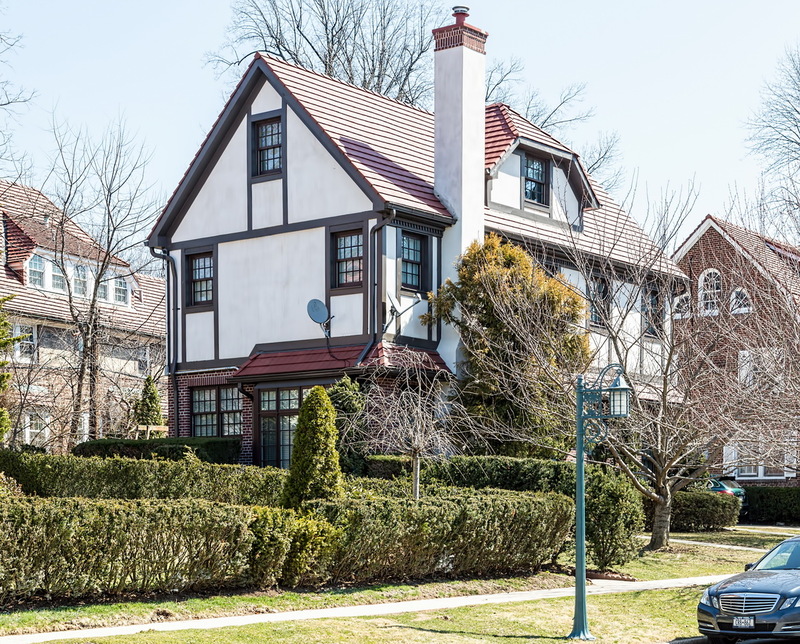 April 3, 2015 Collections, Queens1927, 1932, 1935, clarence stein, colonial revival, henry wright, landmark, New York City, queens, residential, sunnyside, Sunnyside Gardens. 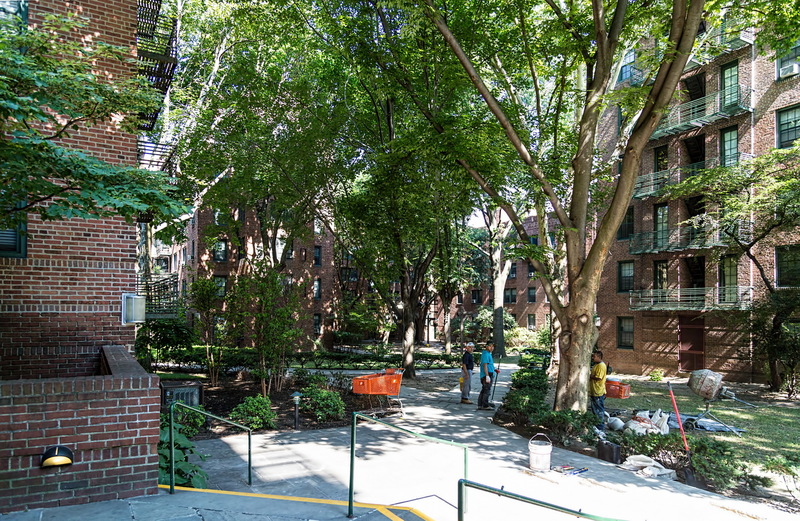 Sunnyside Gardens is among America’s first planned communities. 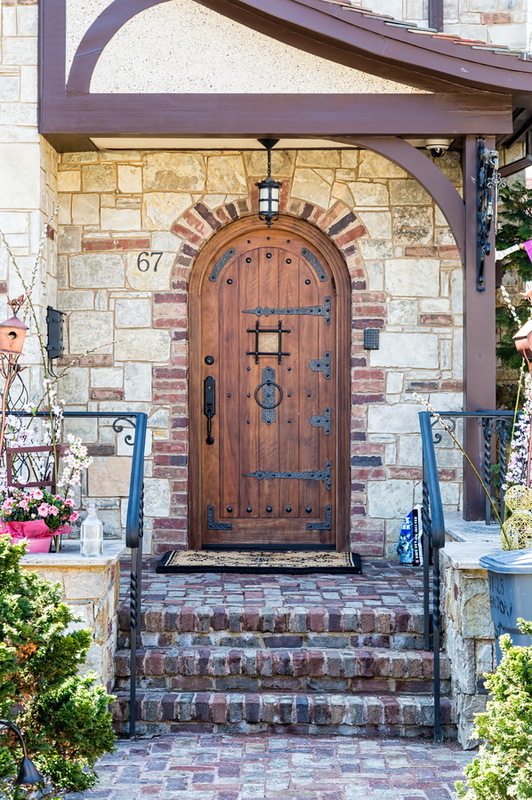 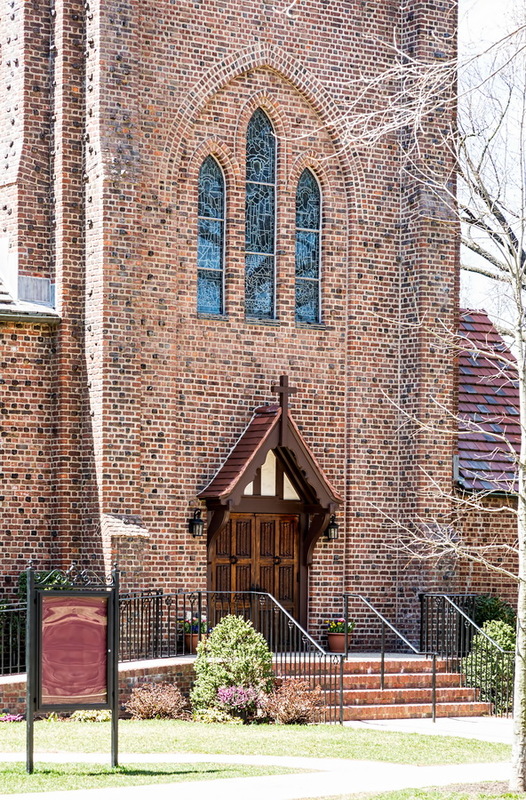 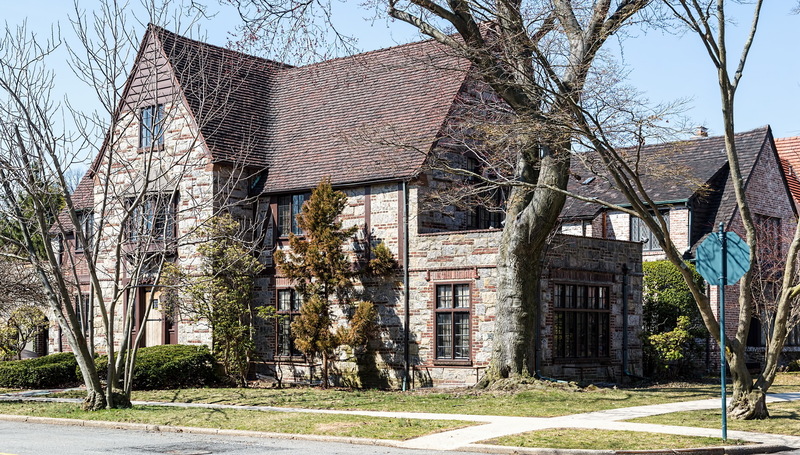 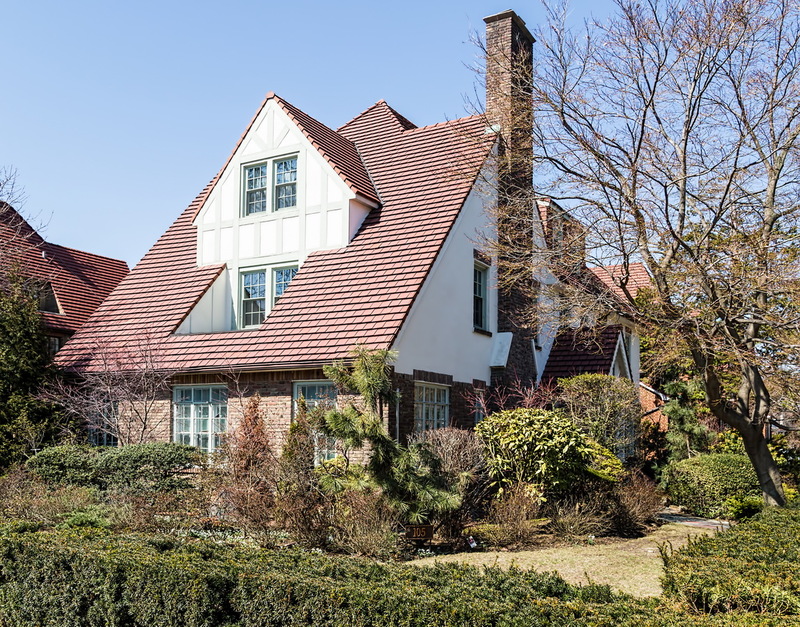 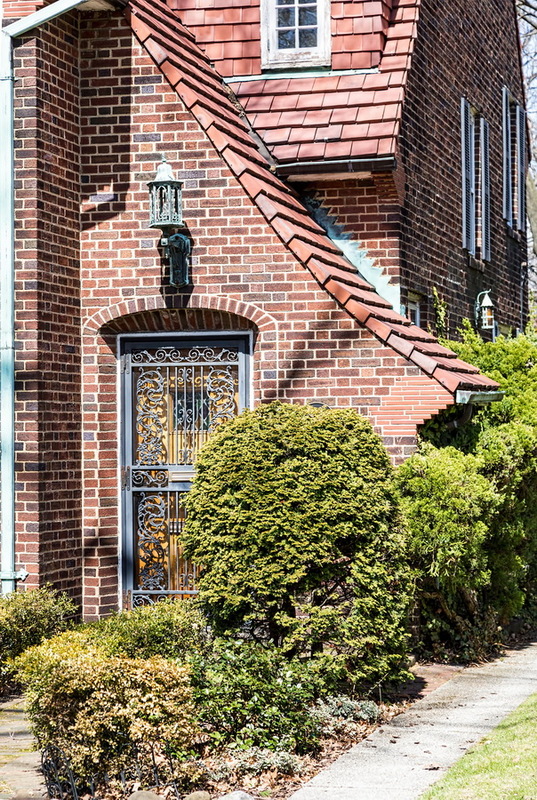 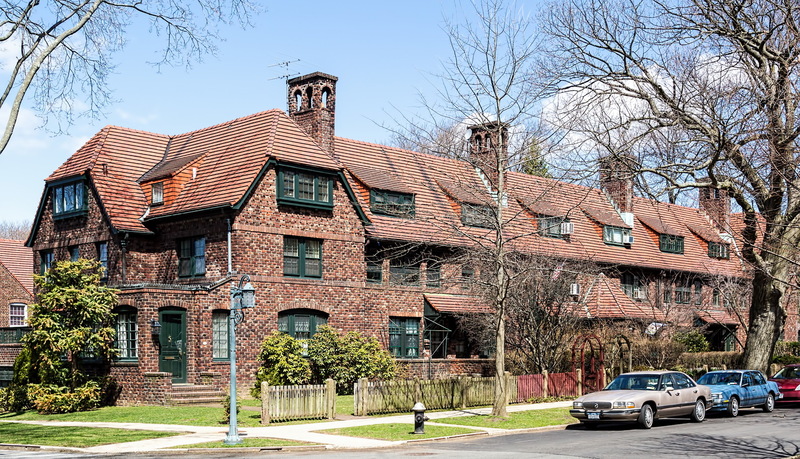 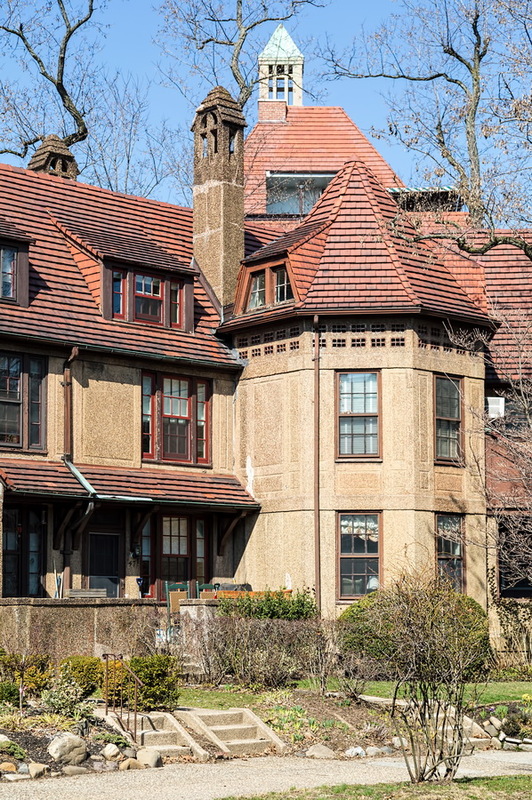 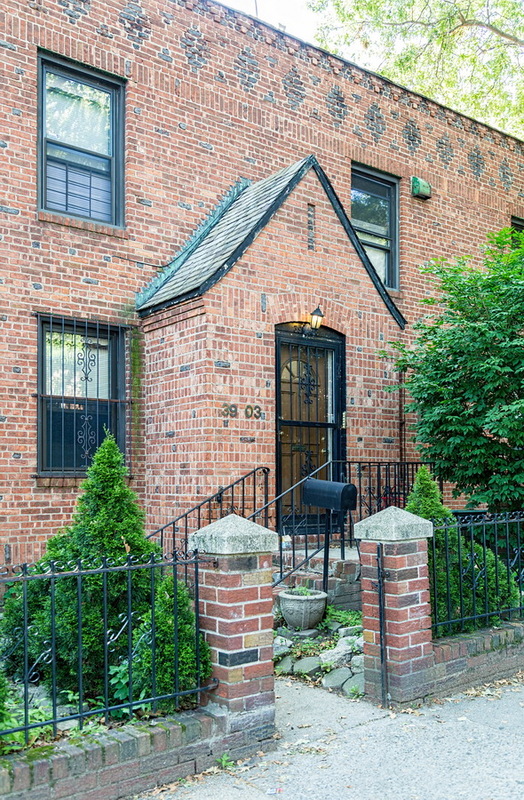 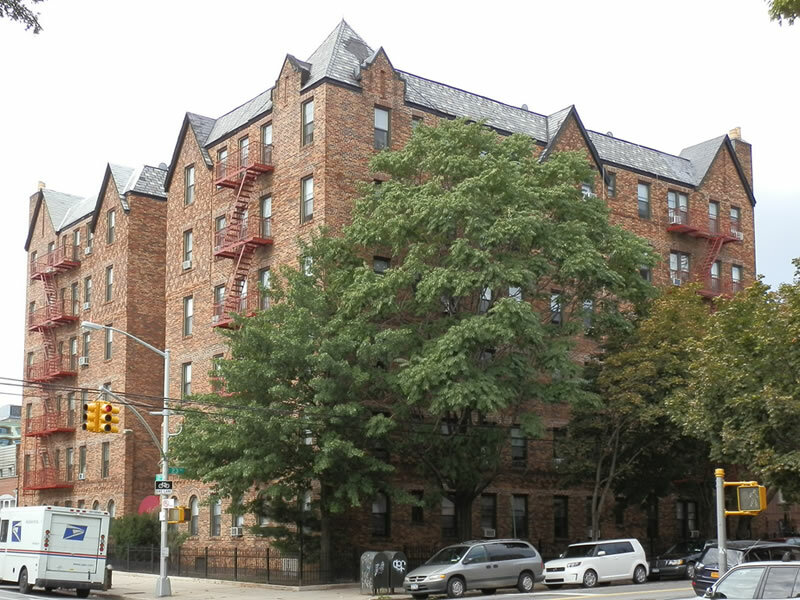 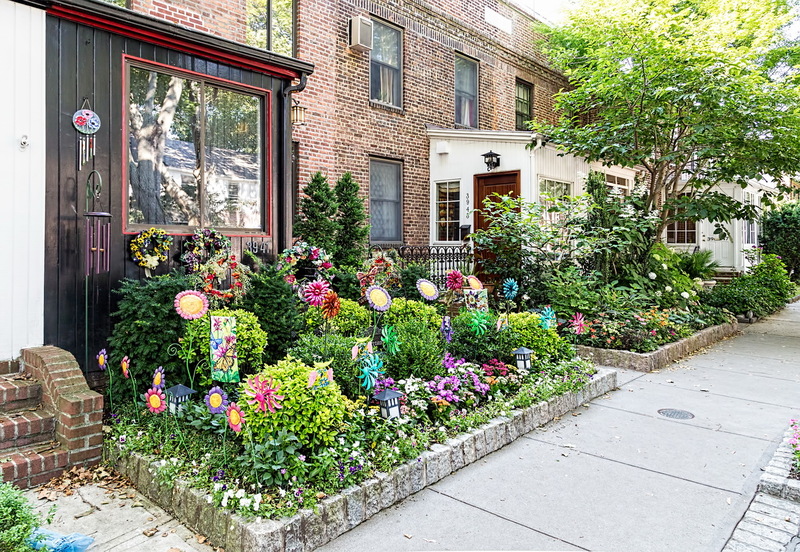 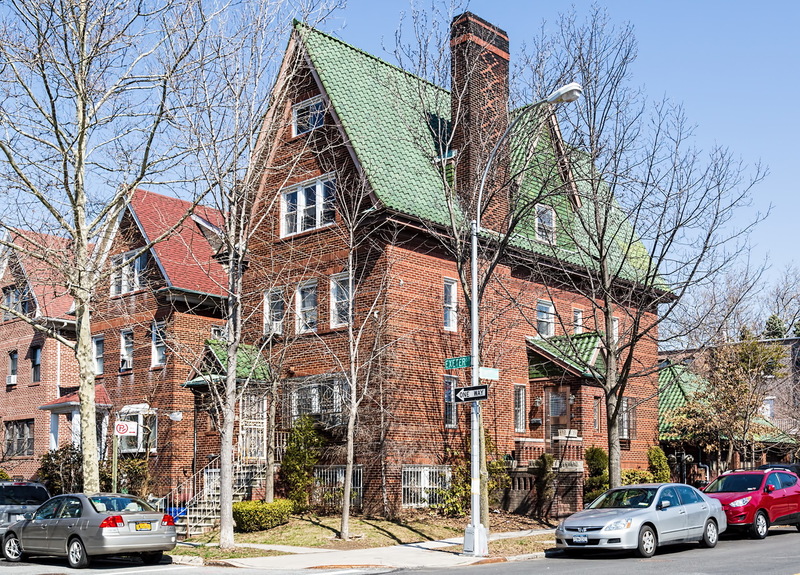 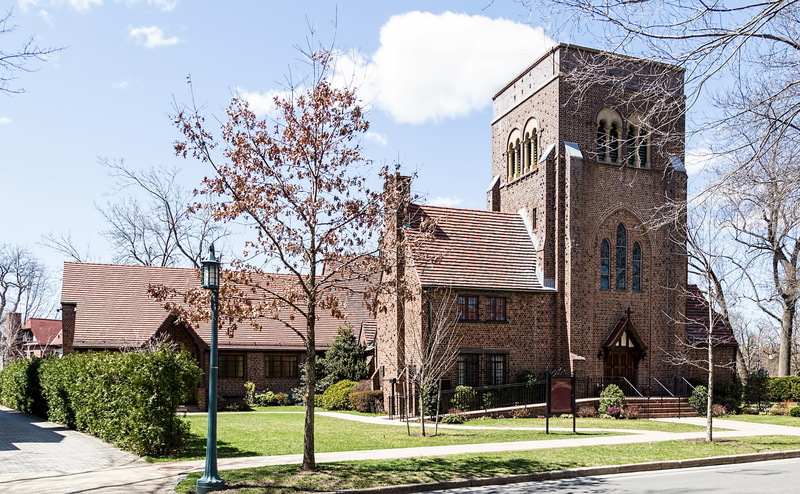 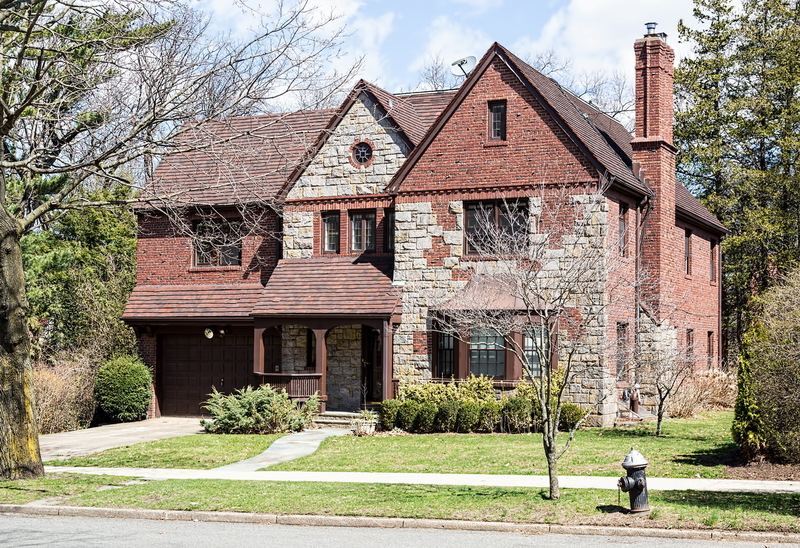 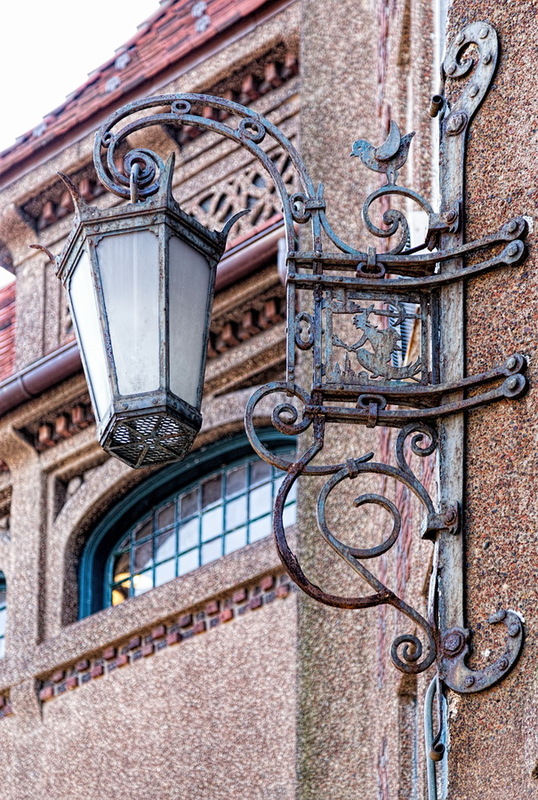 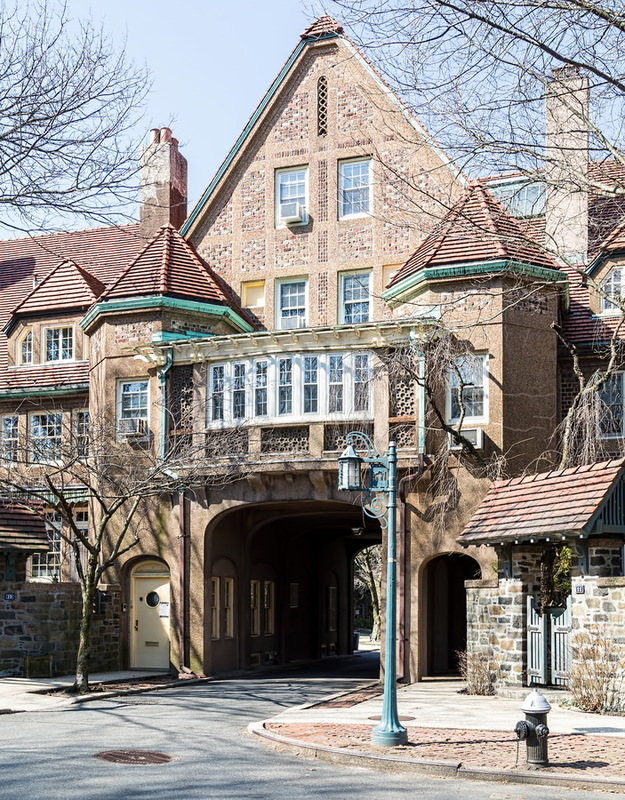 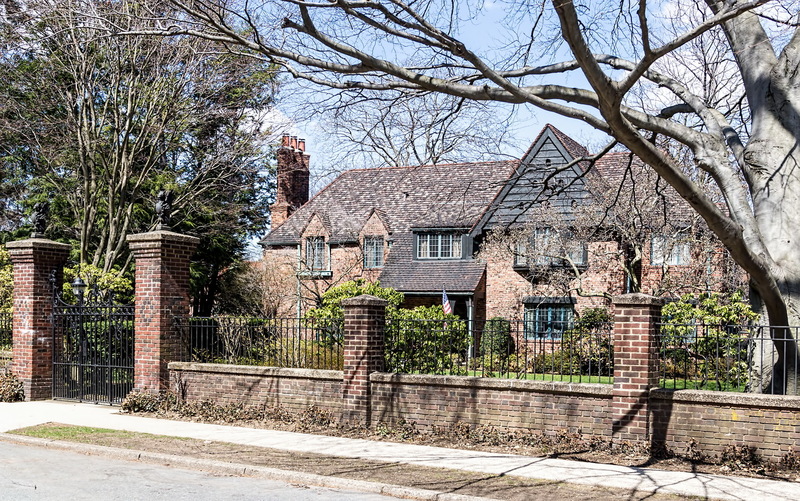 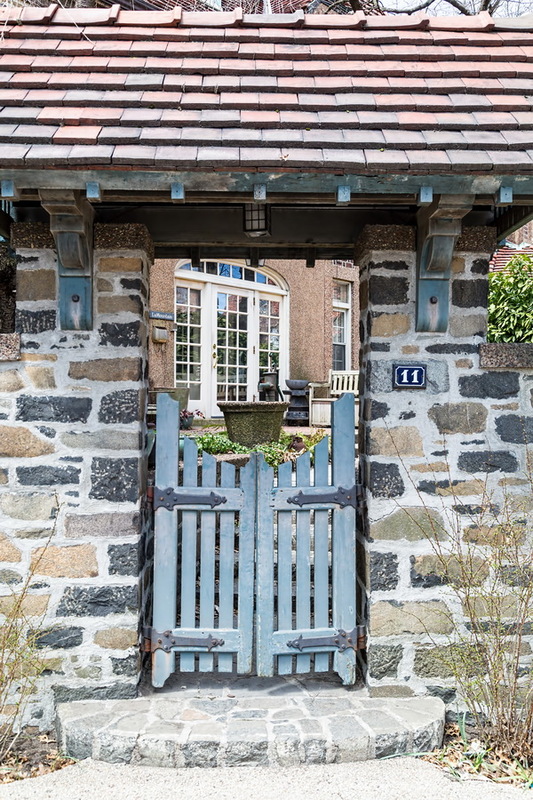 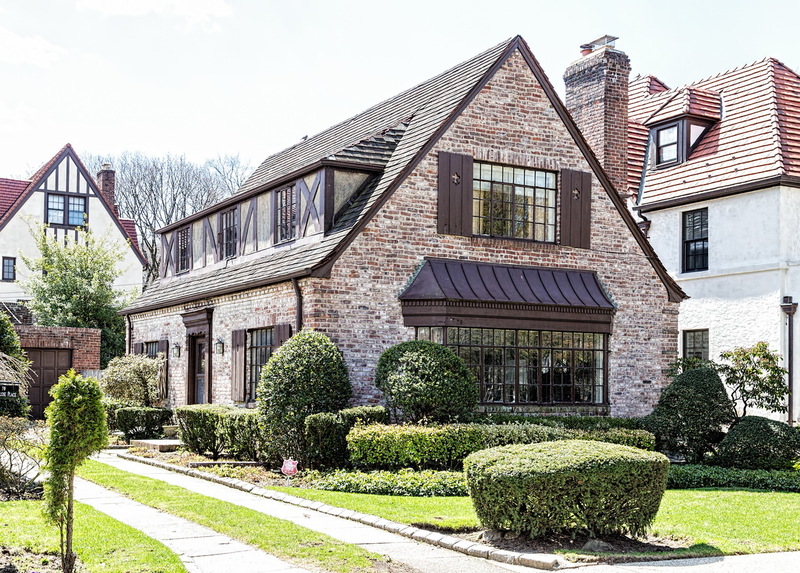 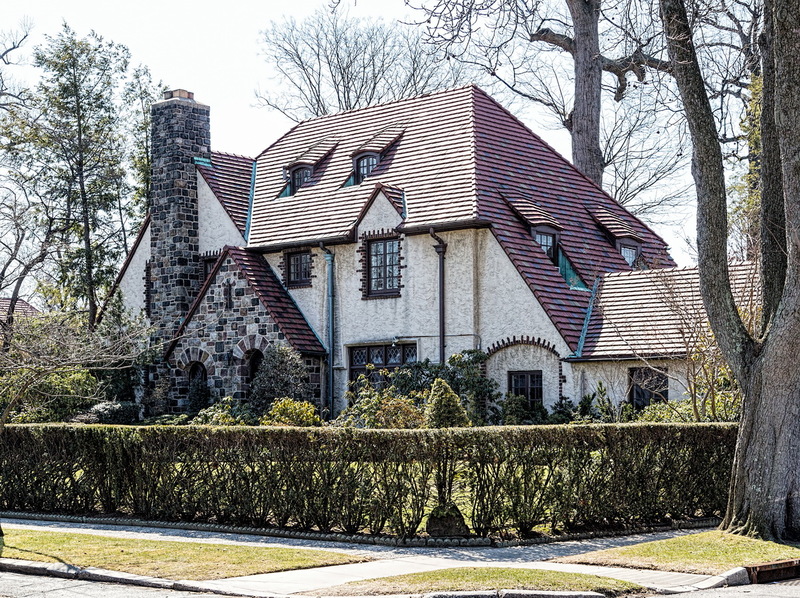 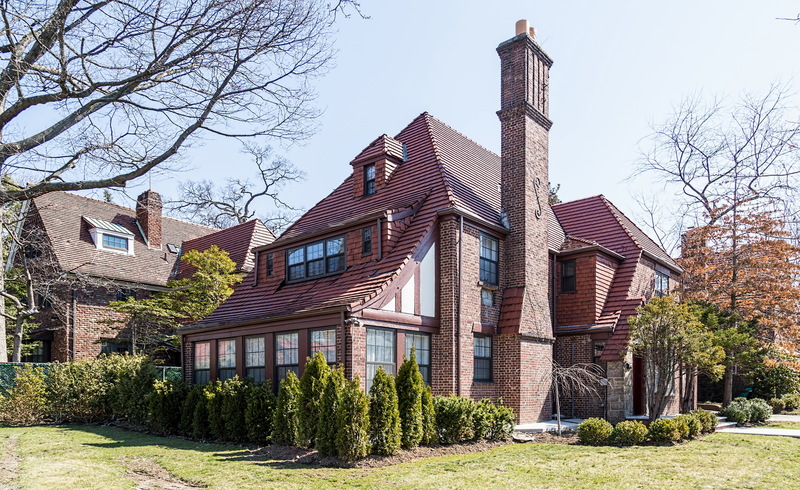 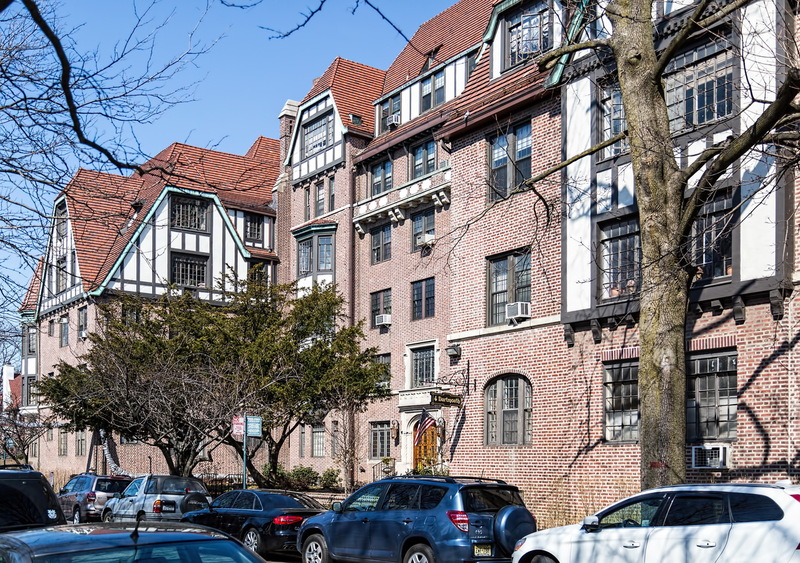 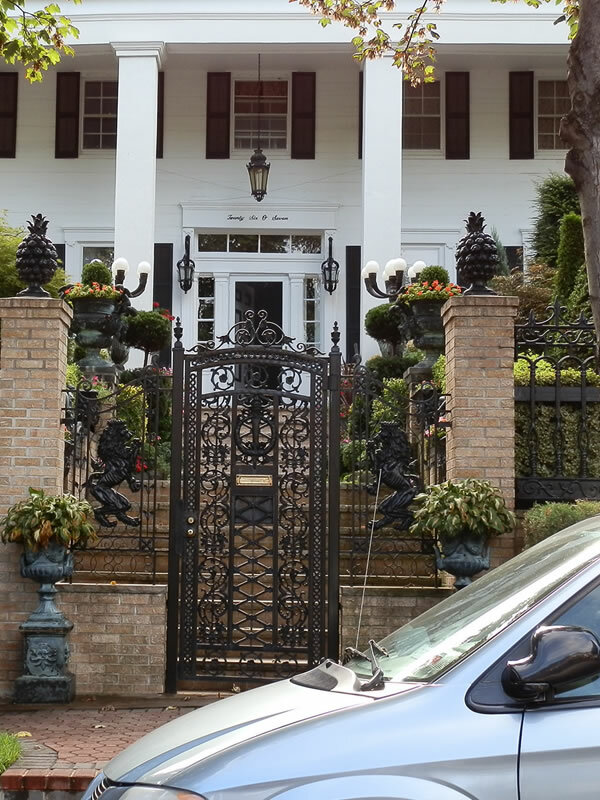 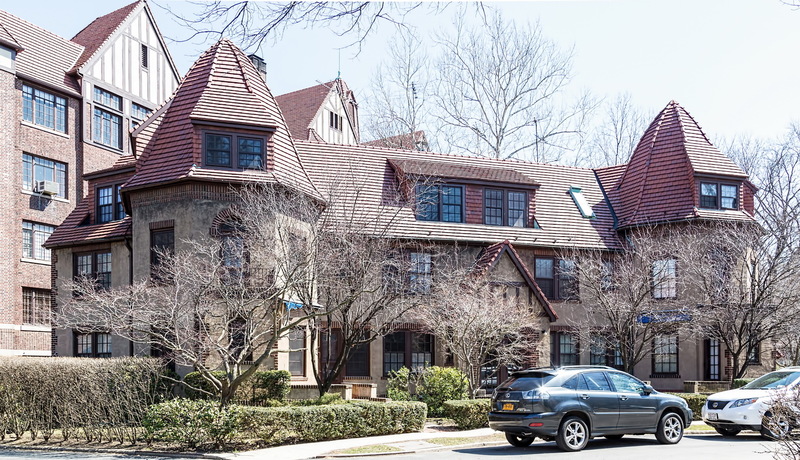 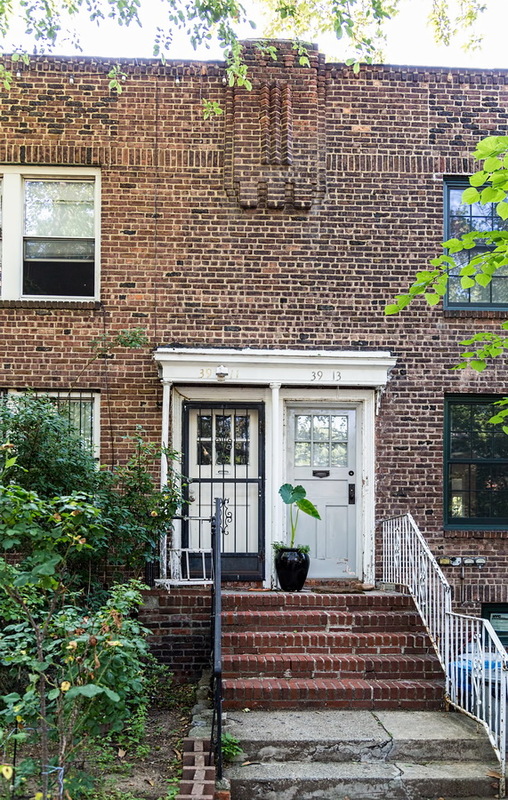 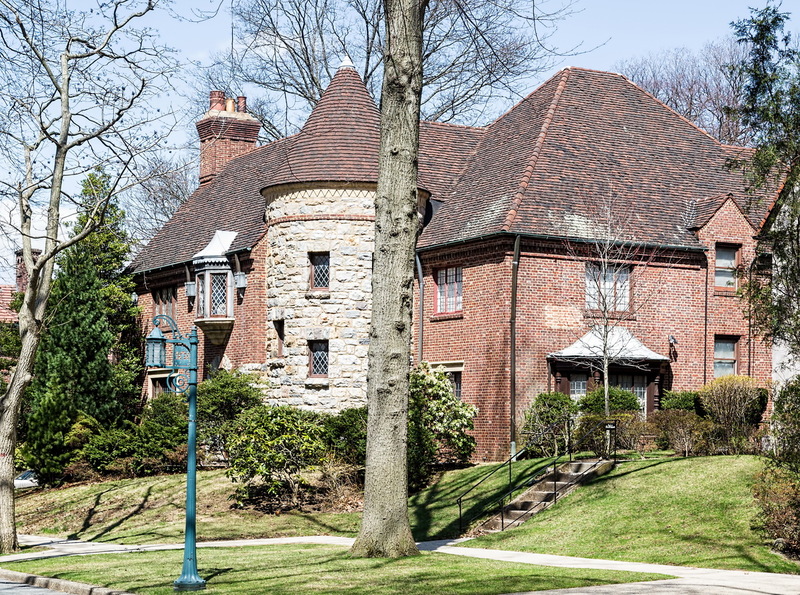 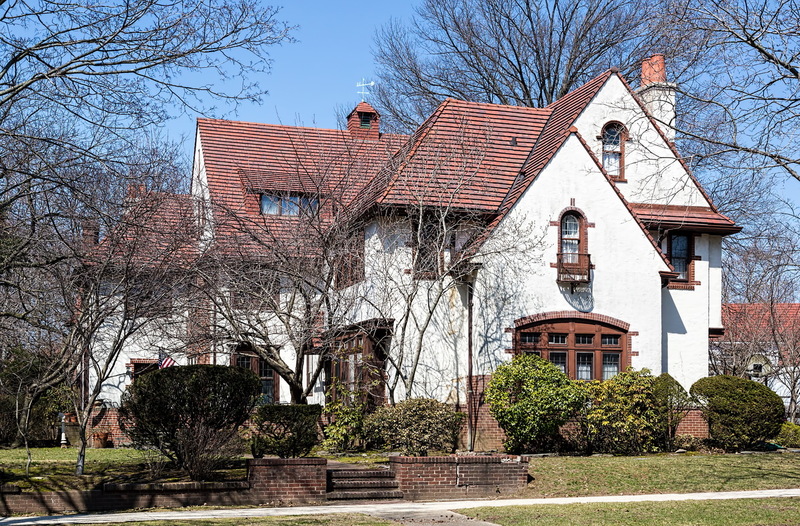 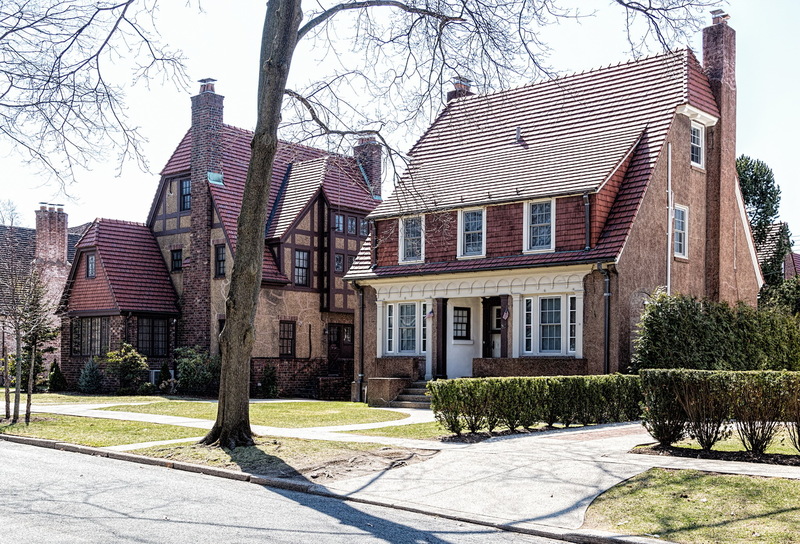 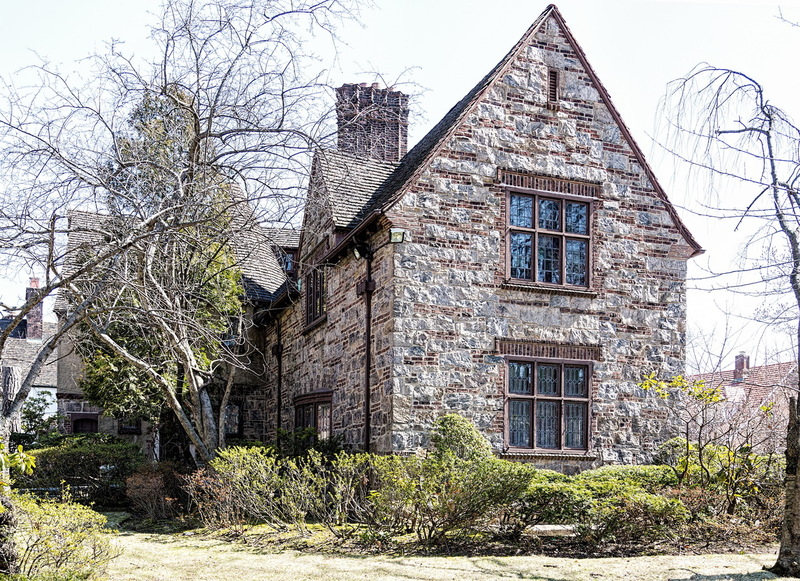 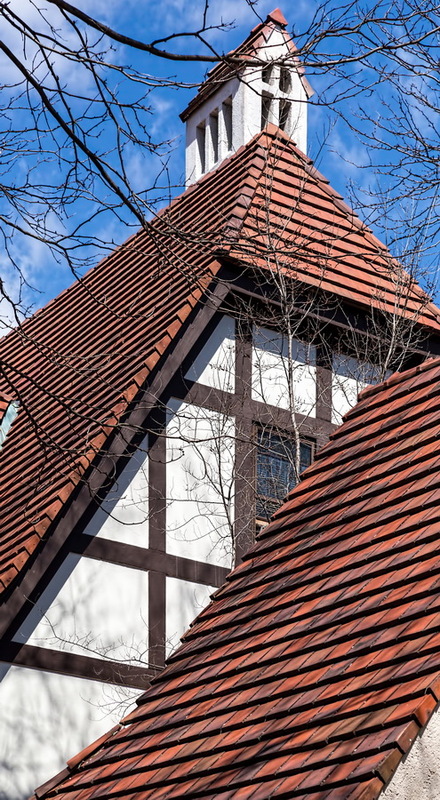 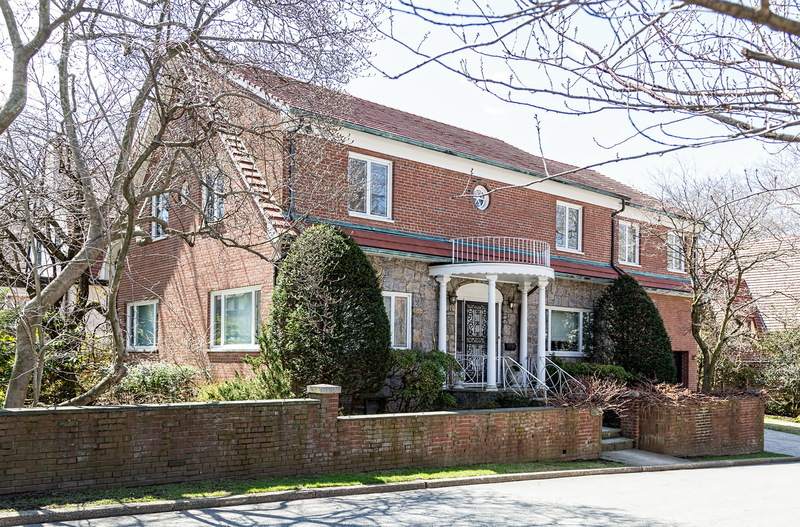 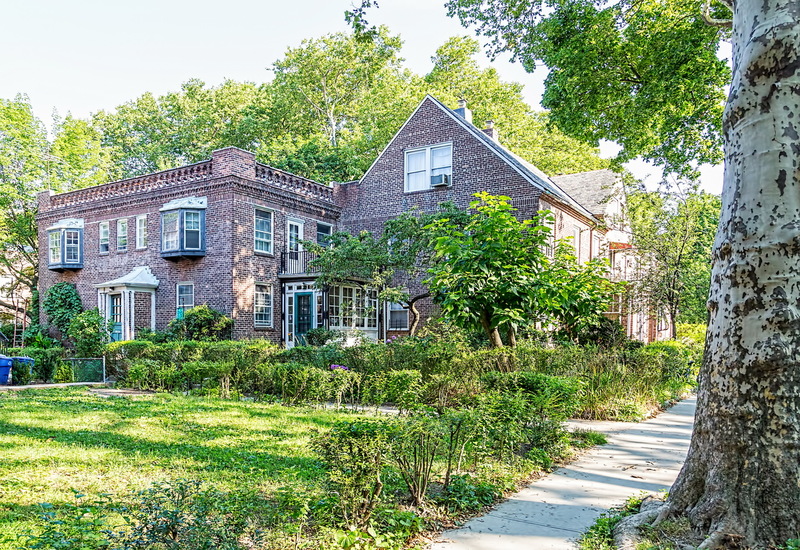 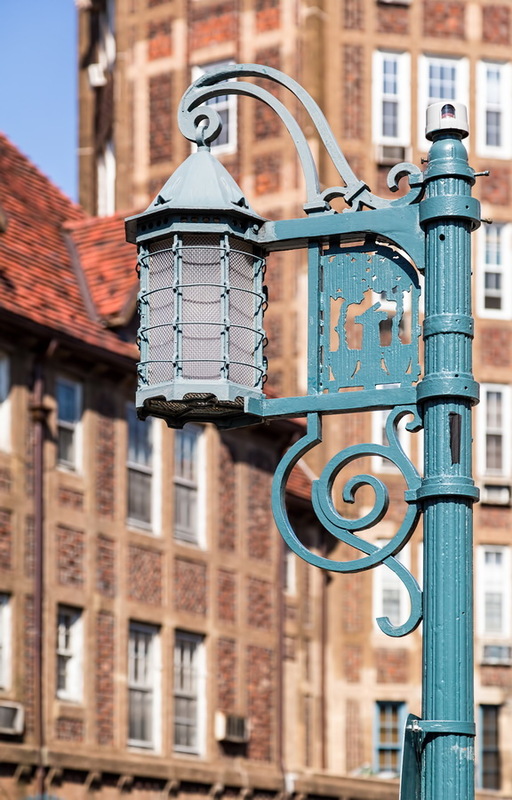 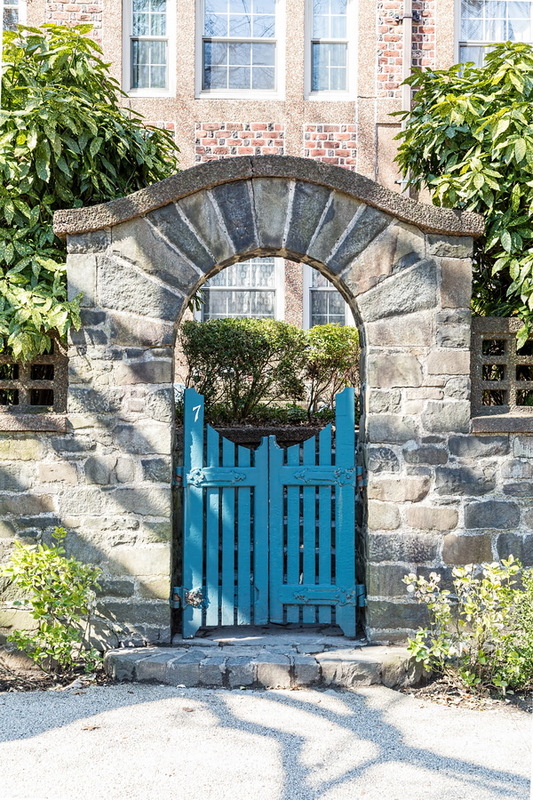 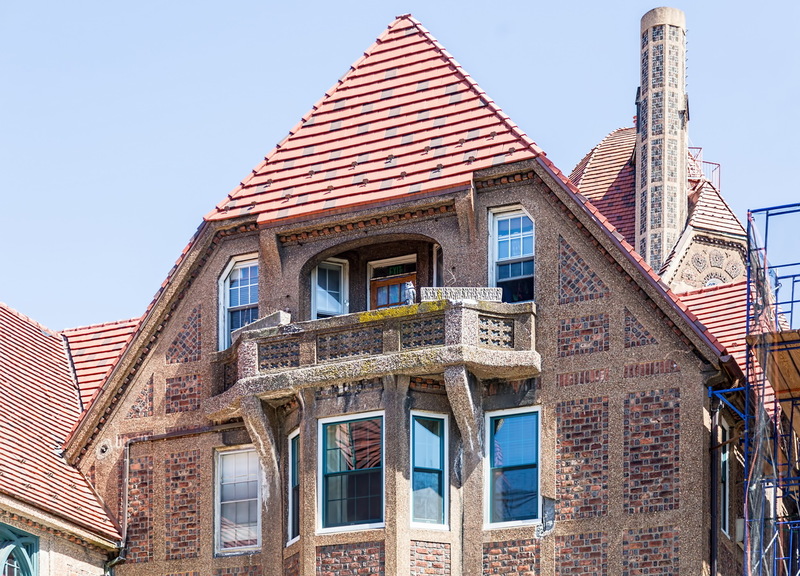 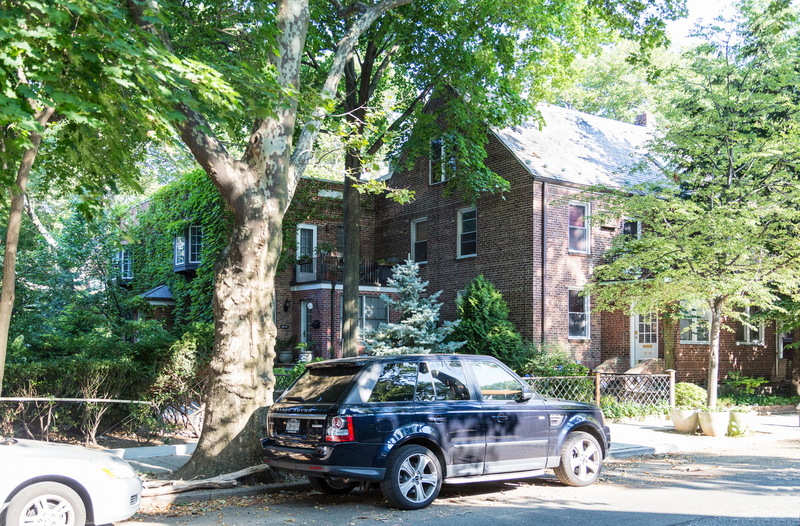 (Forest Hills Gardens began development in 1909.) 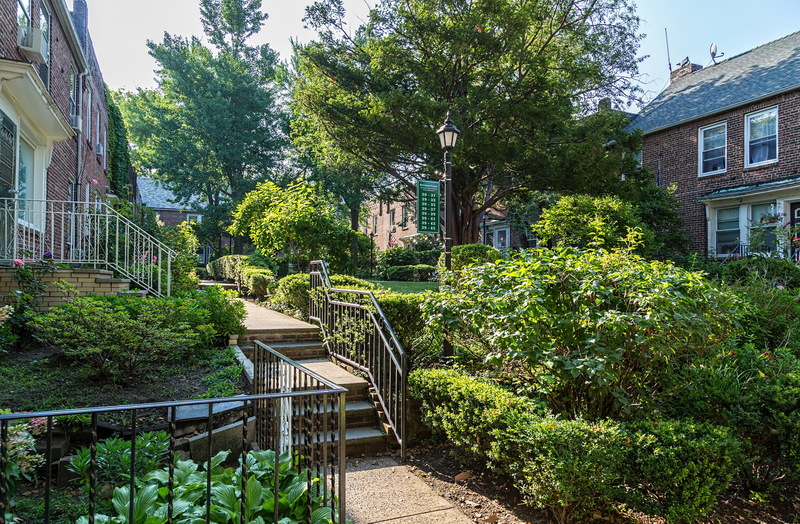 Although the architecture itself is not extraordinary, the integration of green spaces and enforced uniformity creates a distinctly suburban ambience. 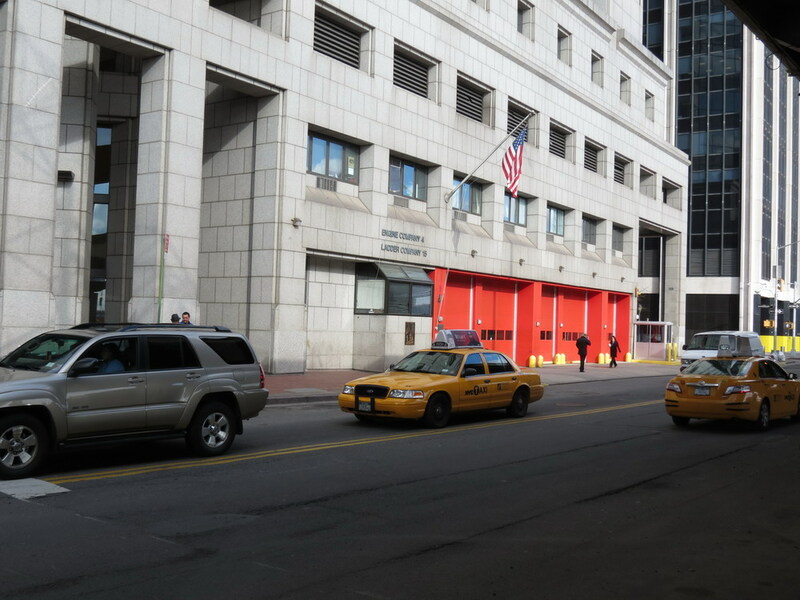 Toto, I’ve a feeling we’re not in New York City anymore. 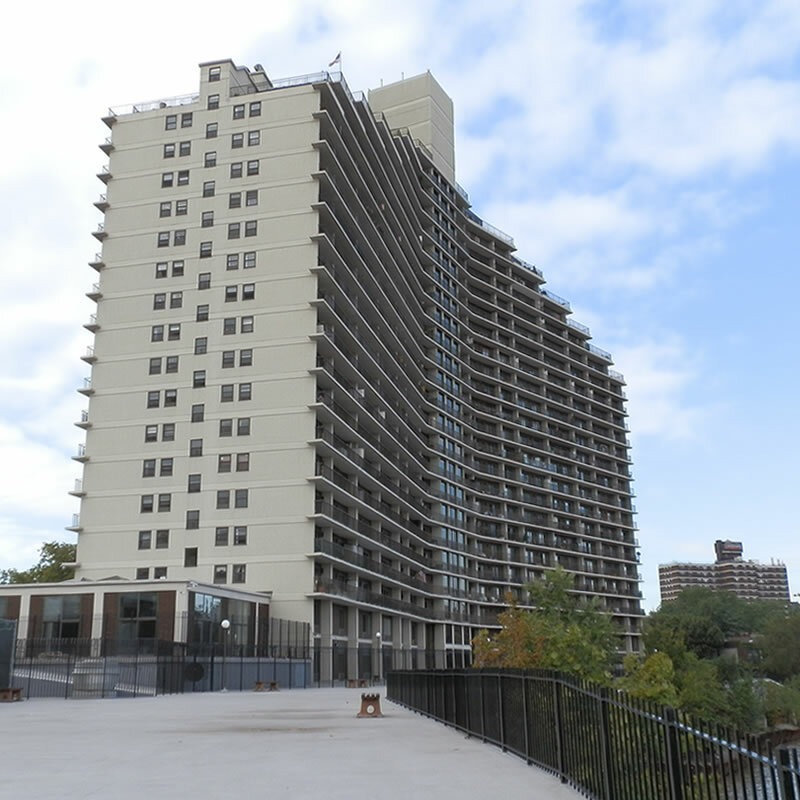 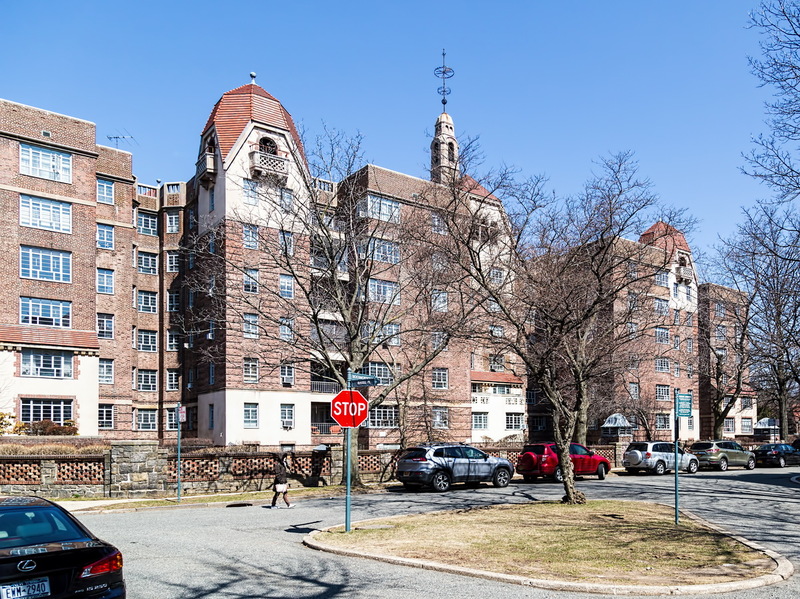 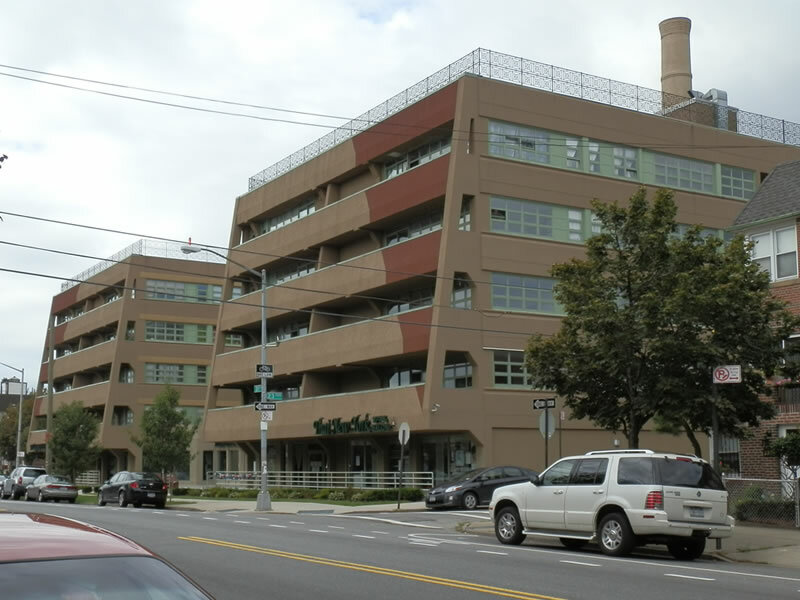 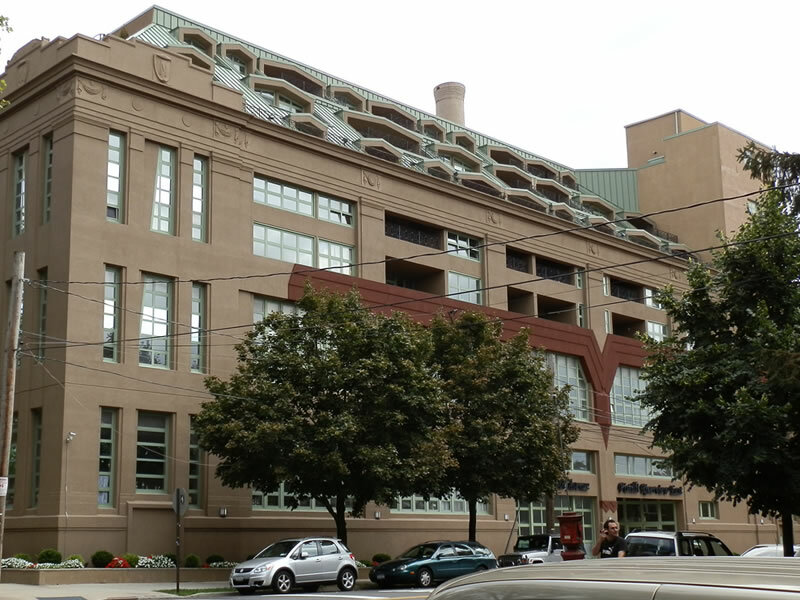 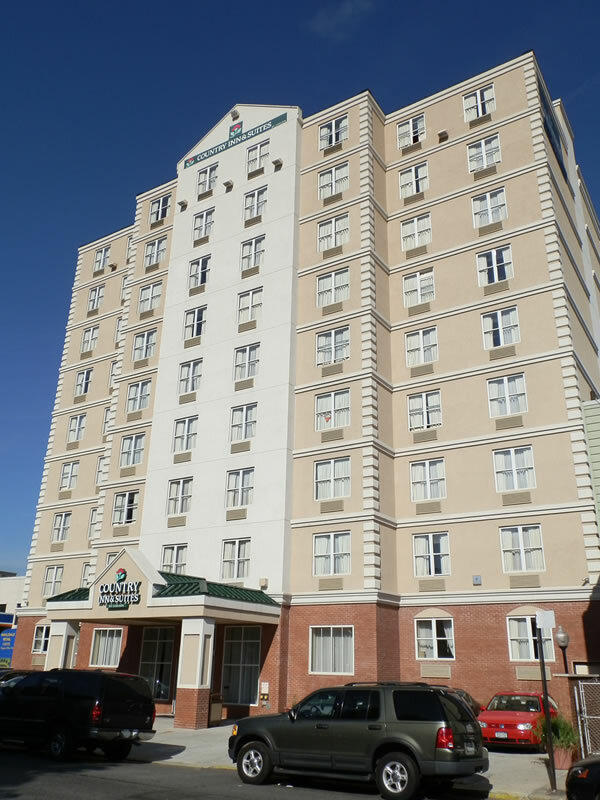 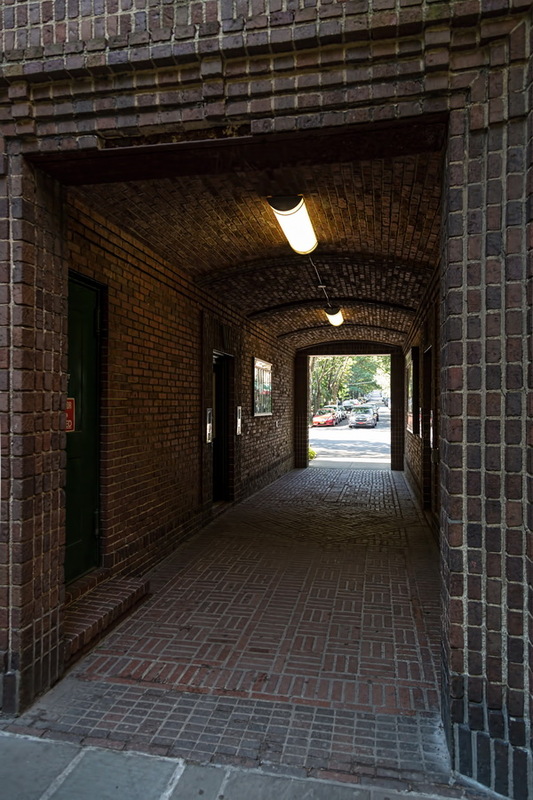 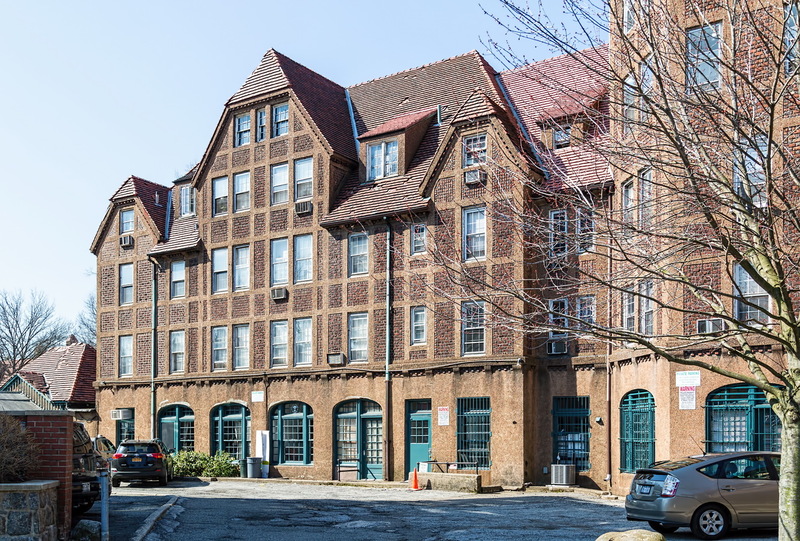 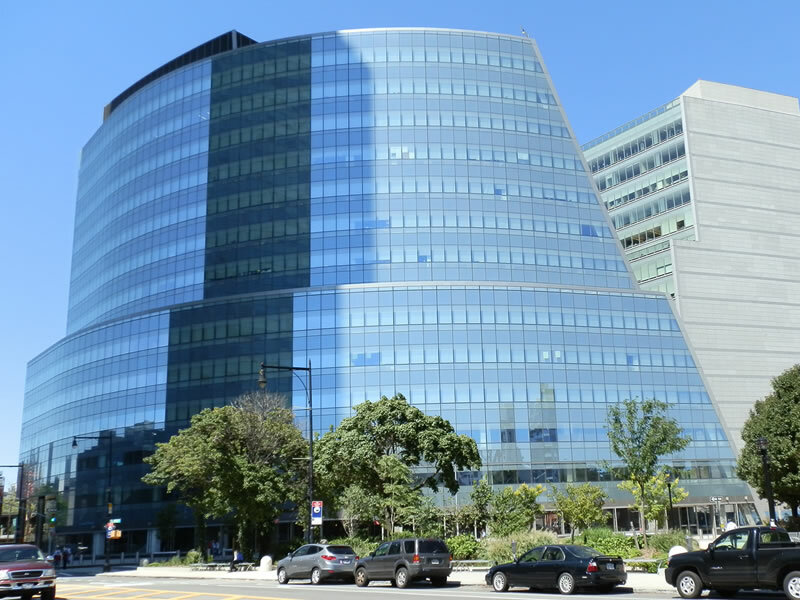 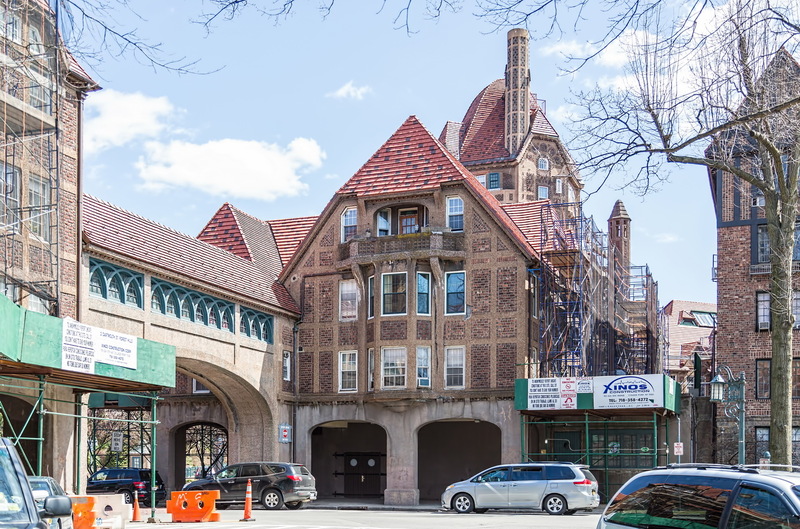 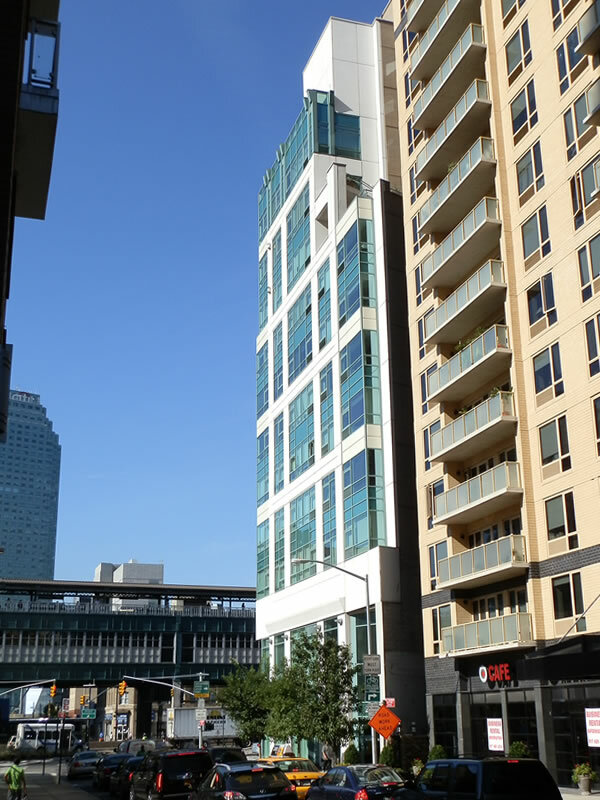 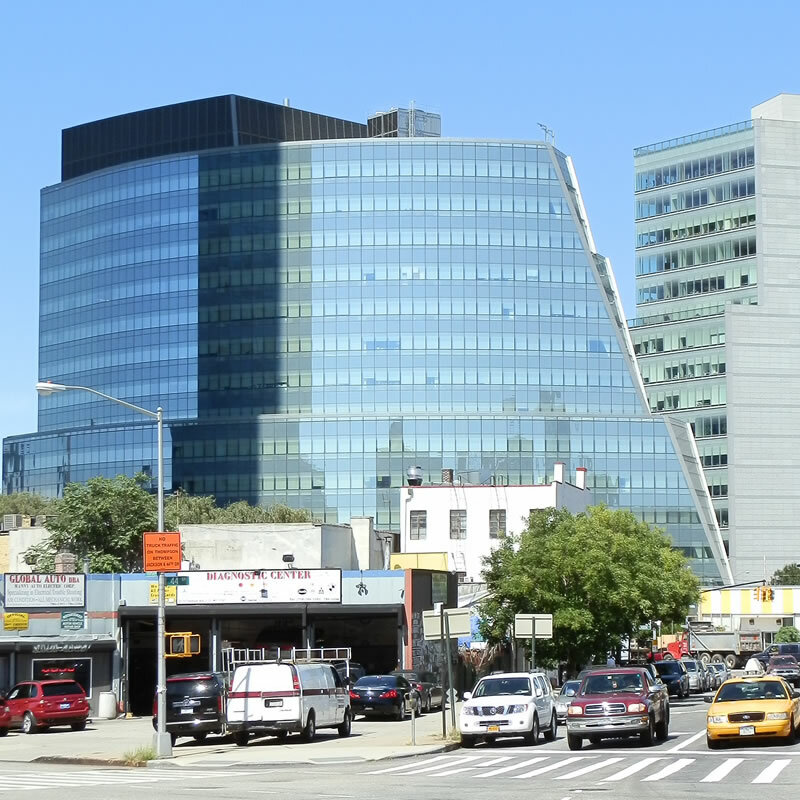 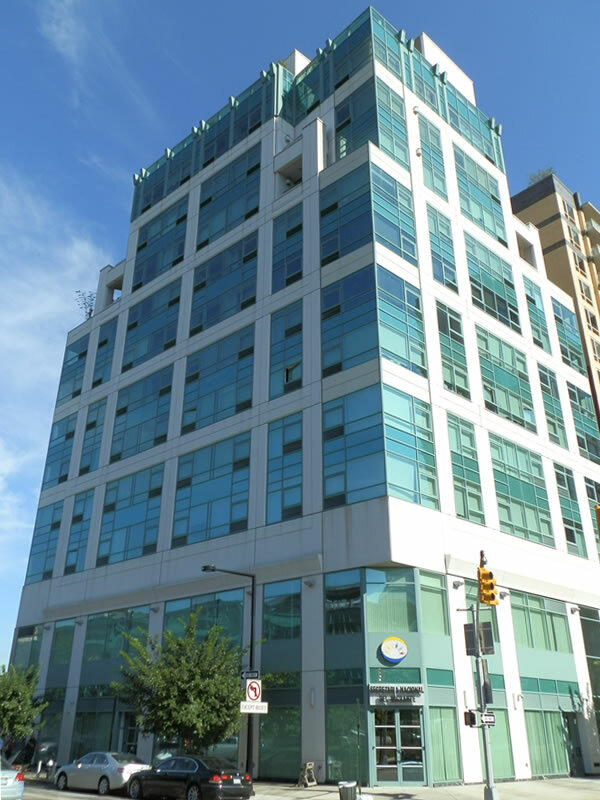 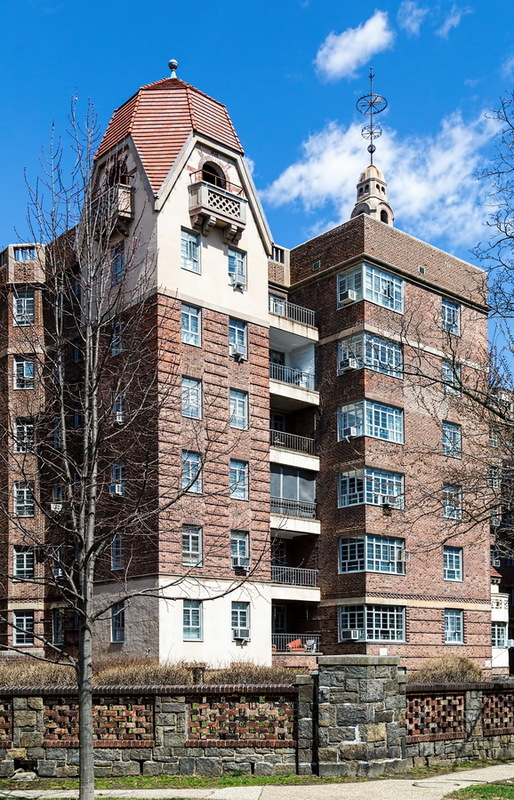 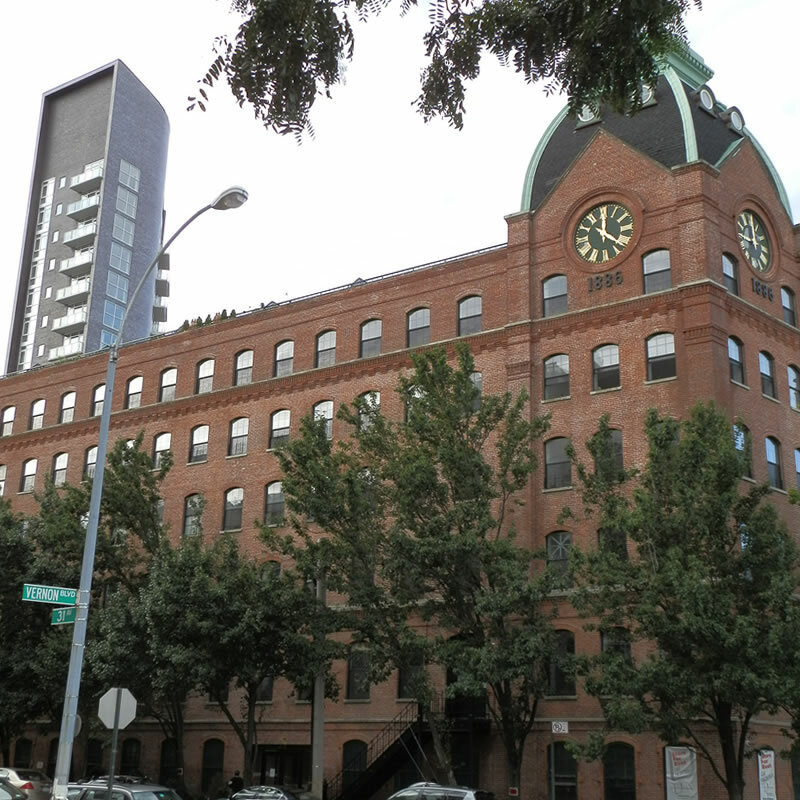 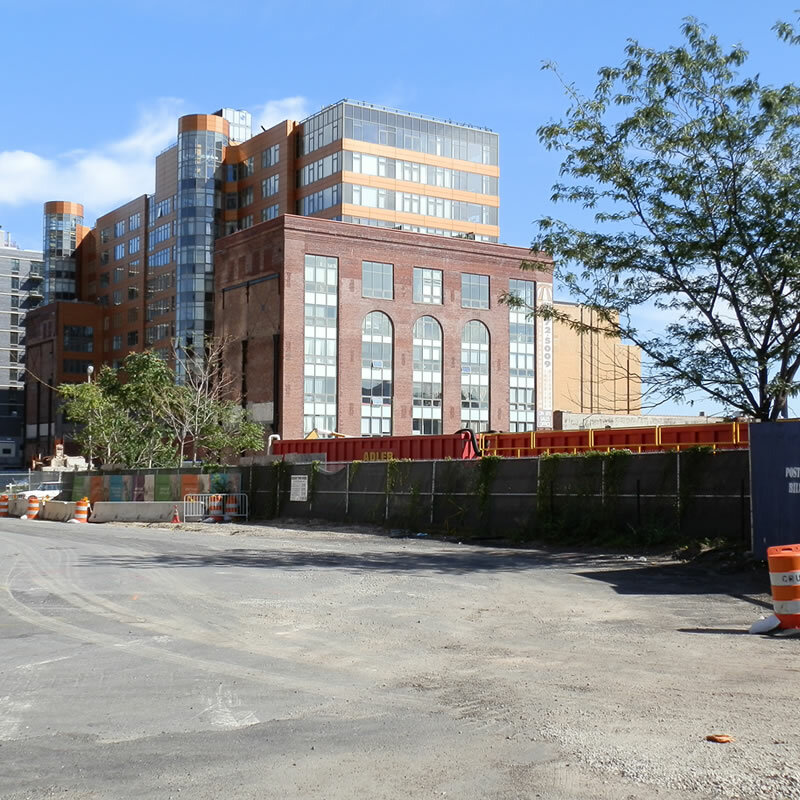 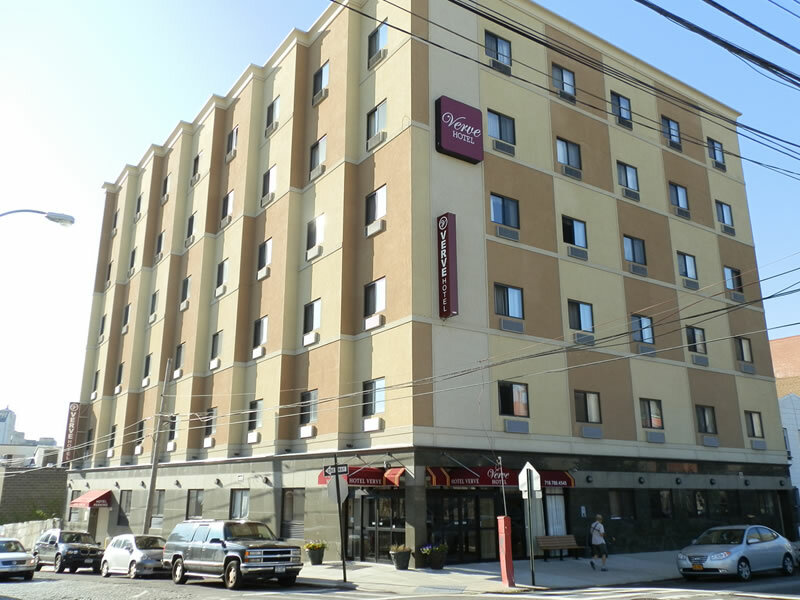 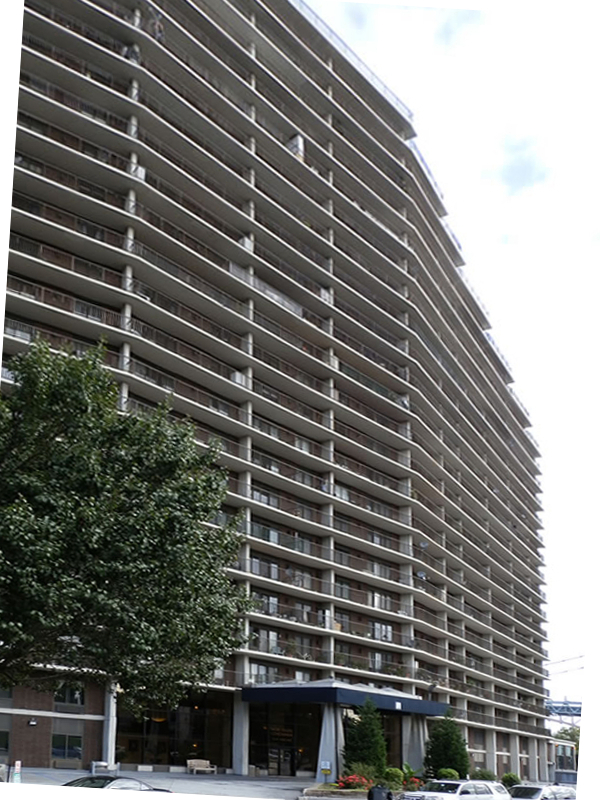 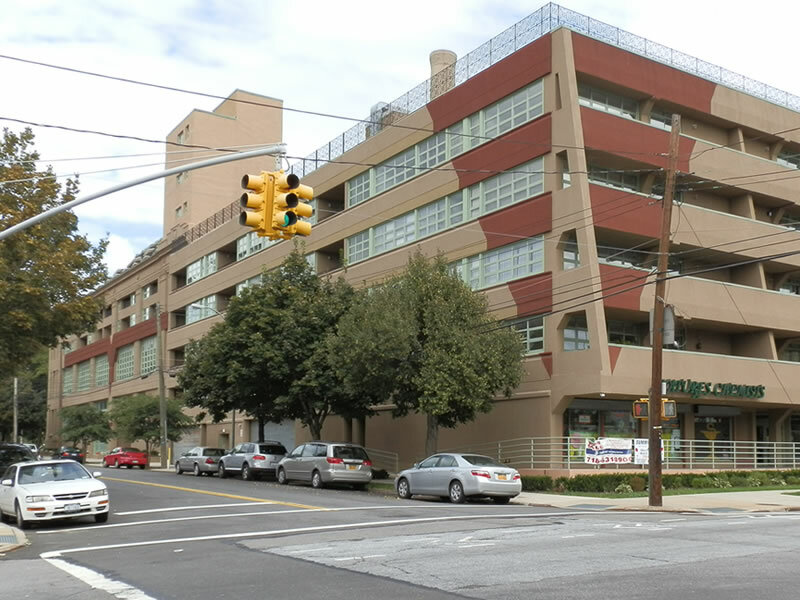 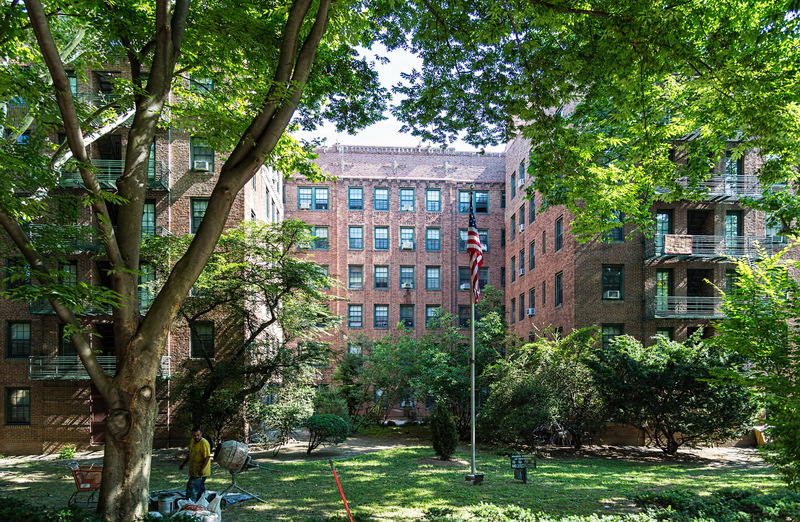 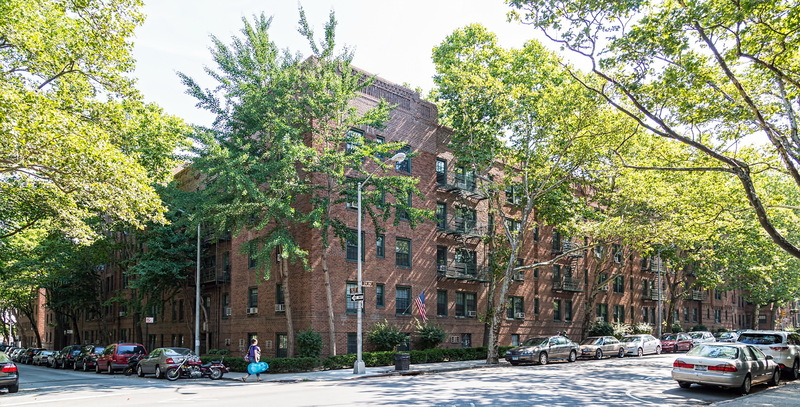 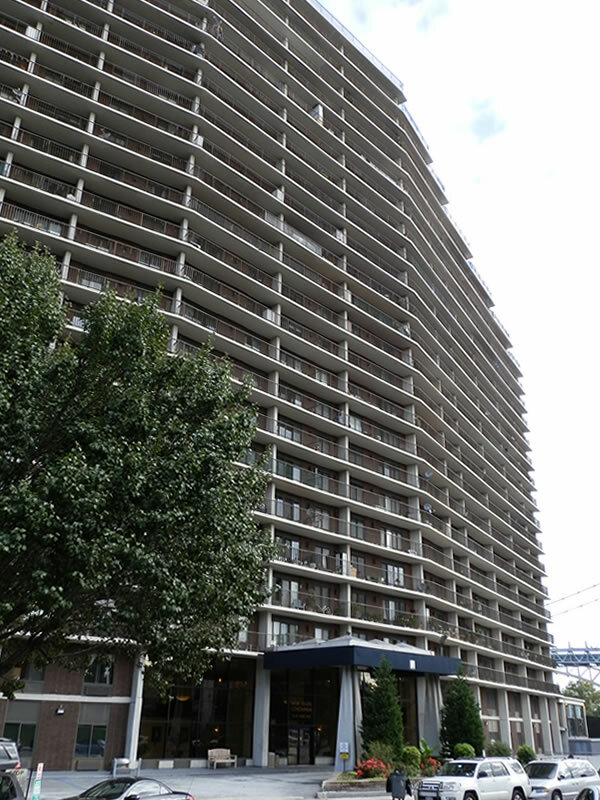 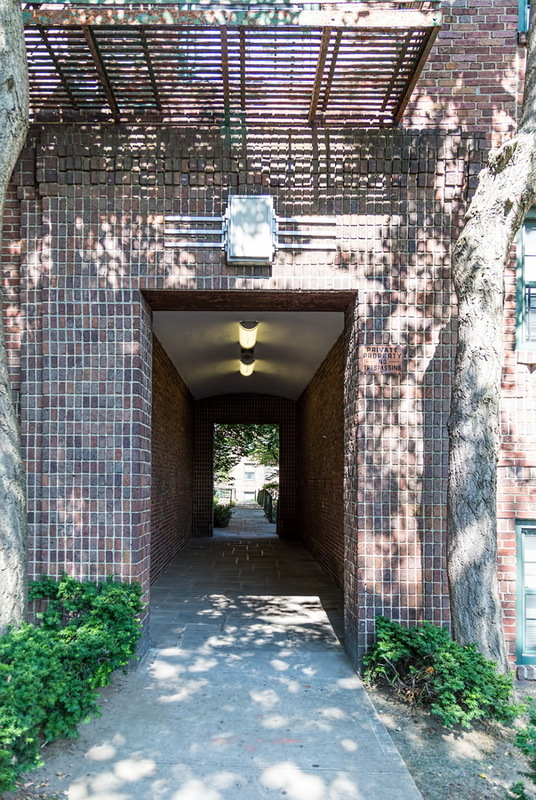 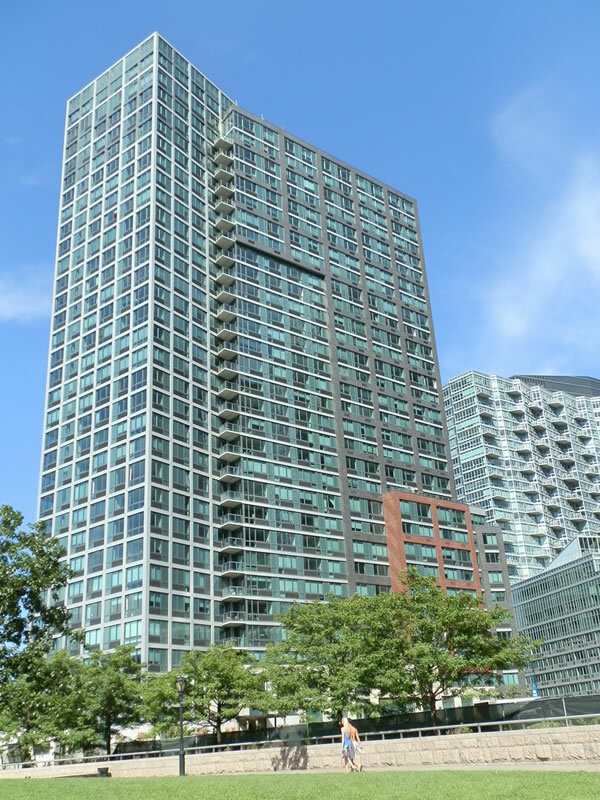 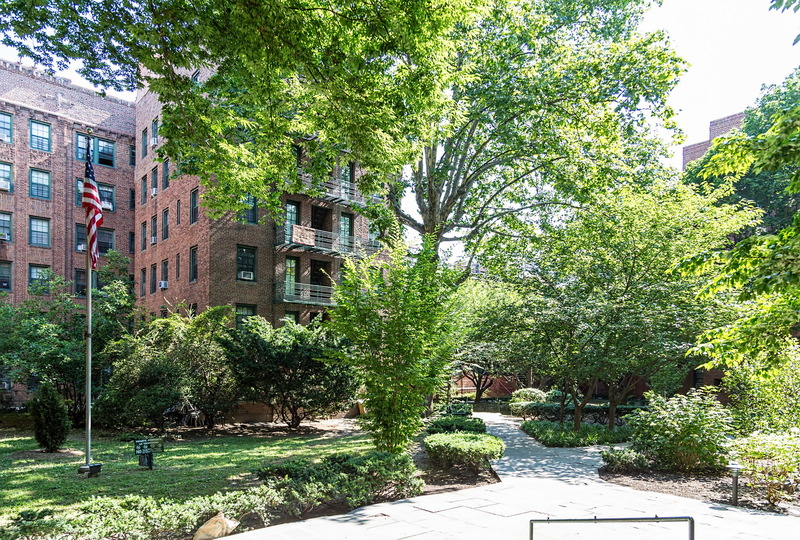 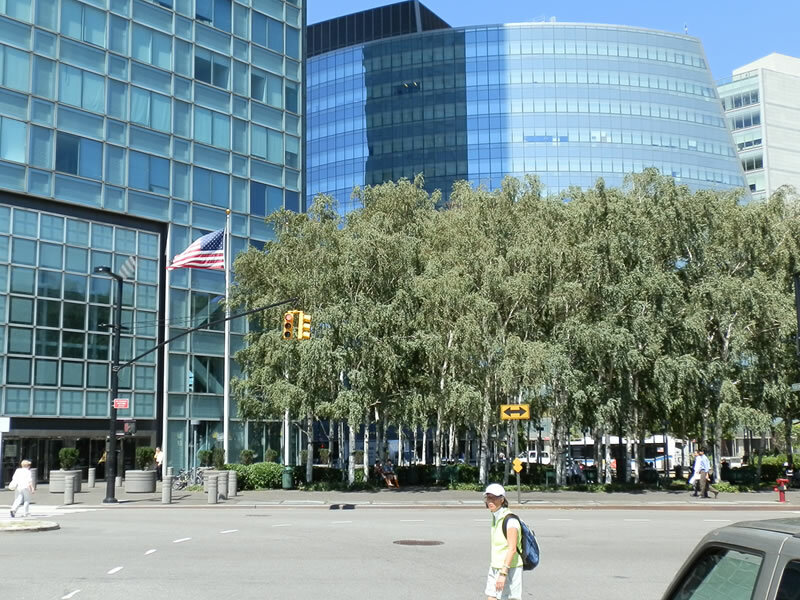 The 600-building development by City Housing Corporation was created under guidelines of the Regional Planning Association of America, according to the NYC Landmarks Preservation Commission, and based on the English Garden City concept. 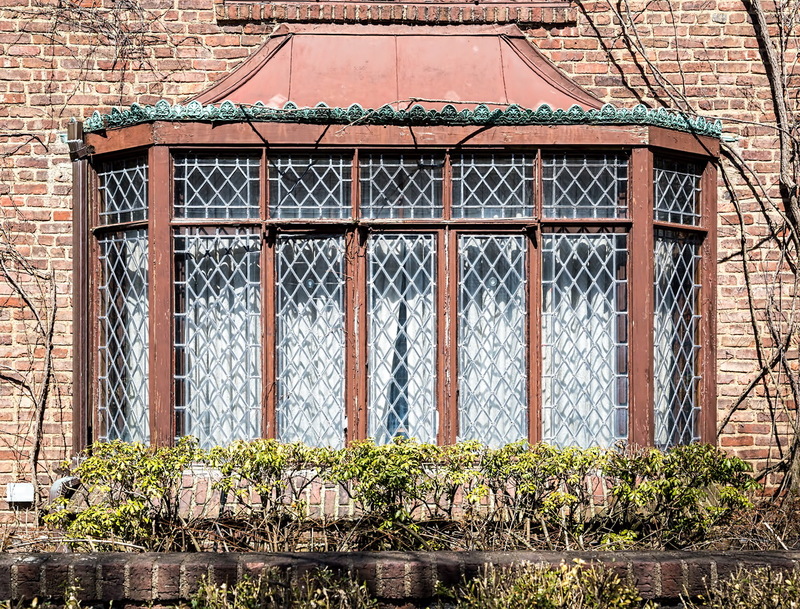 It was built in stages, from 1924 through 1935. 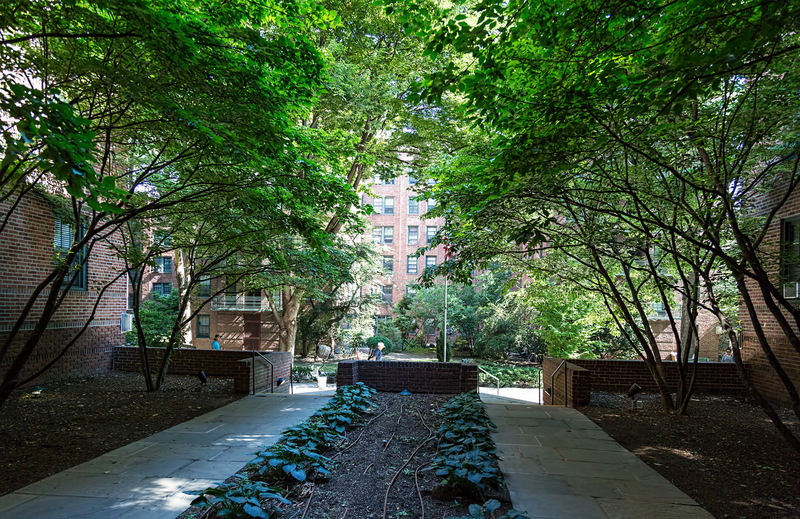 Two architects – Clarence Stein and Henry Wright – designed the buildings; landscaping was designed by Marjorie Sewell Cautley. 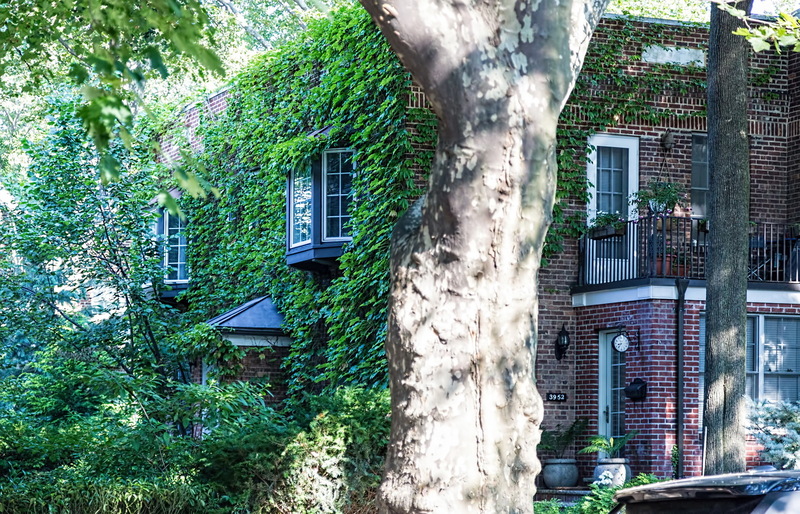 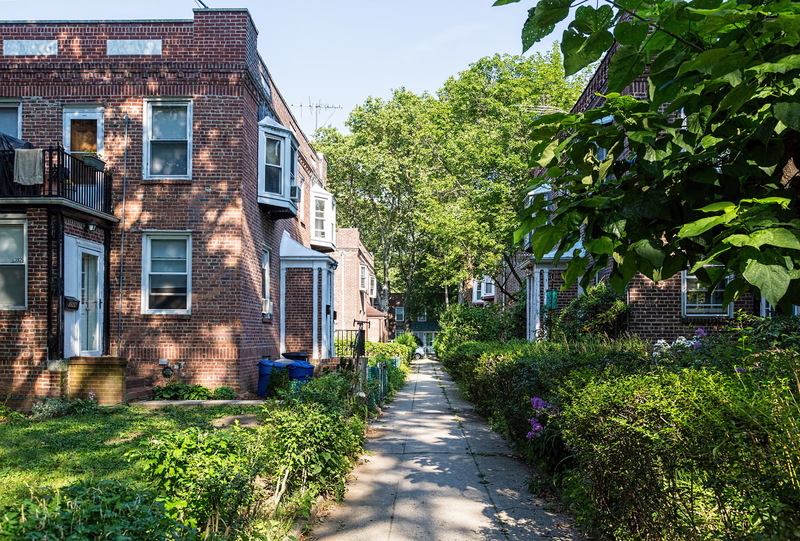 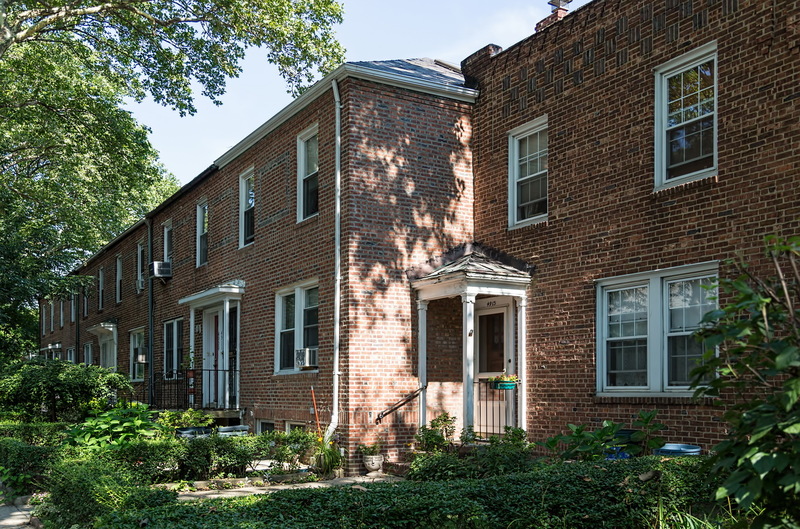 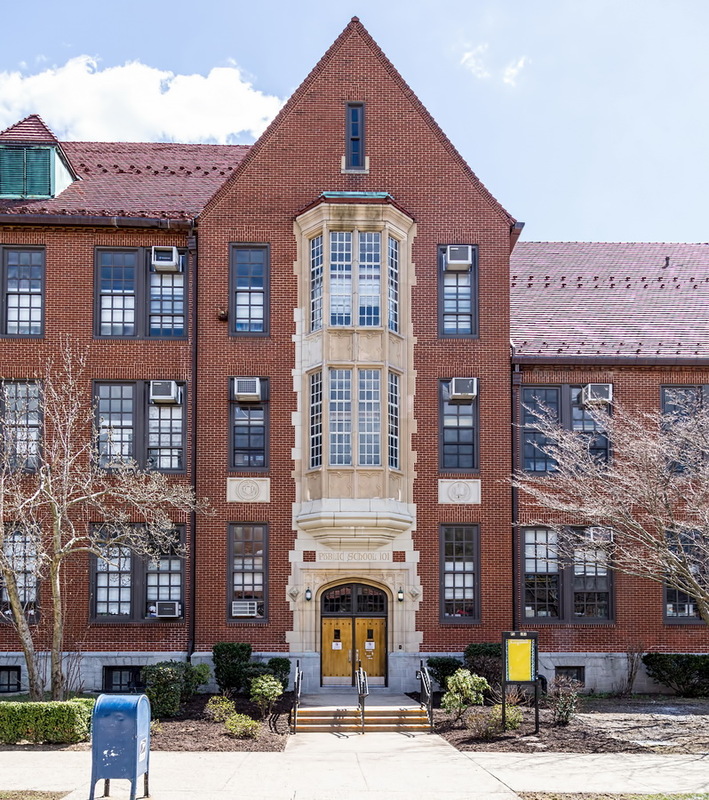 Although the majority of the units are semi-detached two-story homes built around common garden courtyards, there are also a few four-story apartment buildings and two super-block six-story complexes (Phipps Garden Apartments and Sunnyside Garden Apartments). 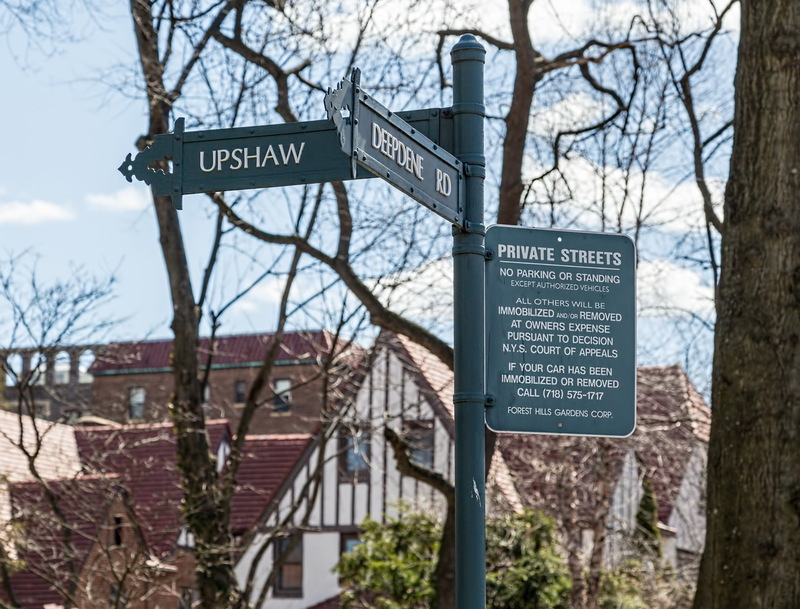 The developers tried to protect the community’s shared green spaces by including 40-year easements in the deeds. 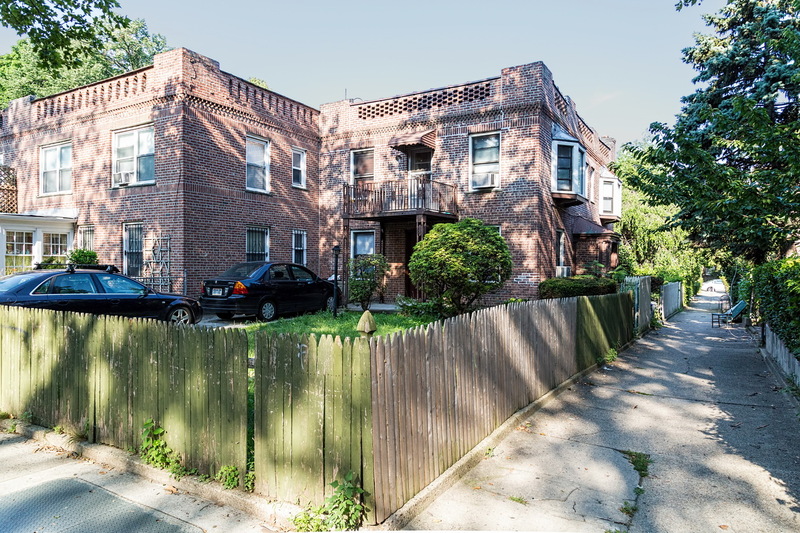 As these easements expired in the 1960s, some homeowners began fencing and building. 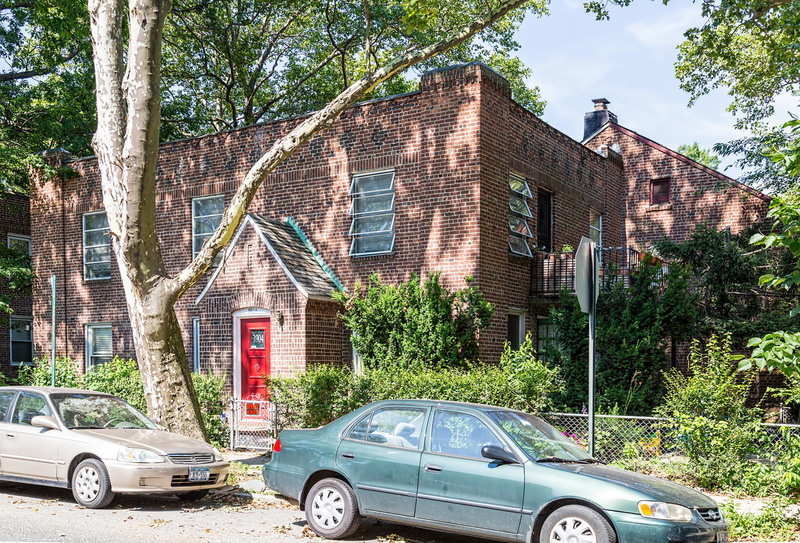 In response, in 1974 the Department of City Planning designated Sunnyside Gardens a special planned community preservation district. 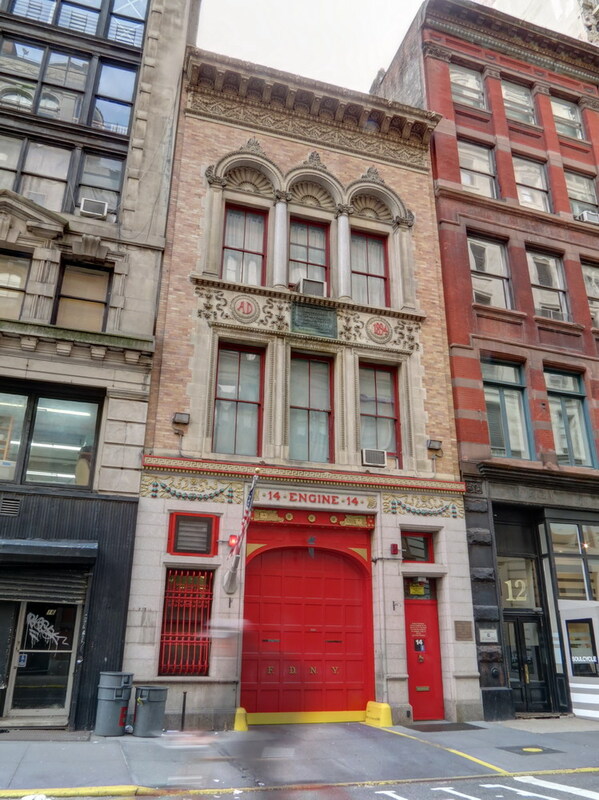 In 2007 the NYC Landmarks Preservation Commission conferred landmark status. 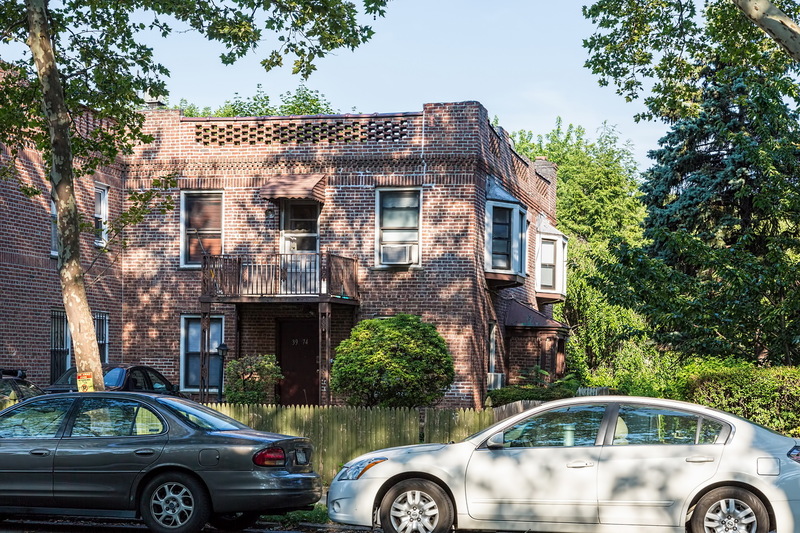 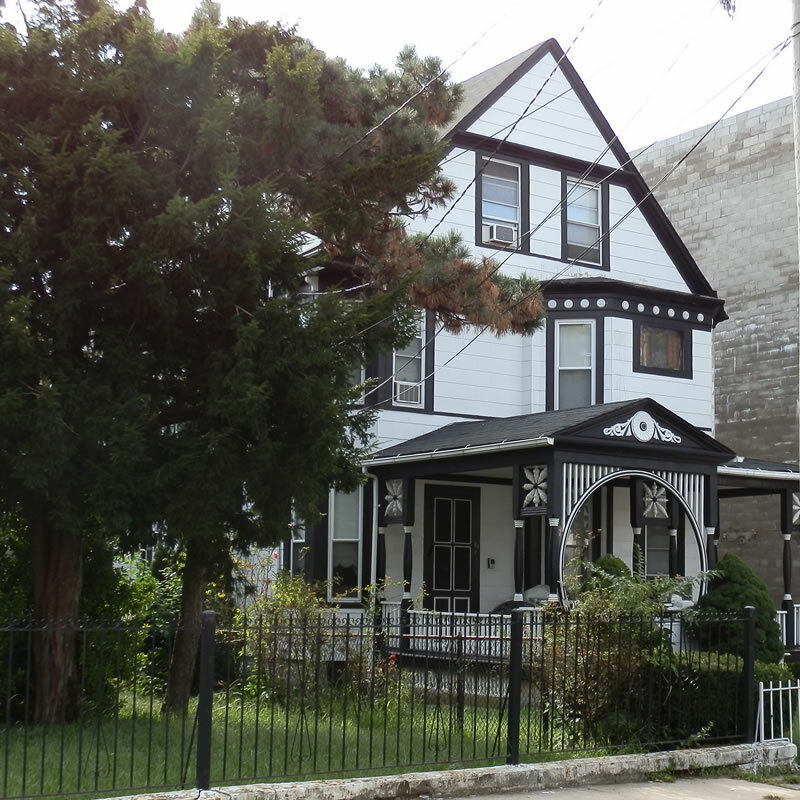 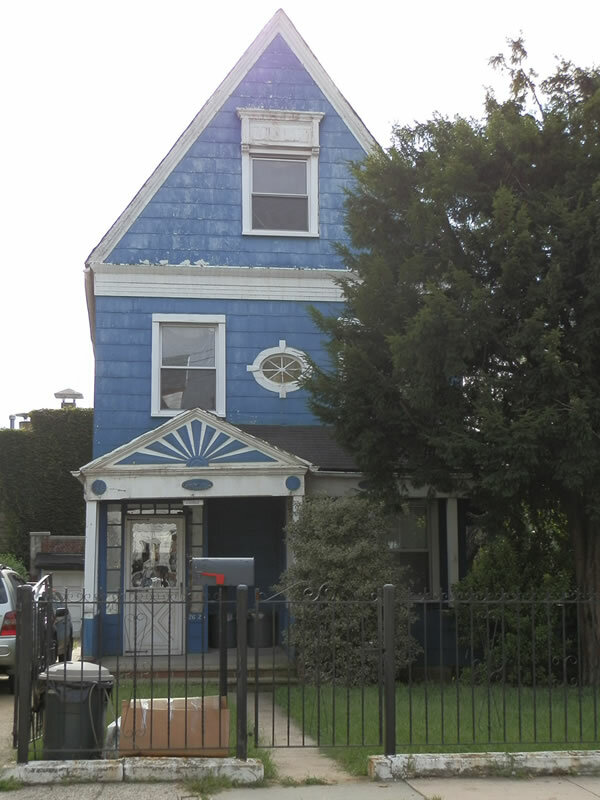 Location: Sunnyside, Queens – area bounded by 38th (Barnett) Ave on the north to Skillman Avenue on the south; 43rd Street on the west to 52nd Street on the east – plus a finger extending two blocks south along 47th and 48th Streets. 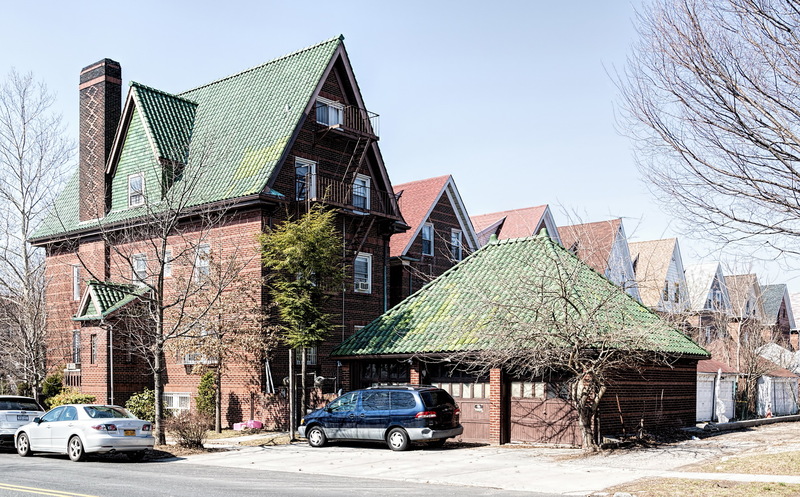 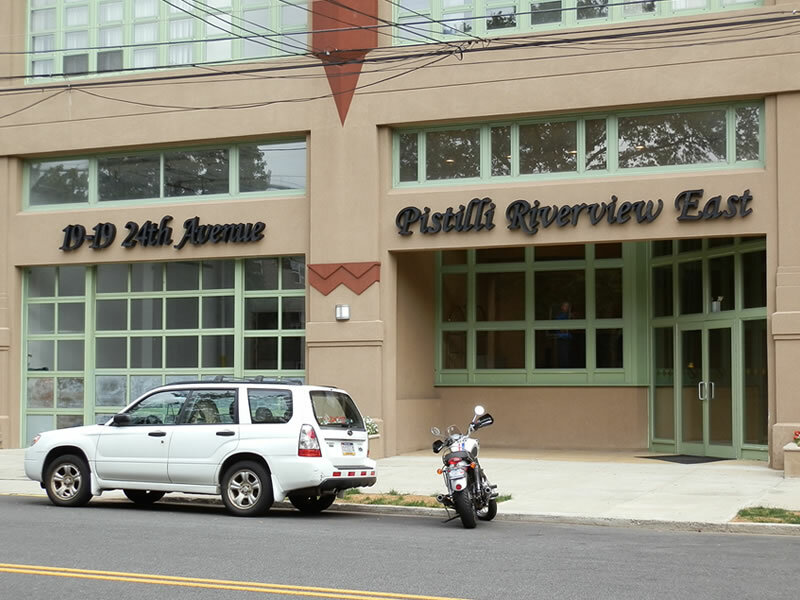 March 3, 2015 Collections, Queensarchitecture, astoria, ditmars, hunters point, landmark, long island city, New York City, queens, ravenswood, steinway, sunnyside. 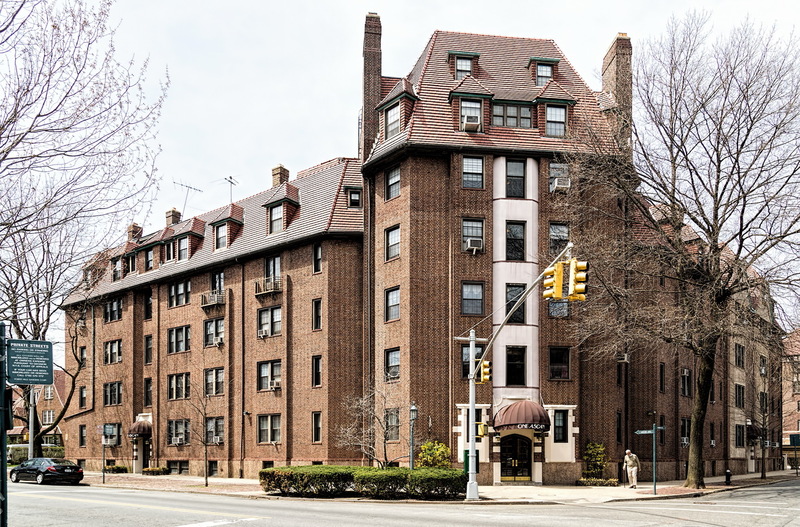 Western Queens includes the mostly residential neighborhoods of Astoria, Long Island City, Ravenswood, Hunters Point, Ditmars, Steinway, and Sunnyside. 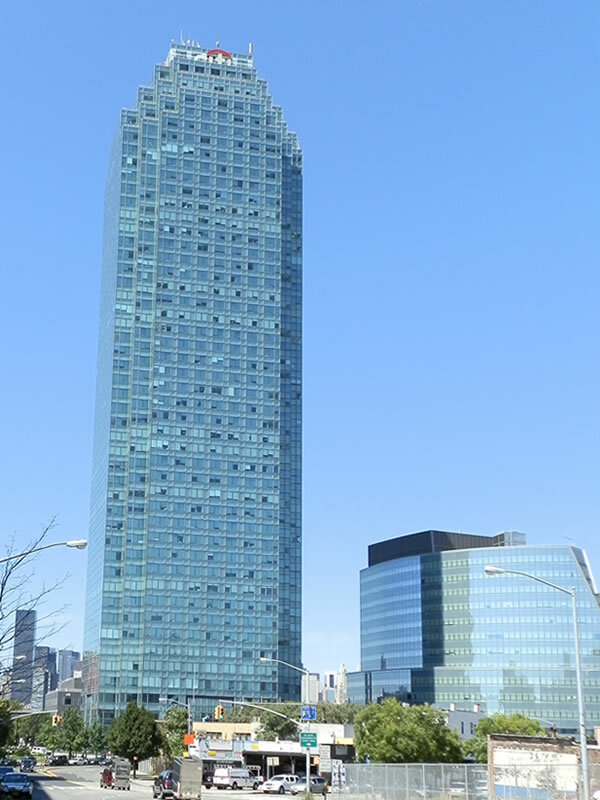 Until relatively recently, you couldn’t accuse this region of having a skyline; but then in 1989 the Citicorp Building went up, followed by (mostly) green glass residential, hotel and commercial buildings all along the East River corridor. 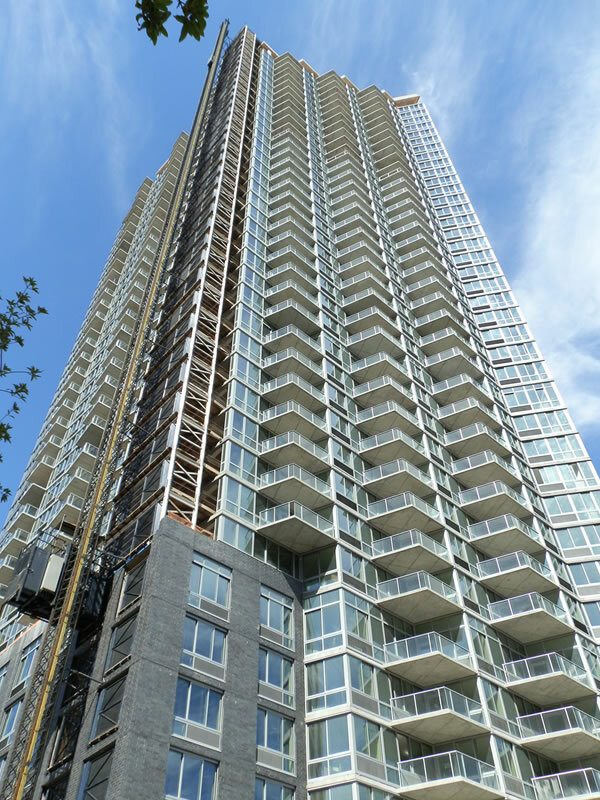 New York Is Looking Up! 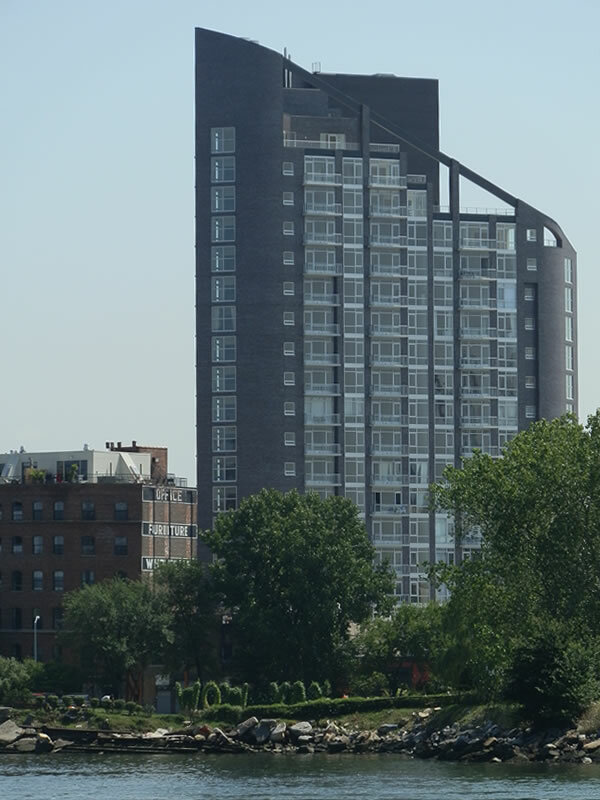 March 3, 2015 Architecture, Bronx, Brooklyn, Collections, Manhattan, Queens, Staten Islandarchitecture, New York City. 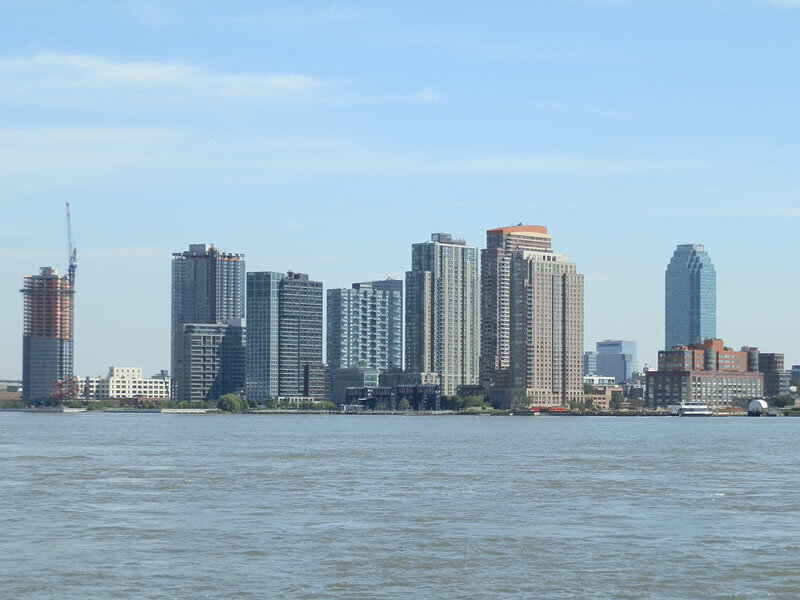 If you really want to see New York City, you have to look around: Look behind you – it’s easy to miss details when you’re always looking forward. 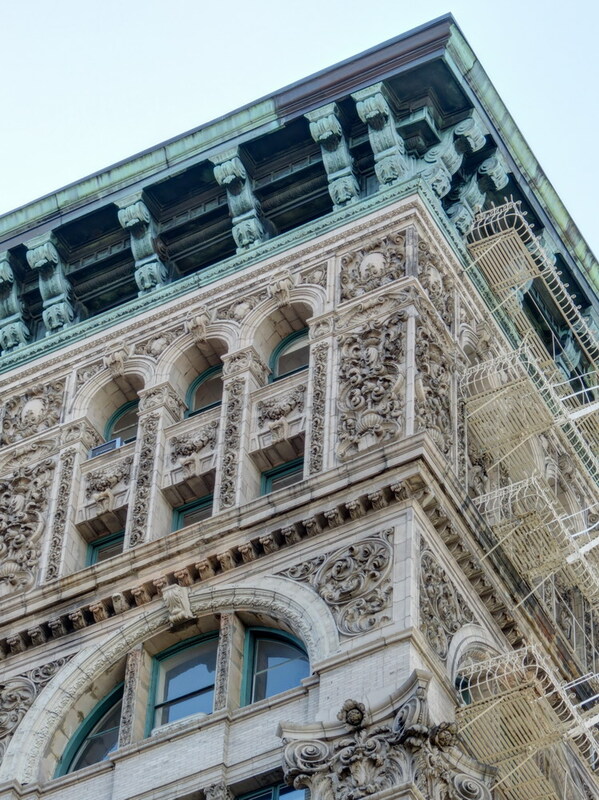 And for goodness’ sake, look up! 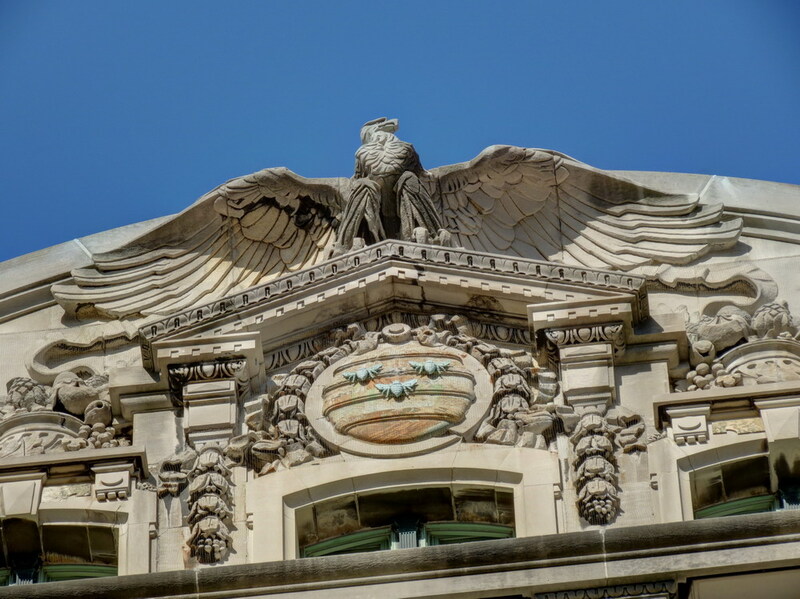 Amazing sights await those who lift their eyes to the skies! 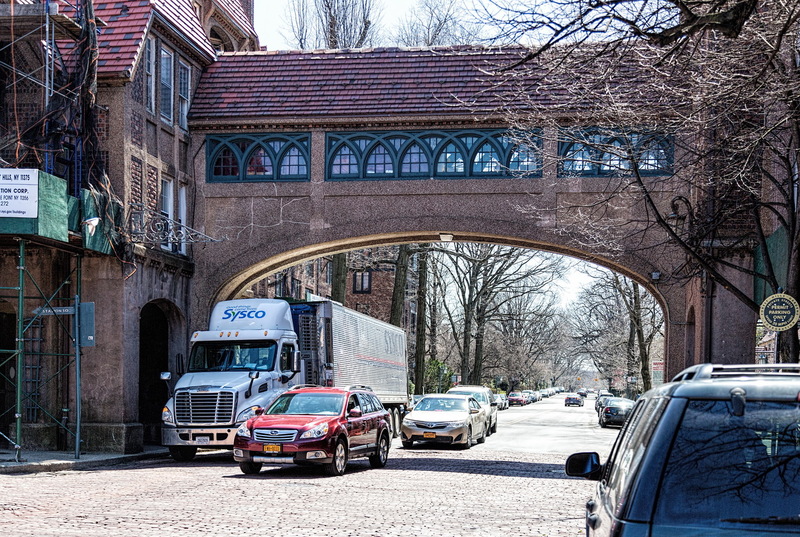 March 3, 2015 Bronx, Brooklyn, Collections, Manhattan, Queensbridges, east river, historic, landmarks, New York City. 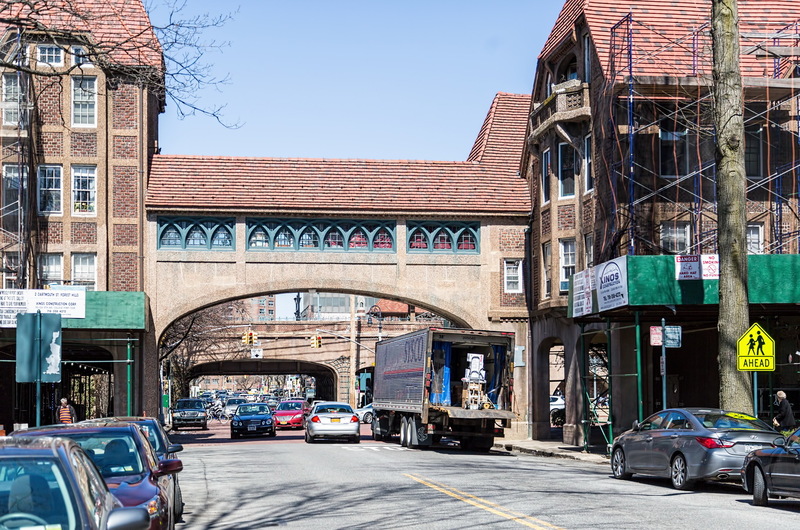 New York has more than 75 bridges connecting the boroughs to each other and to New Jersey. 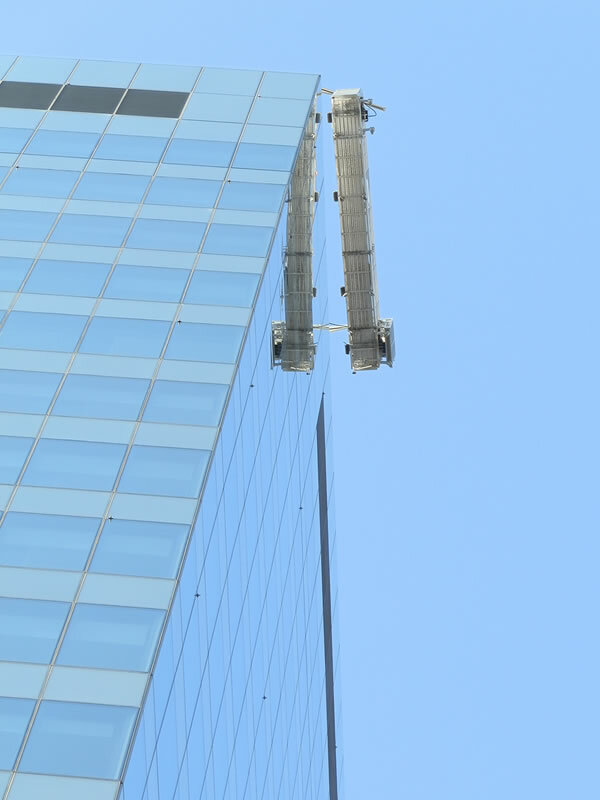 It’s fascinating how so many different engineers came up with so many different solutions for the same problem: How to cross a river. 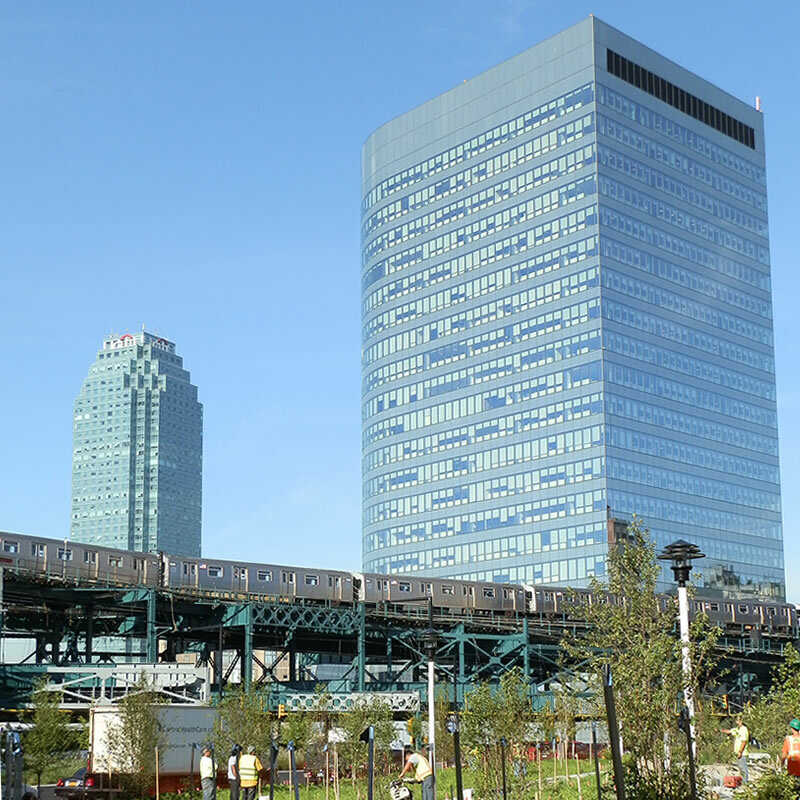 Here are views of some of the principal East River bridges. 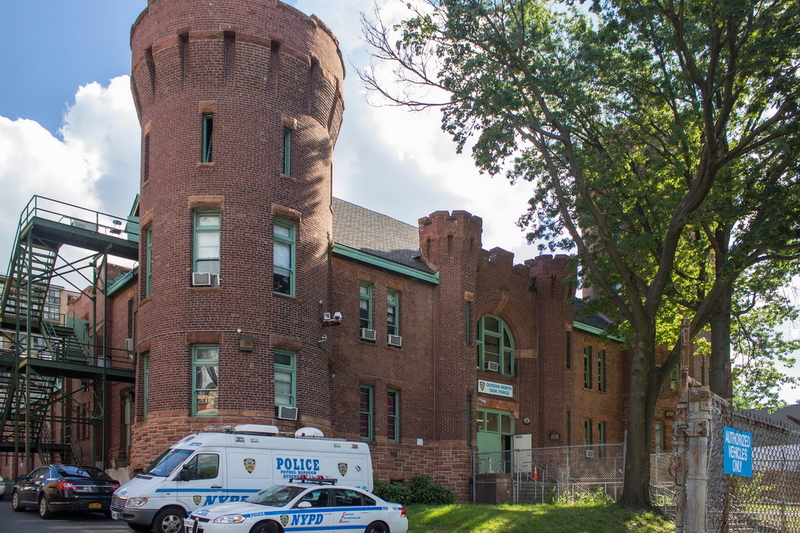 To come: Bronx-Whitestone, Throggs Neck and Rikers Island bridges. 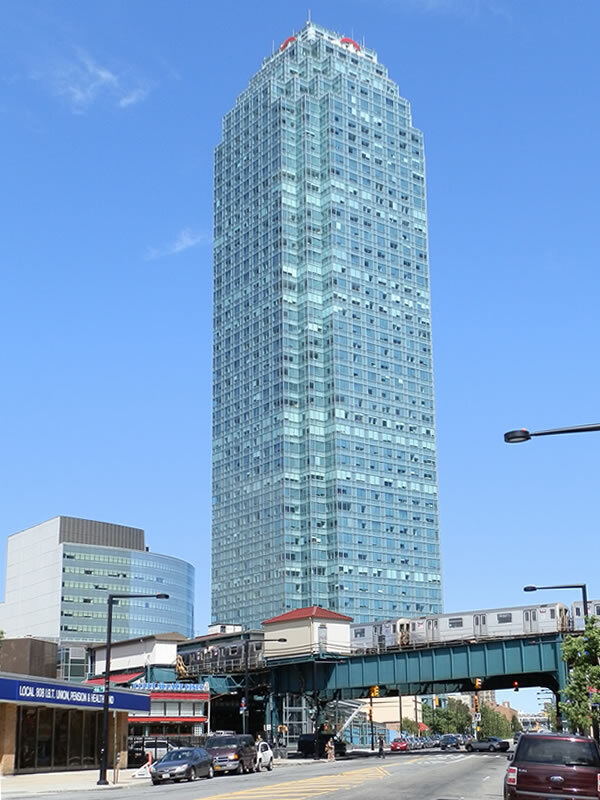 March 2, 2015 Collections, Manhattan, Queensapartments, Manhattan, New York City. 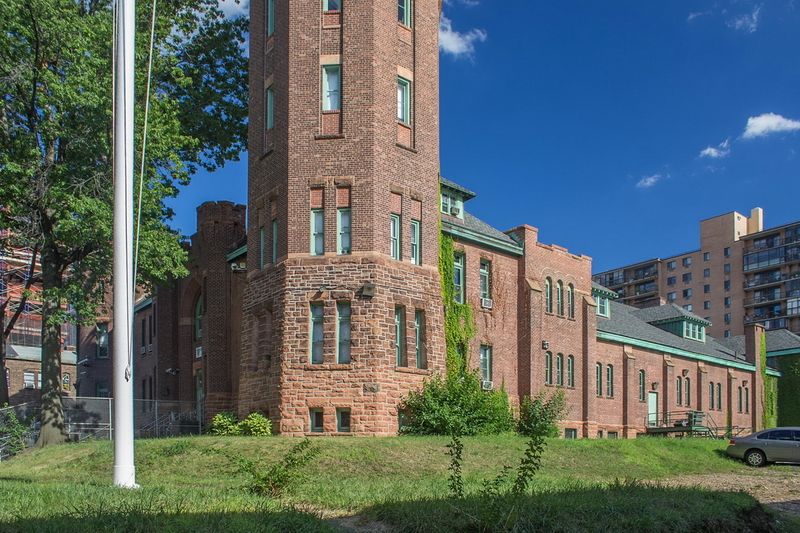 One-time farm, one-time prison/insane asylum/smallpox hospital, Roosevelt Island is still developing, still growing as a residential community. 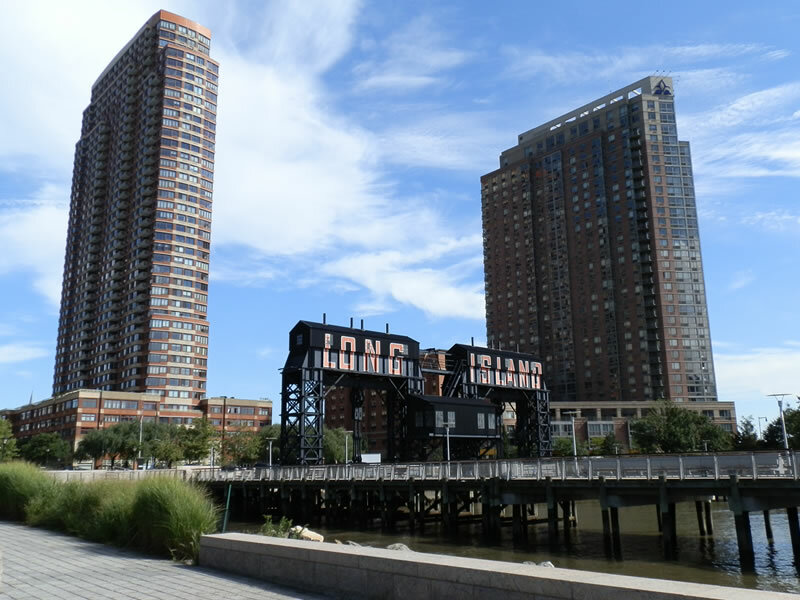 Located in the East River between Manhattan and Queens, the tract is technically part of Manhattan, but linked by bridge to Queens. 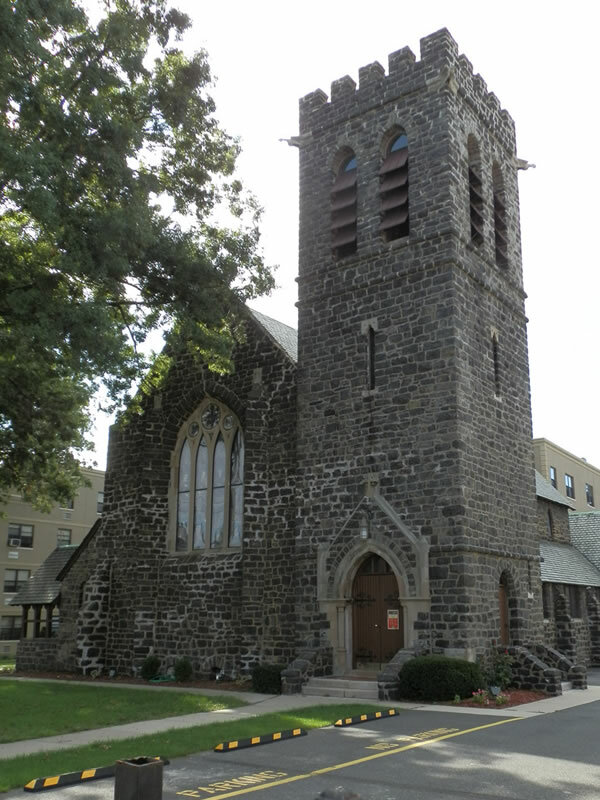 For more of the history, visit the Wikipedia entry. 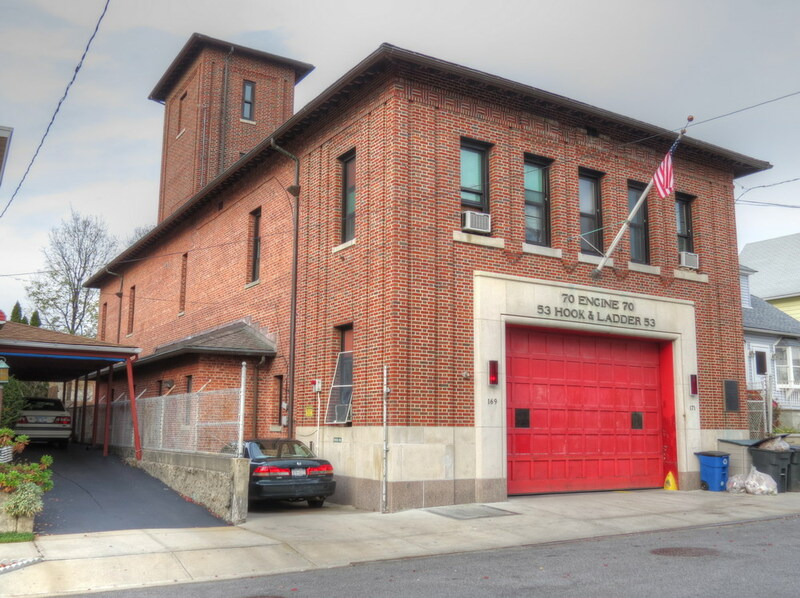 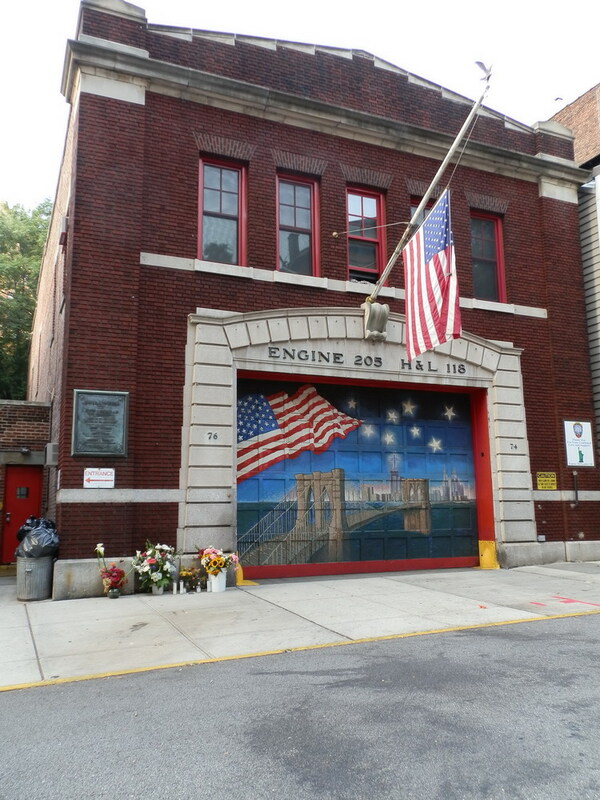 February 24, 2015 Bronx, Brooklyn, Collections, Manhattan, Queens, Staten Islandfirehouse, historic, landmark, New York City, photos. 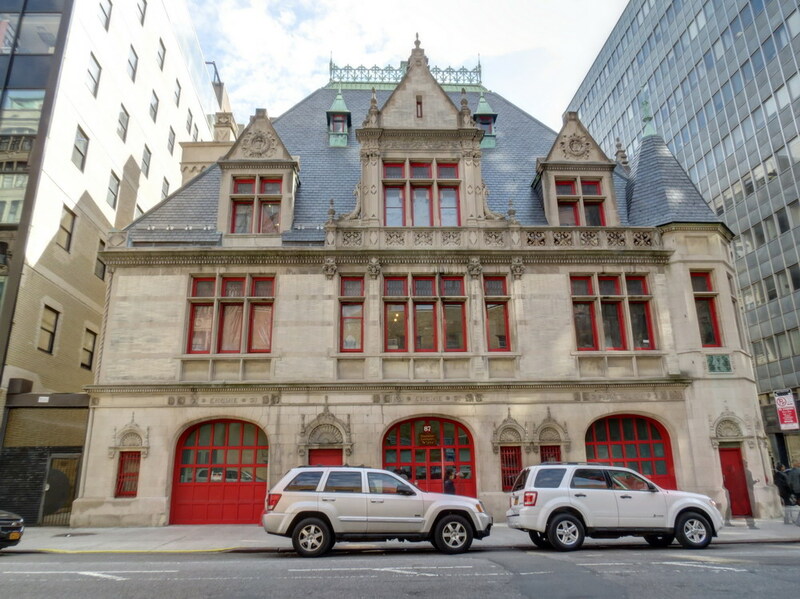 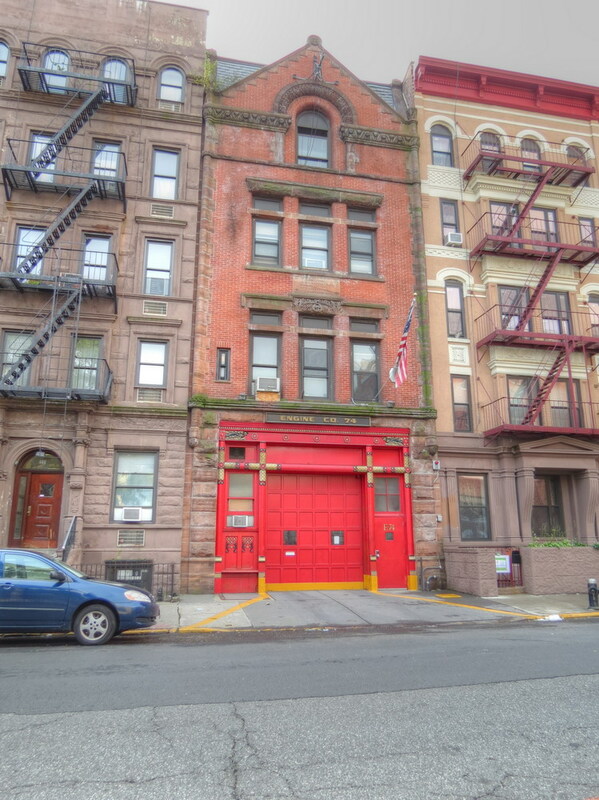 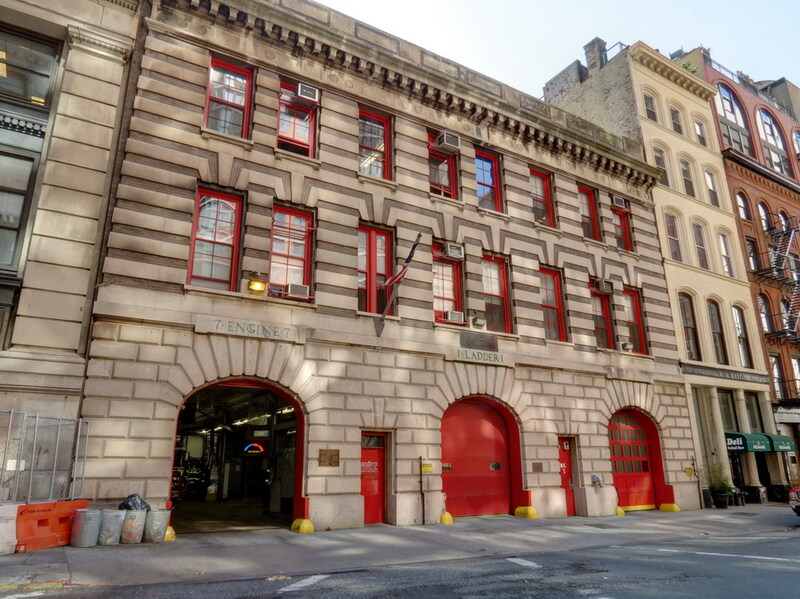 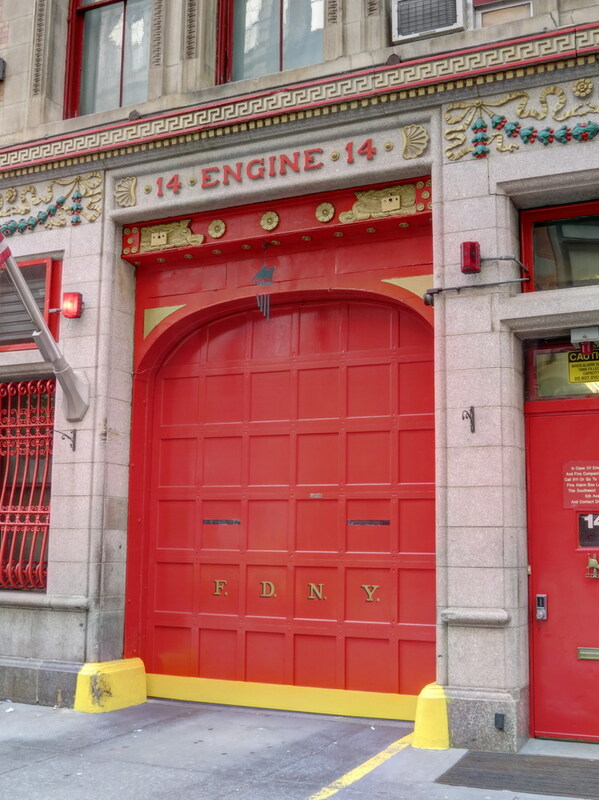 That excitement and romantic view of firemen must have inspired New York architects, because they designed some really awesome fire houses! 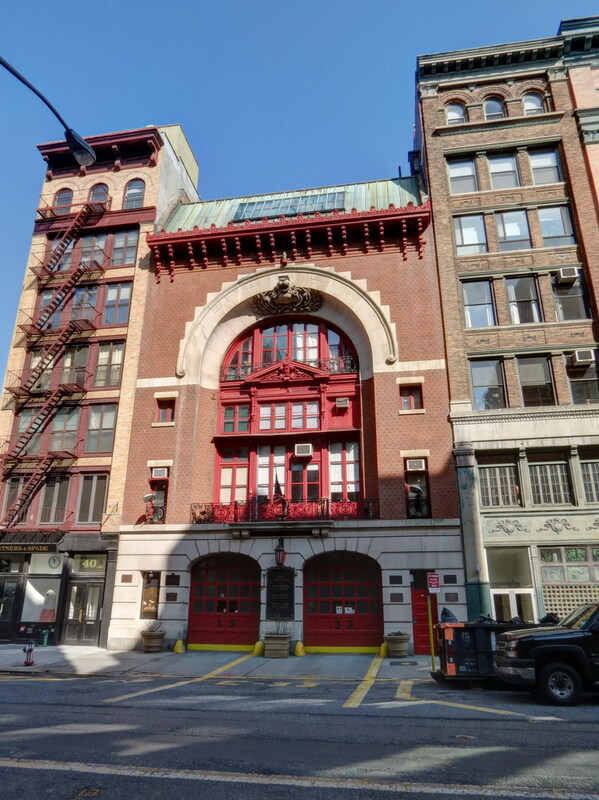 The elaborate stations of the early 1900s came about as New York City transitioned from volunteer corps to a paid professional force. 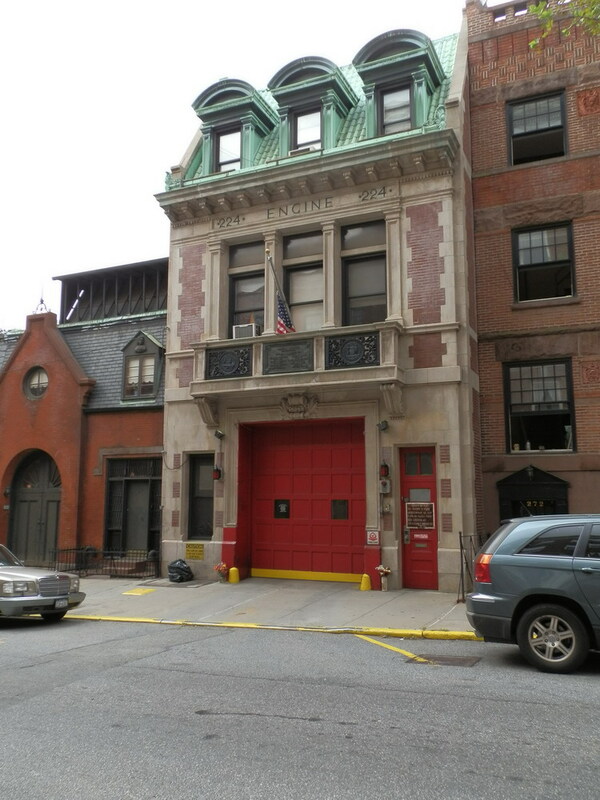 The FDNY had its own architect, which for many years was Napoleon LeBrun. 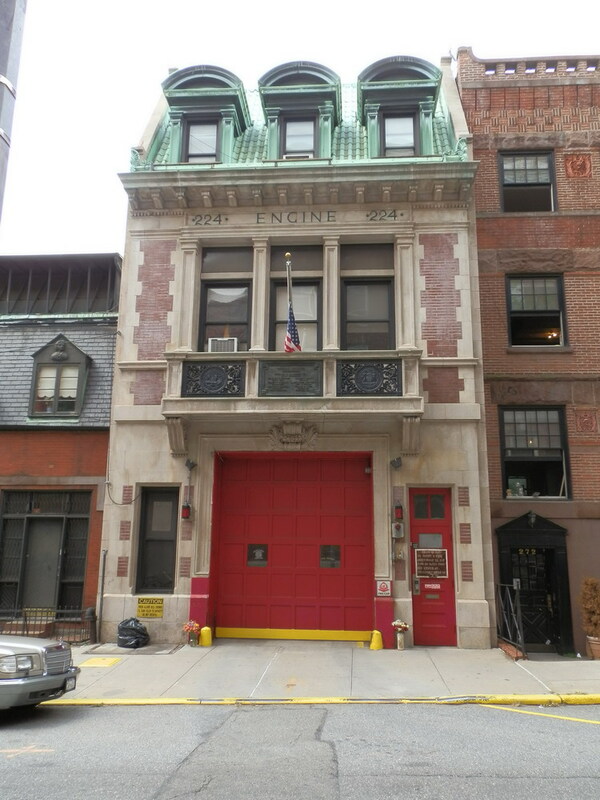 His crowning work was the station for Engine Company 31, a Loire Valley chateaux-style confection now used as television studios. 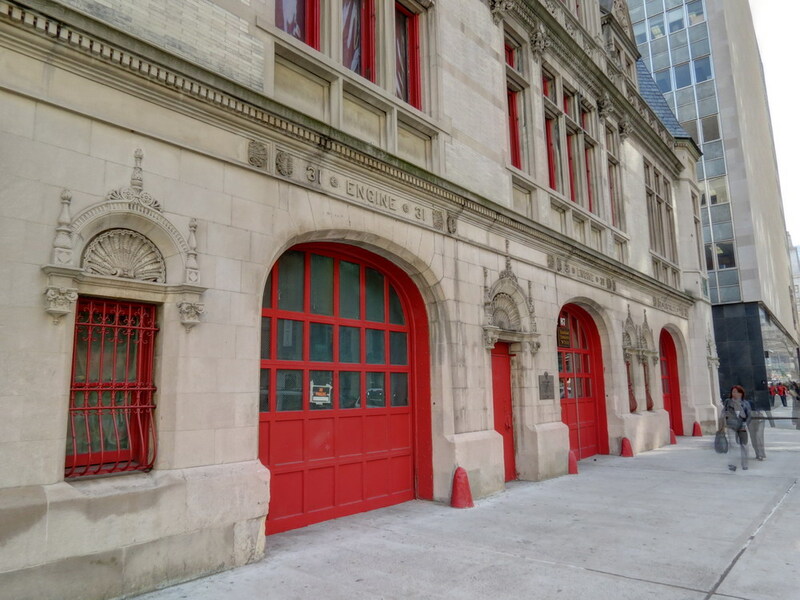 Incidentally – when you see a tower attached to or sprouting from a firehouse, that’s where they hang their hoses to dry between fires. 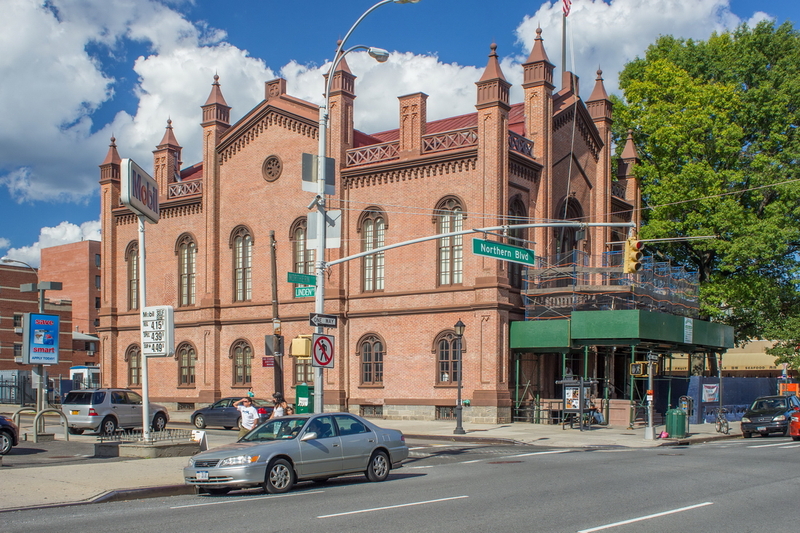 February 23, 2015 Collections, Queenshistoric, landmark, New York City, queens. 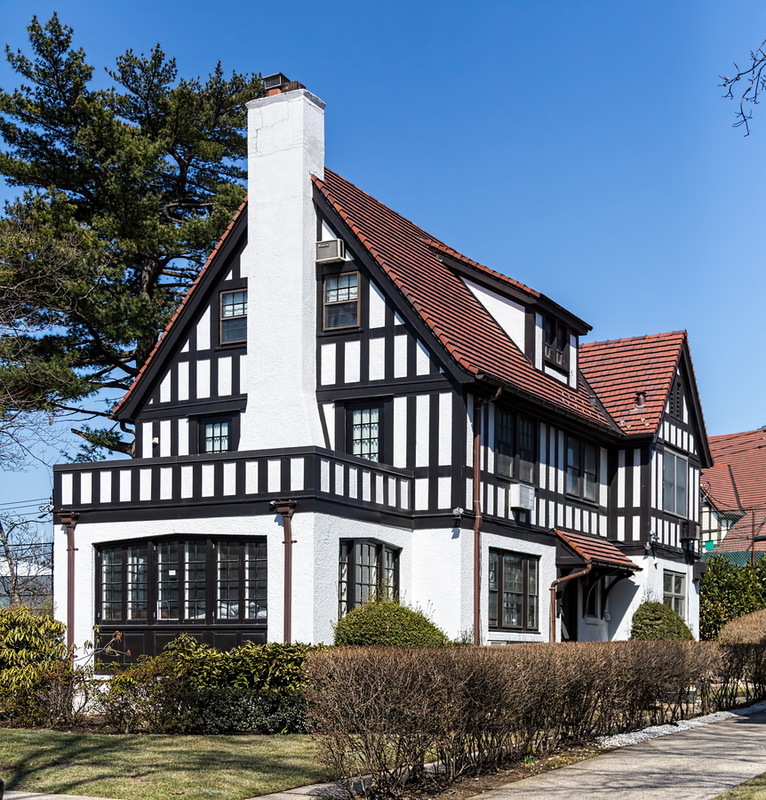 Now an enclave of Korean and Chinese immigrants, Flushing was originally settled by the Dutch in the 1600s and remained an independent town until 1898, when Queens became a borough of New York City. 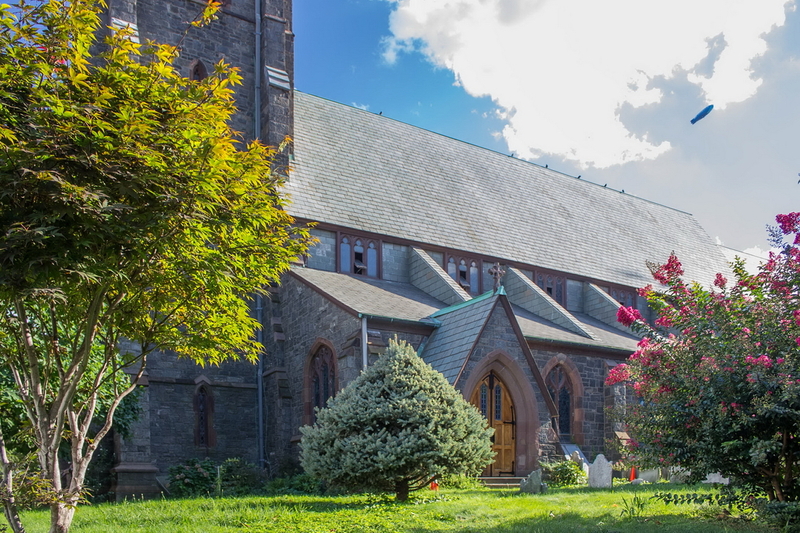 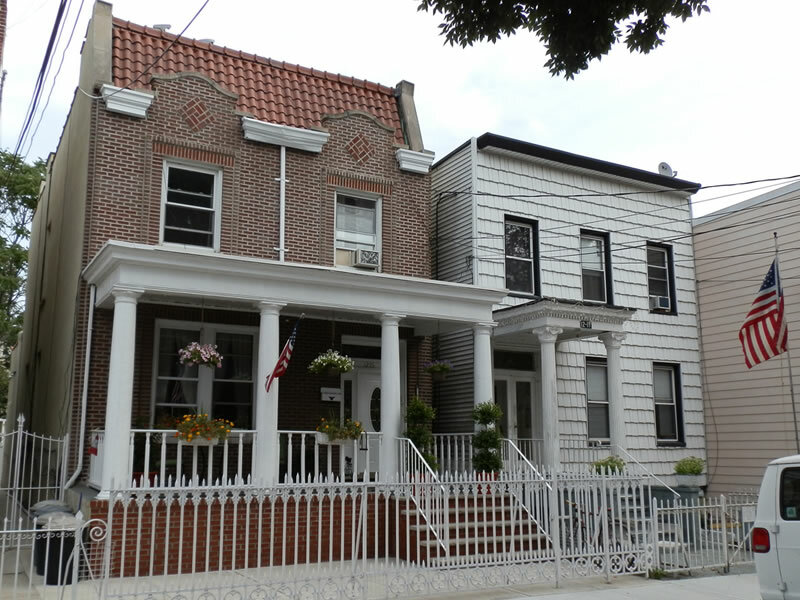 Among other distinctions, Flushing claims to be the birthplace of religious freedom in the United States. 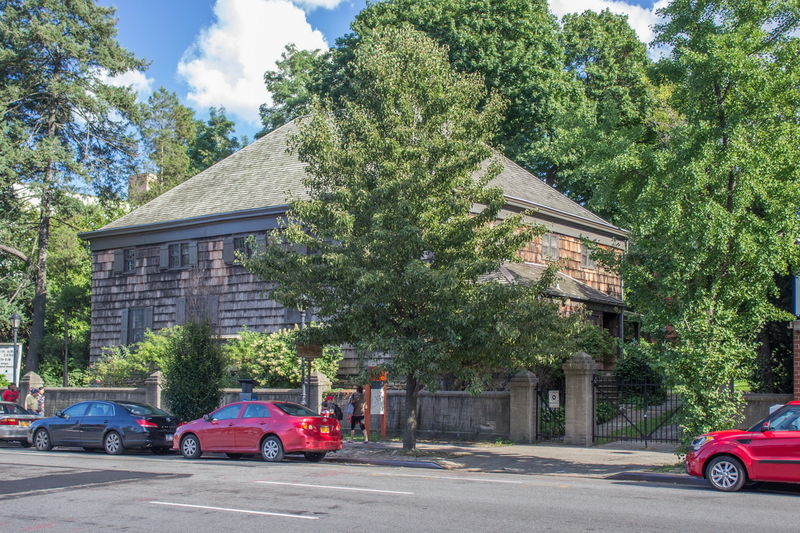 The Society of Friends (Quakers) had been outlawed; John Bowne was arrested for permitting Quakers to meet in his house (pictured in this gallery). 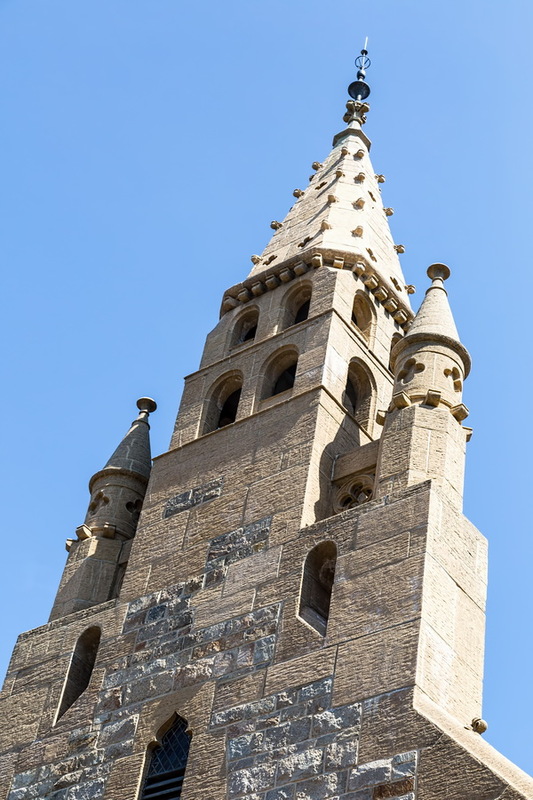 Upon appeal to the Dutch government, Bowne was acquitted – establishing freedom of worship. 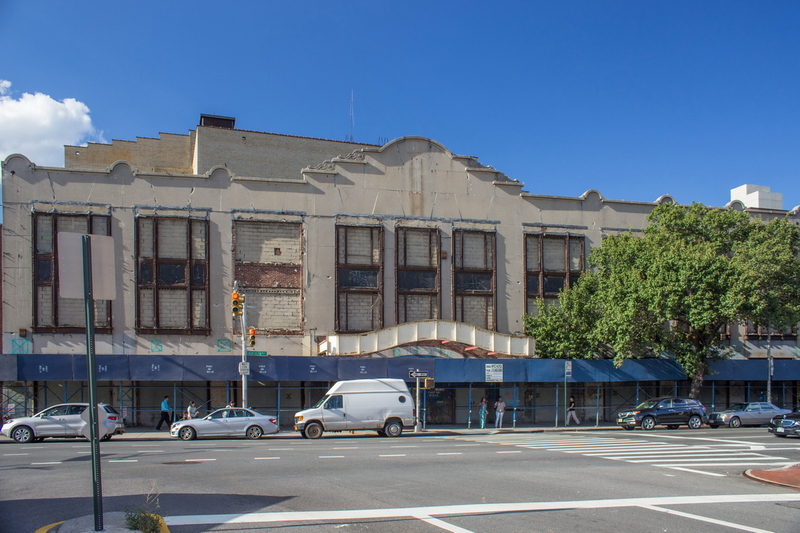 The most modern landmark, the RKO Keith’s Theater, is due to be replaced by a 17-story rental apartment building. 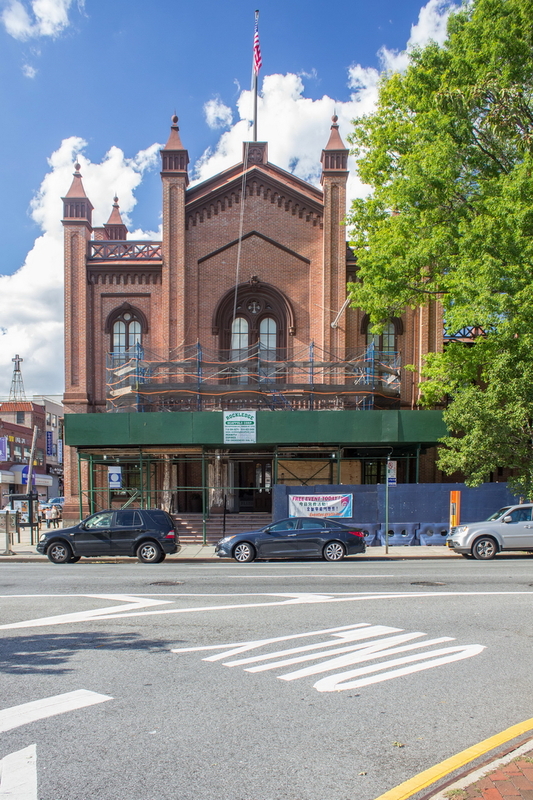 Plans are to incorporate the landmark-designated theater lobby within the new structure. 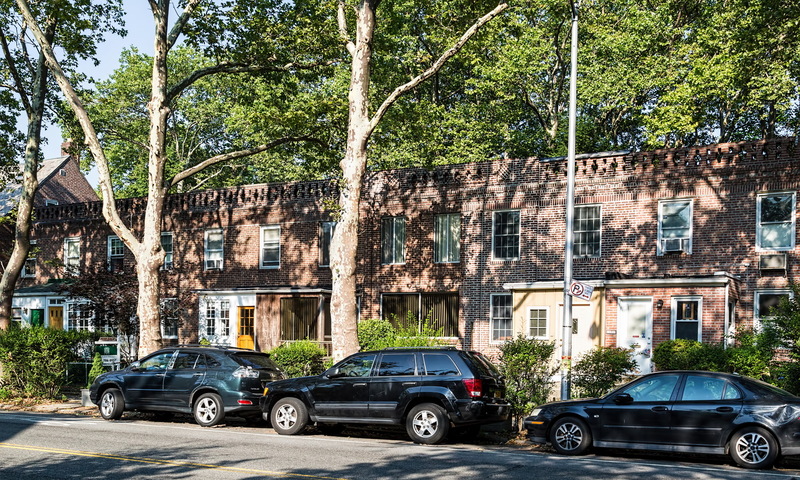 Within a three-block radius are 10 buildings of architectural and historical interest (including the Queens Historical Society). 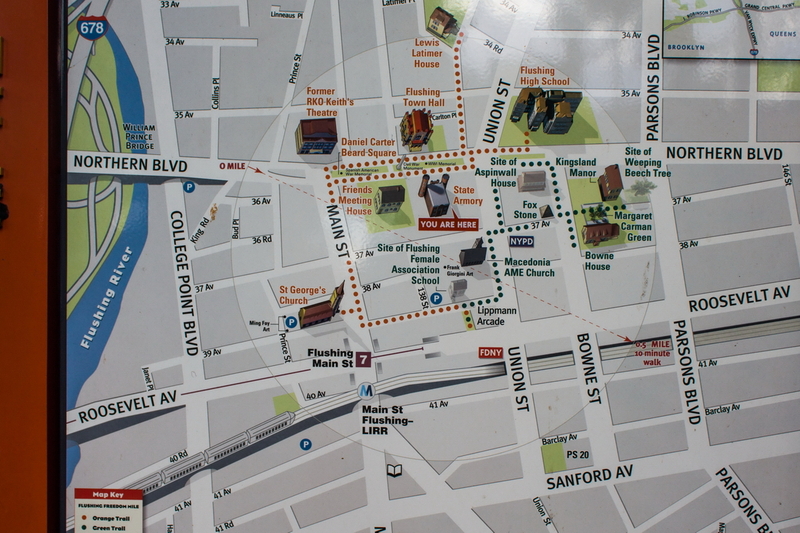 And if you should get hungry while exploring the area, you just might find a Chinese or Korean restaurant or two…. 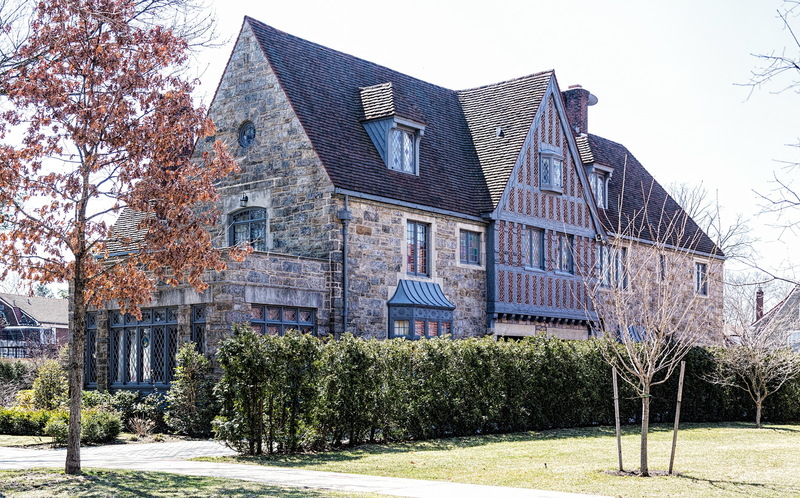 February 23, 2015 Bronx, Brooklyn, Collections, Guides, Manhattan, Queens, Staten Islandbronx, brooklyn, historic, Manhattan, museum, queens, staten island. 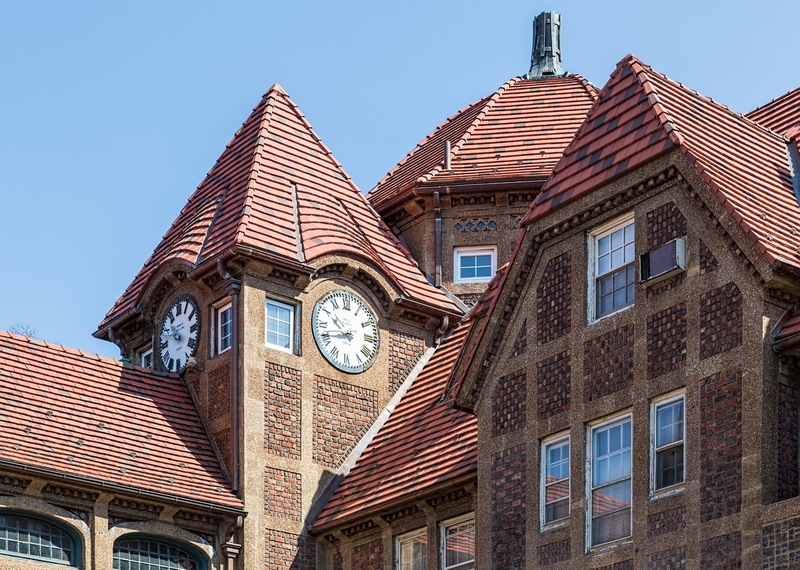 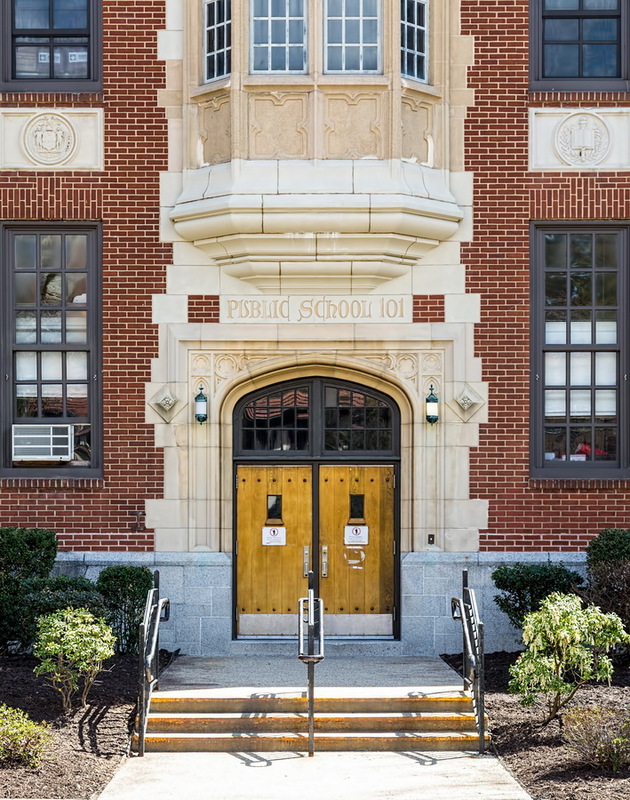 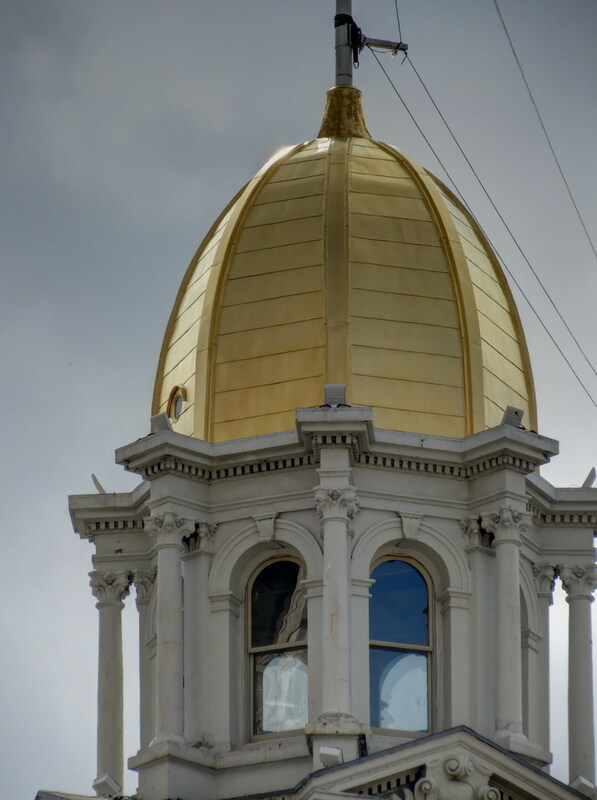 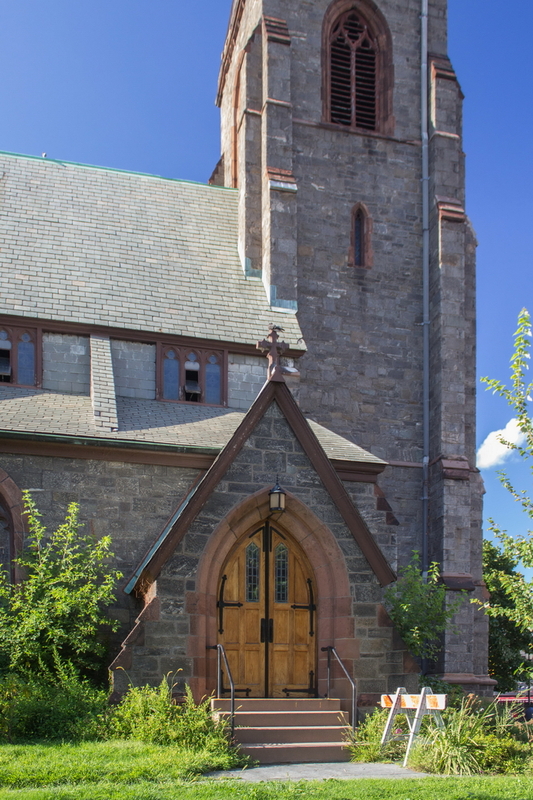 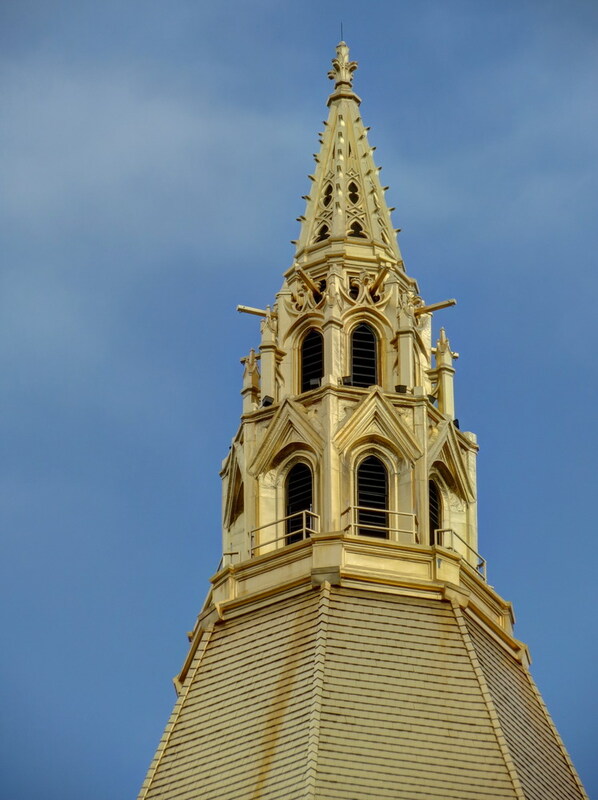 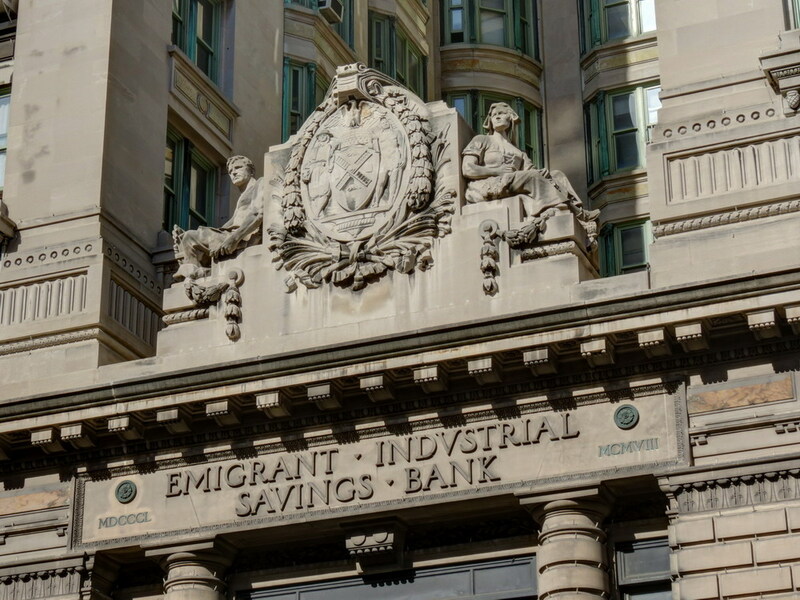 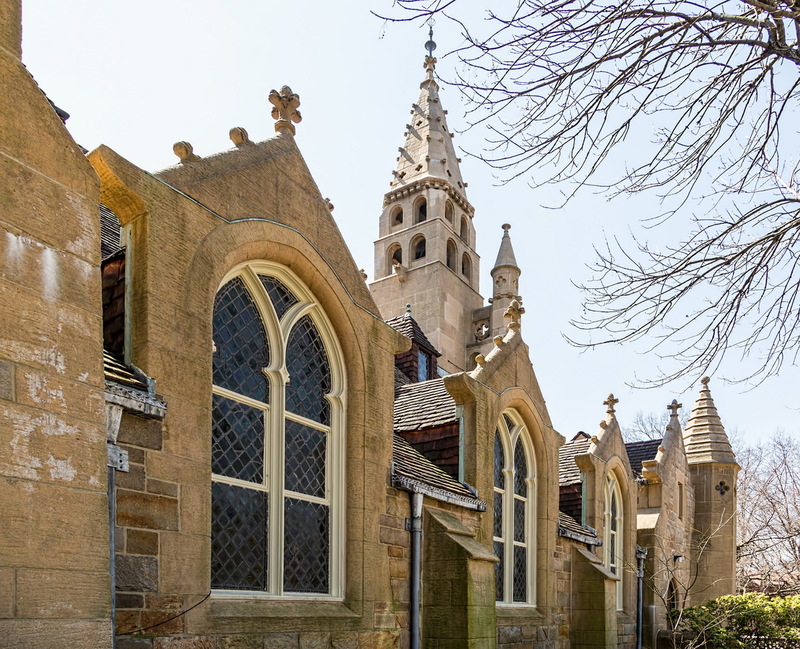 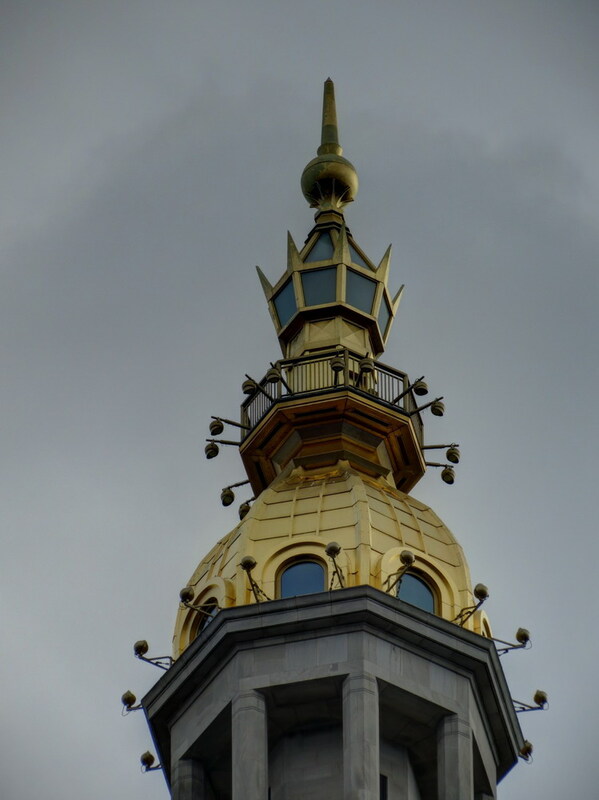 You’ll find historical societies in all five boroughs of New York; as you’ll see, they are architecturally interesting in themselves, and are valuable resources for learning more about the boroughs’ history. 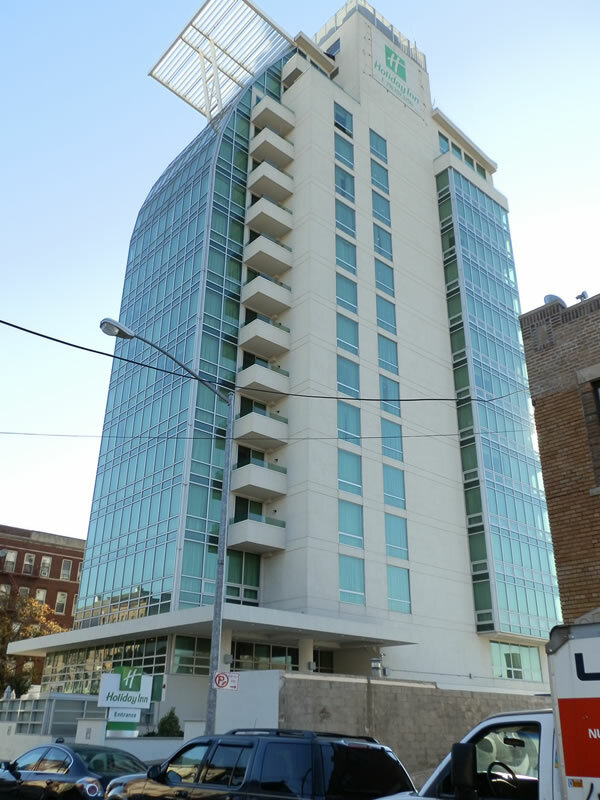 Here are some capsule reviews of each, with contact info. 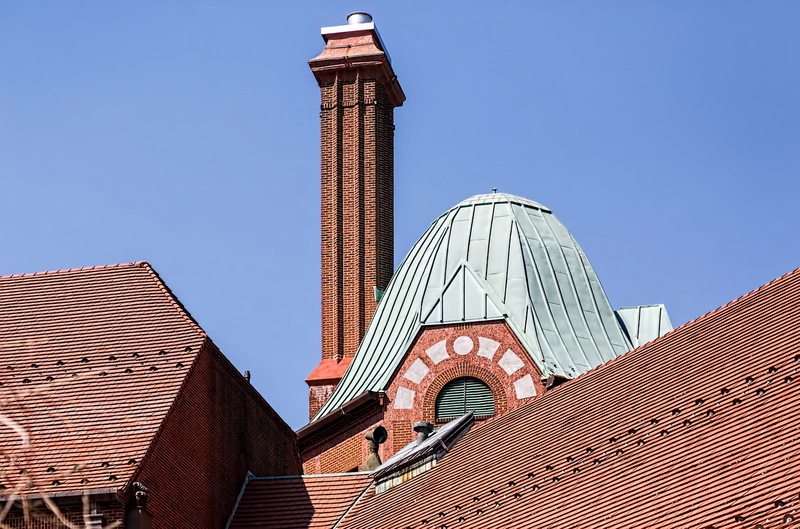 Be sure to get current visitor and exhibit information – some sites have very limited hours of operation. 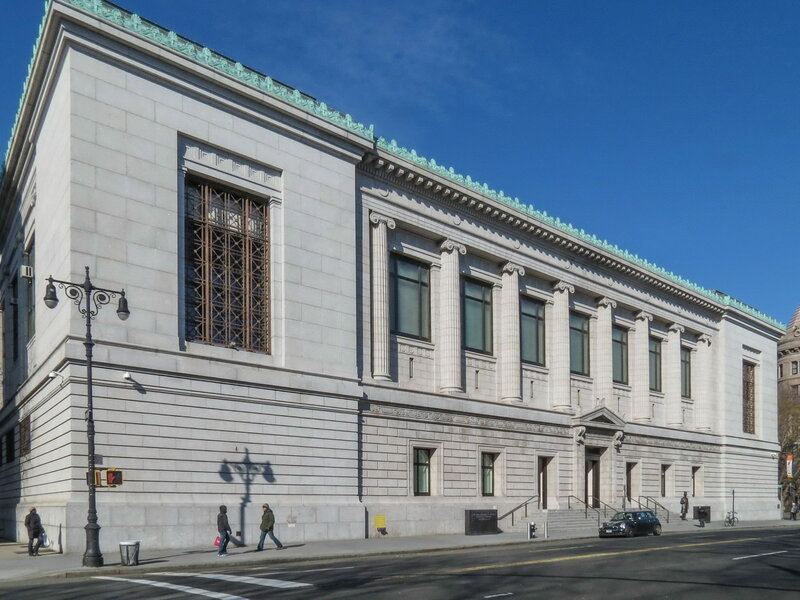 The New York Historical Society is both the oldest and among the youngest museums in New York. 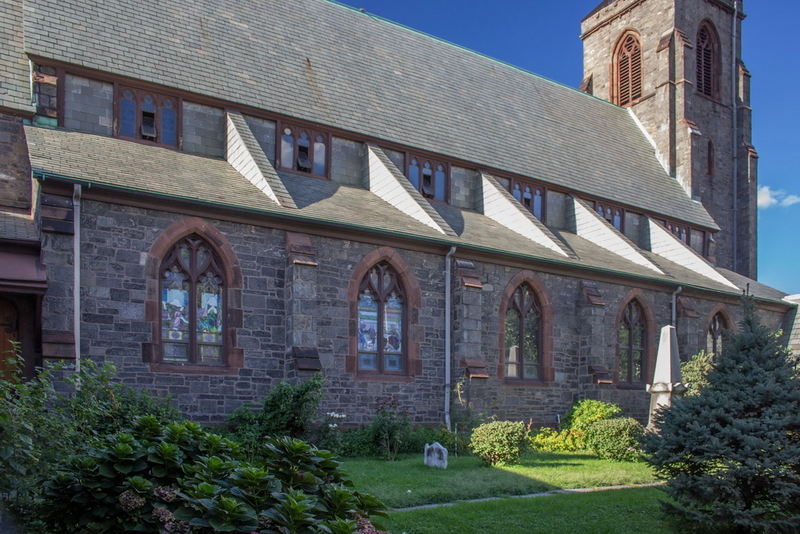 It was founded in 1804, but the building was renovated and reopened in November 2011. 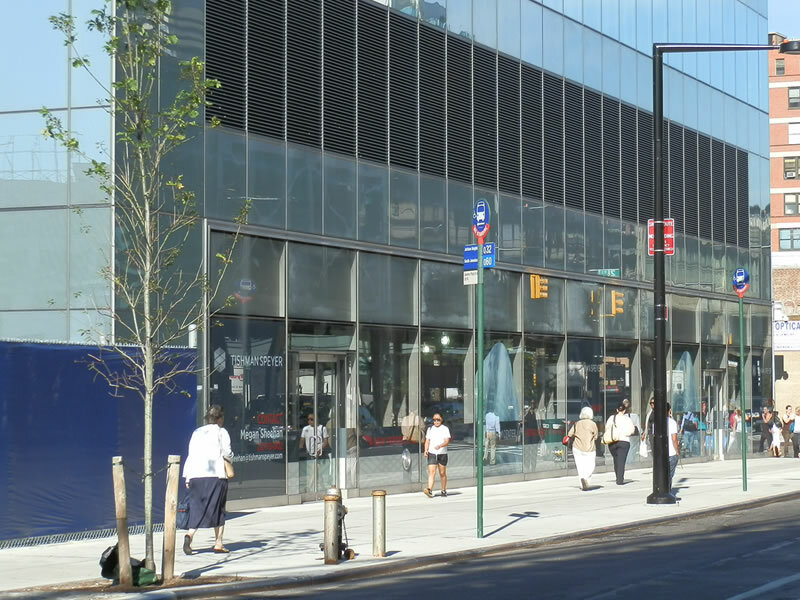 It now includes state-of-the-art interactive displays on three exhibit floors and a spectacular multimedia show – “New York Story” – which by itself is almost worth the price of admission. 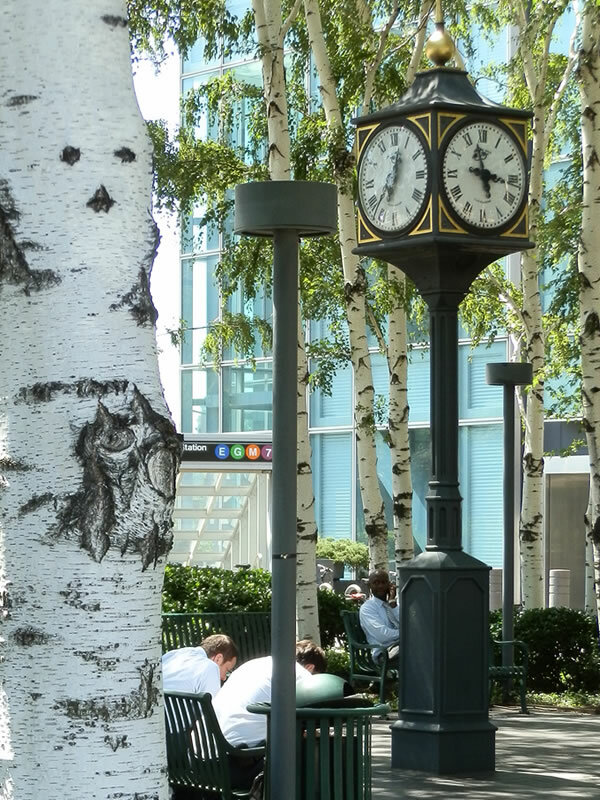 (The 18-minute show screens every half hour.) 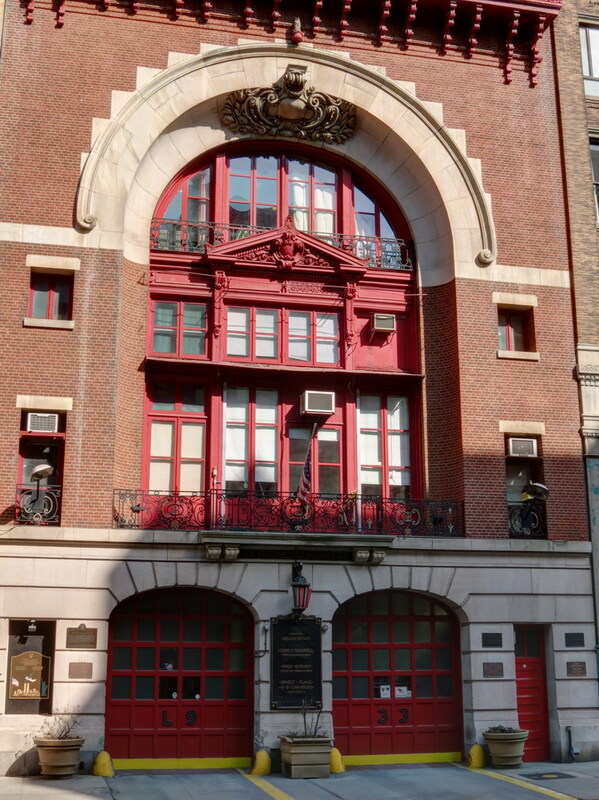 The Society is also young in its approach to history – it has a sense of humor that pops up and keeps the exhibits fresh. 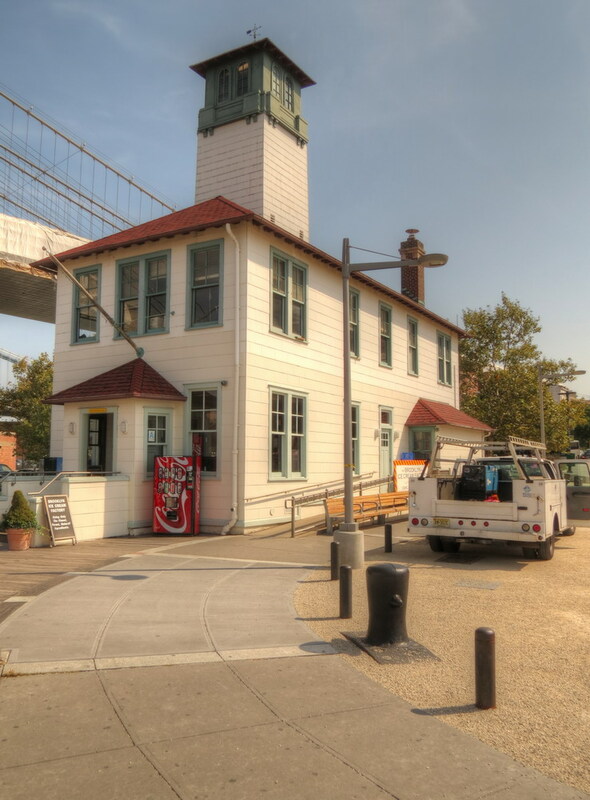 Where else would you find a “Beer Here” exhibit? 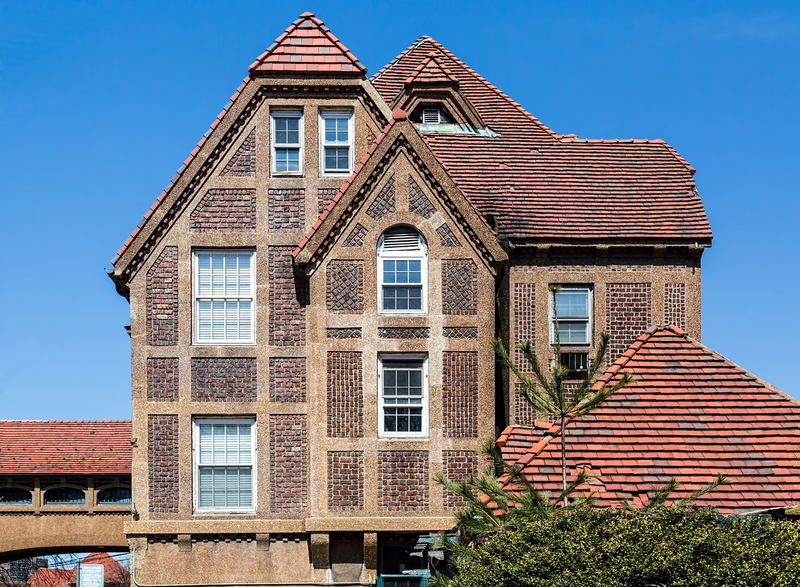 The permanent collection is displayed on the fourth floor (which has its own mezzanine); changing exhibits are on the first and second floors; a children’s museum, library and classrooms are on the lower level. 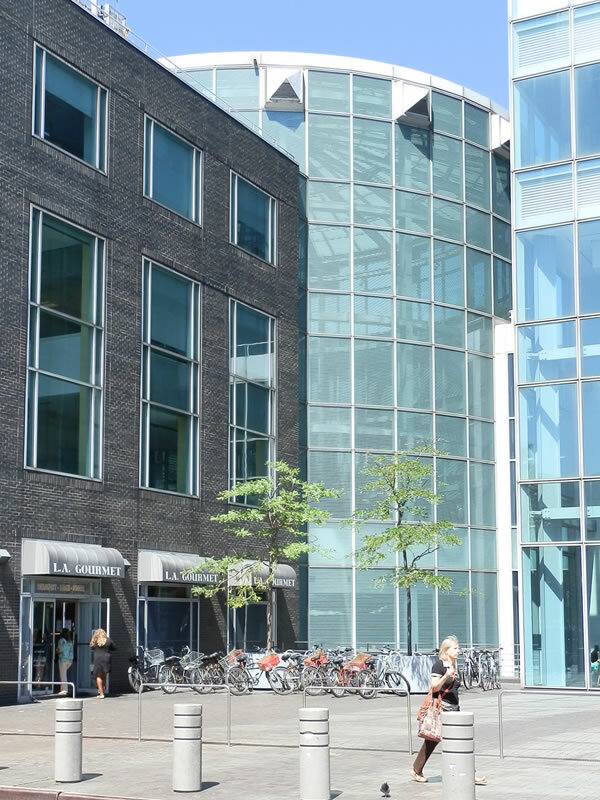 The first floor also contains the auditorium, gift/book shop and cafe. 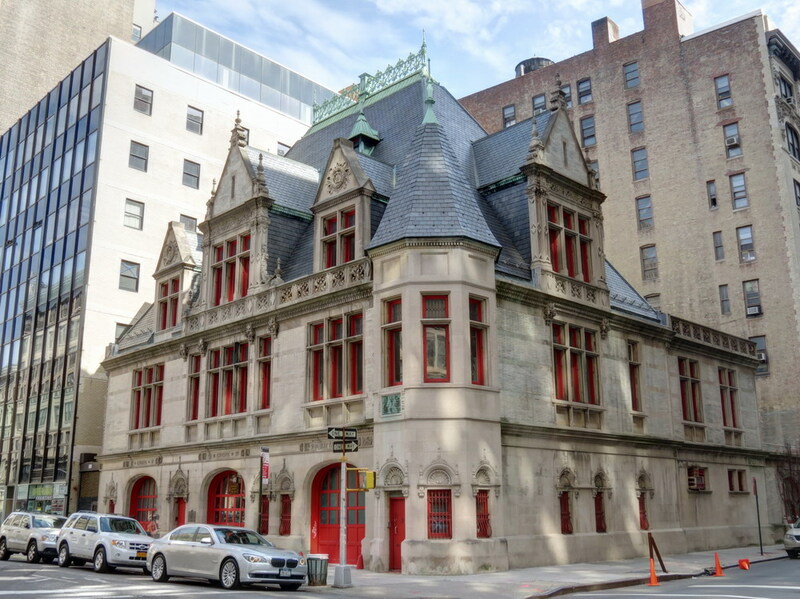 New York Historical Society goes to great lengths to make its collection accessible to all – mobility, sight and hearing impairments are all accommodated. 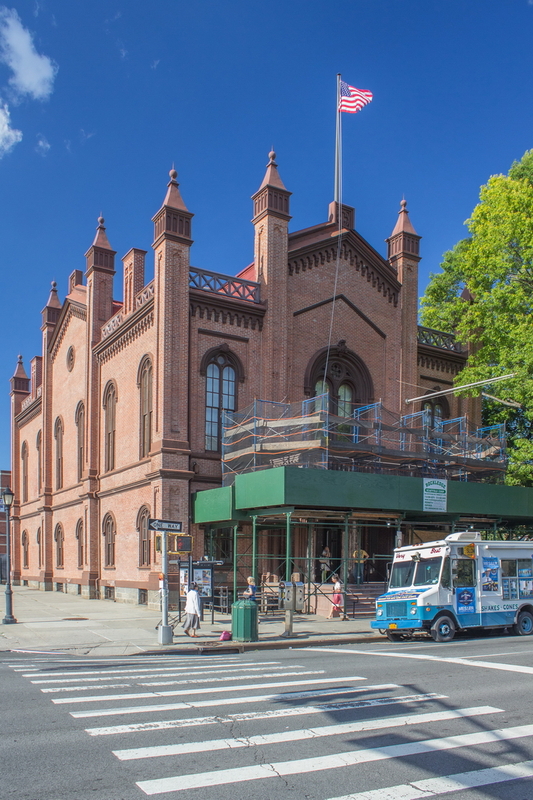 The New York Historical Society museum and library covers all of New York City – unlike the other societies, which focus on single boroughs. 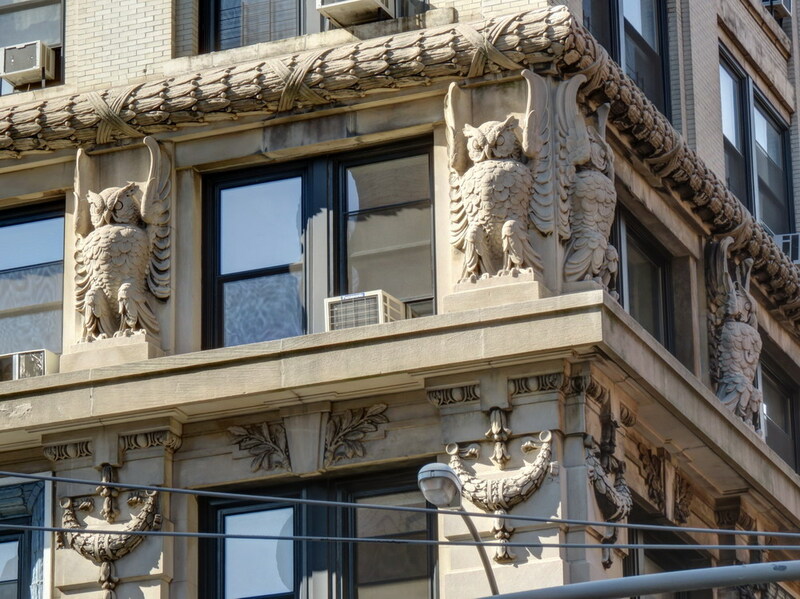 Consequently, there’s some overlap between this museum and the Museum of the City of New York on Fifth Avenue. 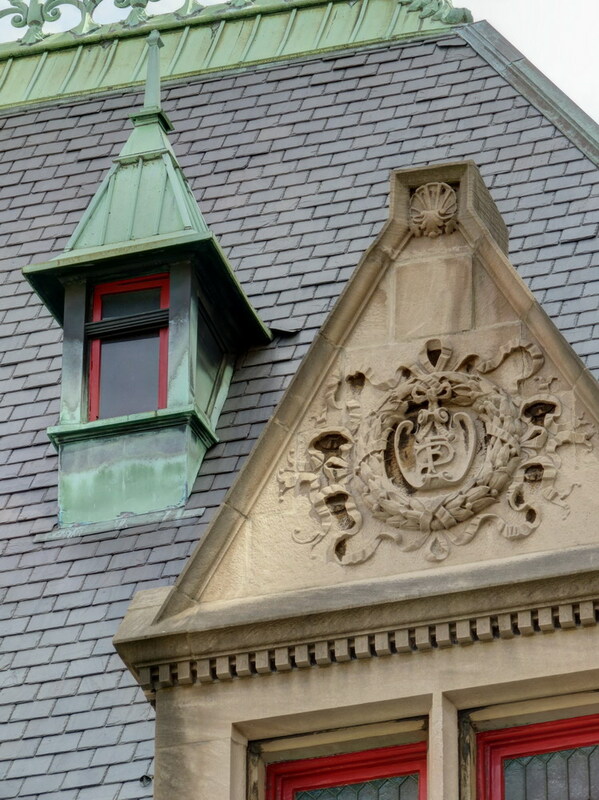 Note that the Society’s library closes earlier than its museum – 3 p.m. Tuesday-Friday and 1 p.m. on Saturday (closed Sunday). 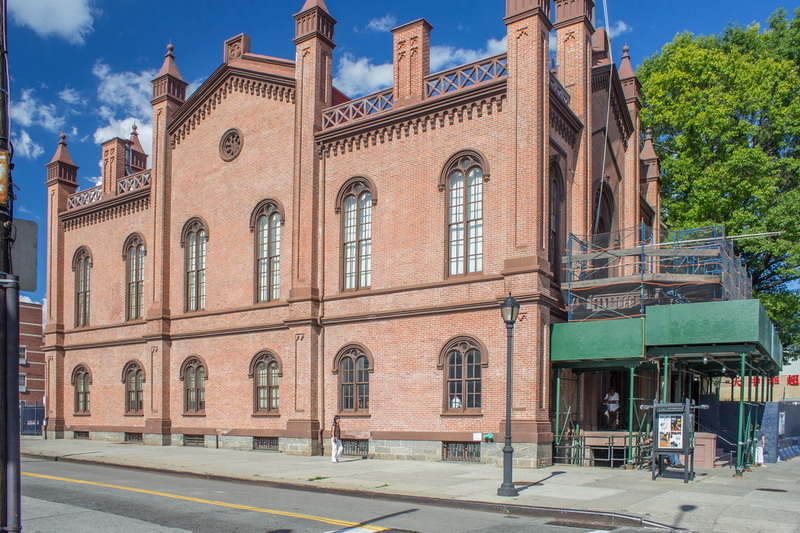 This is not one of the historical societies, strictly speaking – it’s a New York City-operated museum which serves many of the same purposes. 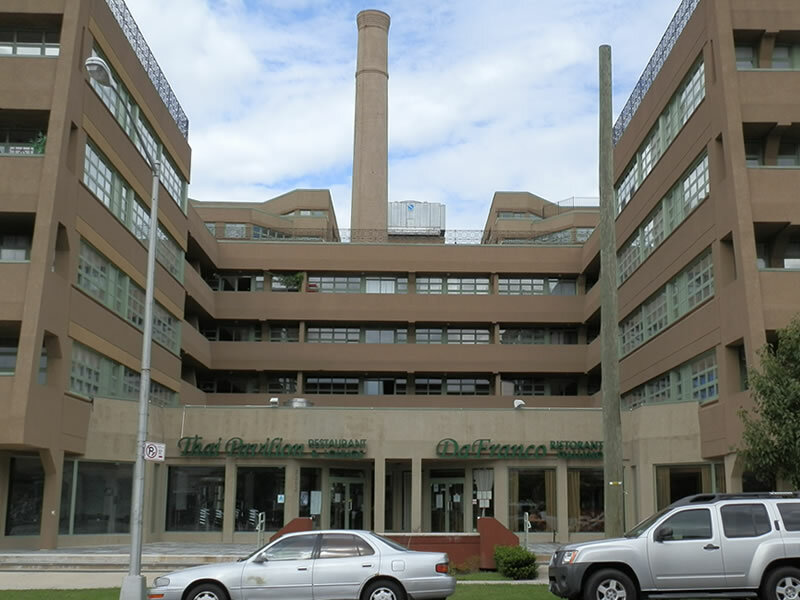 You might also be interested in the Queens Museum of Art (which has a massive city panorama, updated from the original 1964 NY World’s Fair). 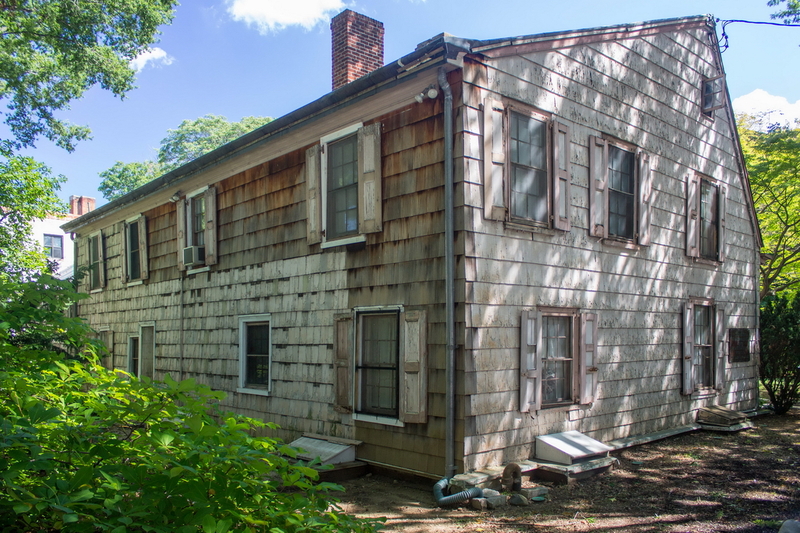 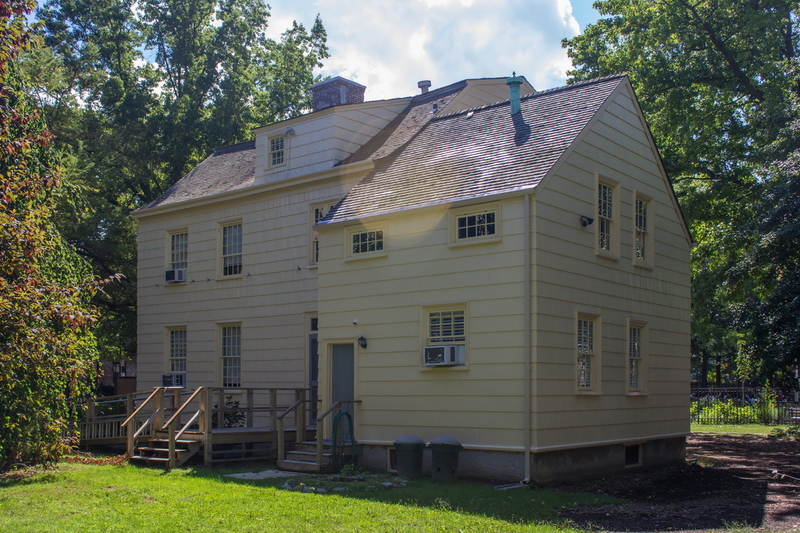 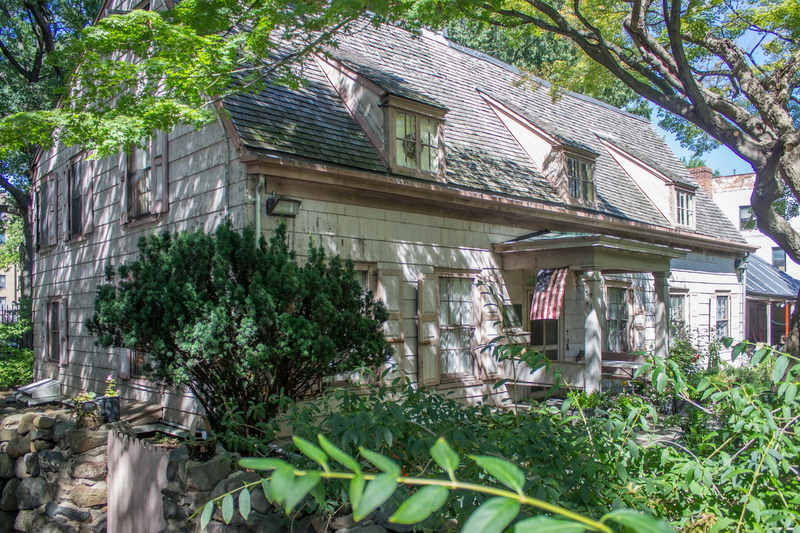 The Museum of Bronx History operates out of the Valentine-Varian House, a fieldstone farmhouse built in 1758. 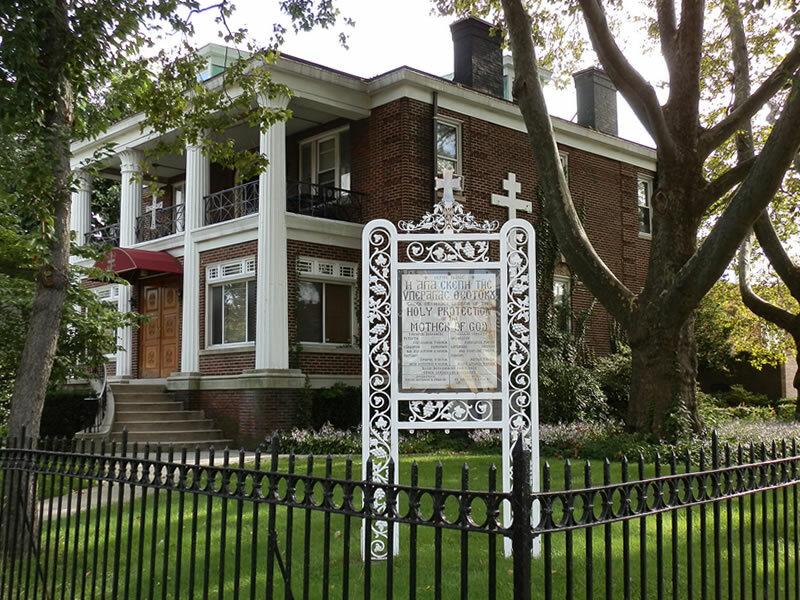 The Society also maintains a separate archive/library and the nearby Poe House (see below). 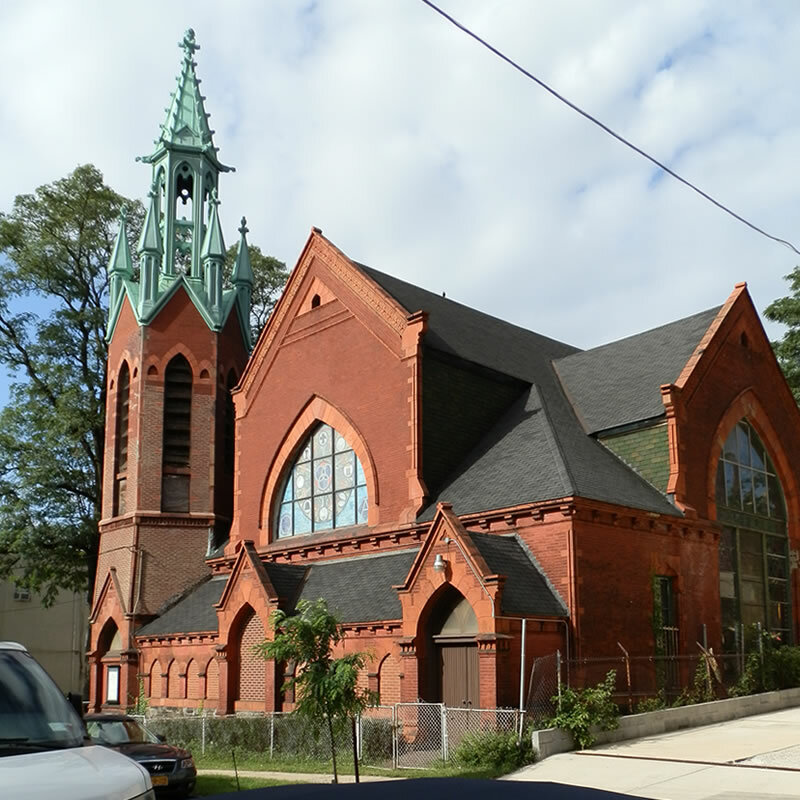 In addition, the society operates tours. 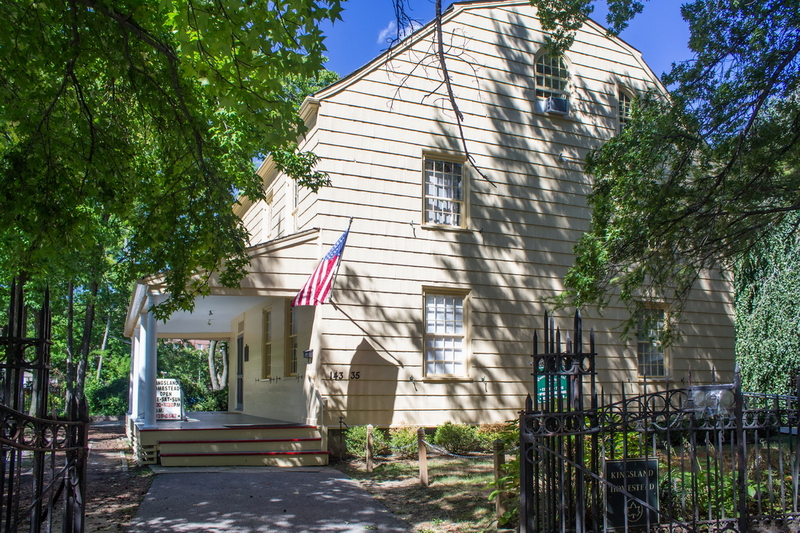 This is where Edgar Allan Poe spent his last years; where his wife died and where he wrote some of his most memorable works. 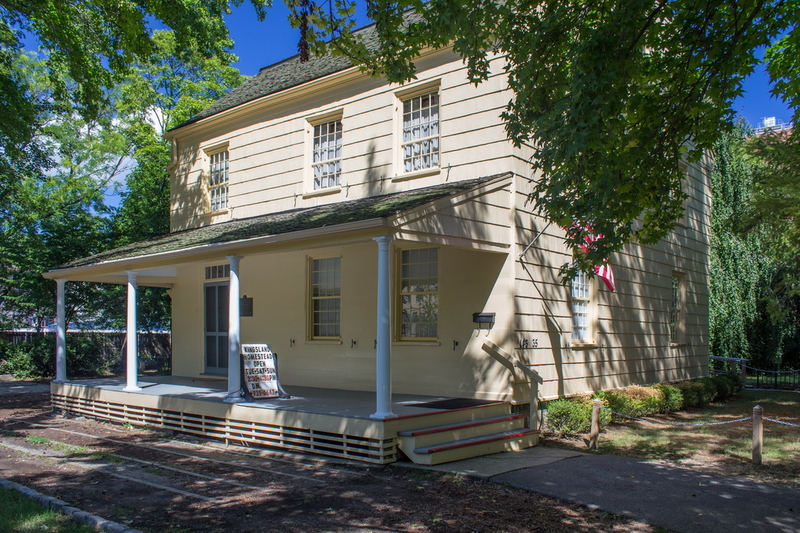 The docent gives an excellent talk about Poe, his life and times; there’s also an informative video shown in an upstairs bedroom. 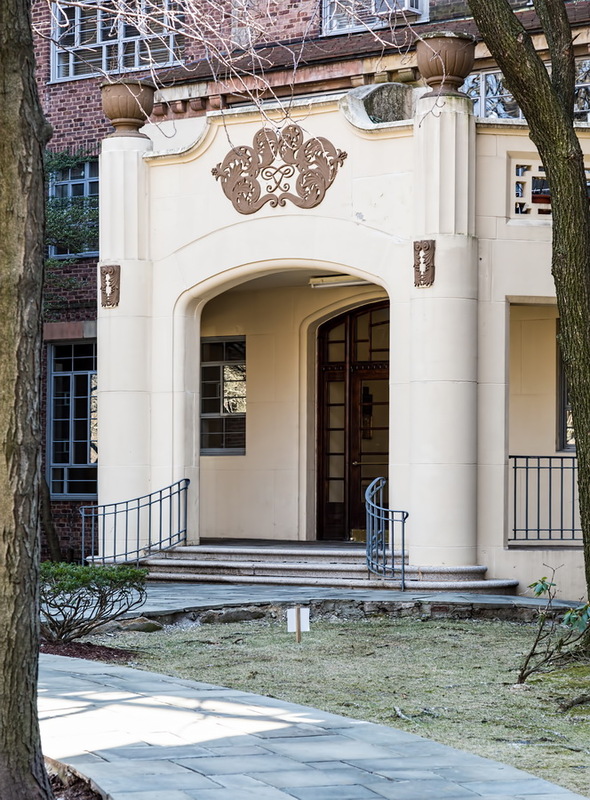 In the adjacent park, the Parks Department operates an educational center. 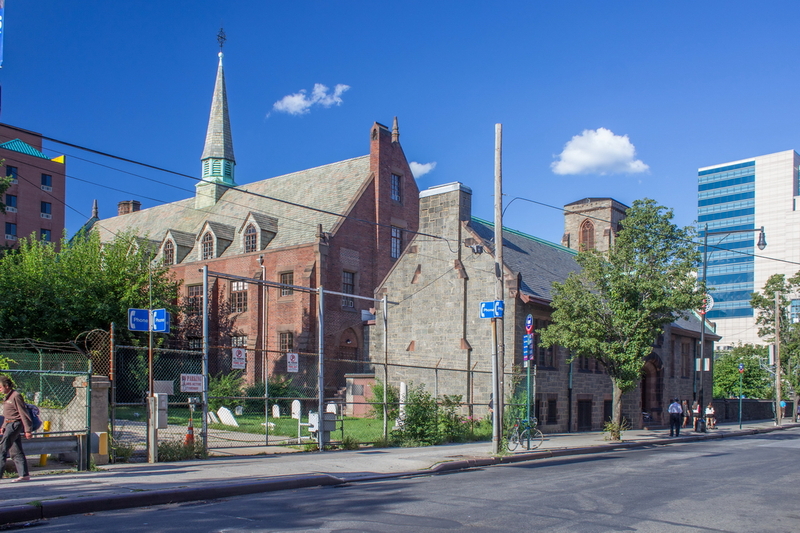 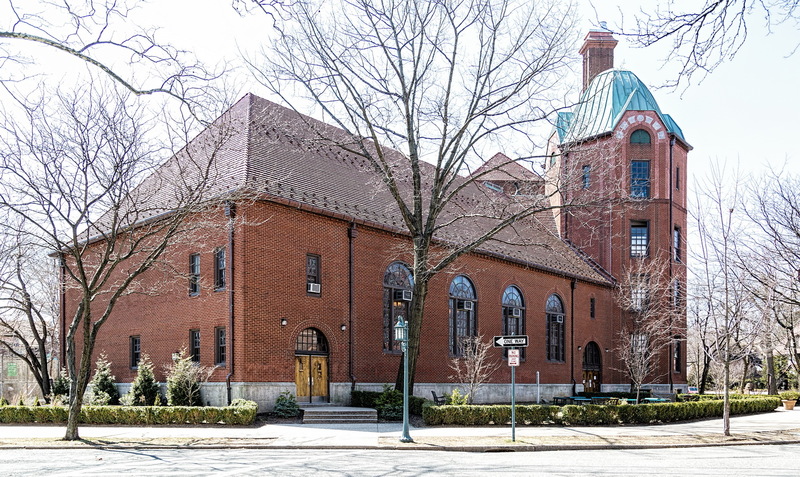 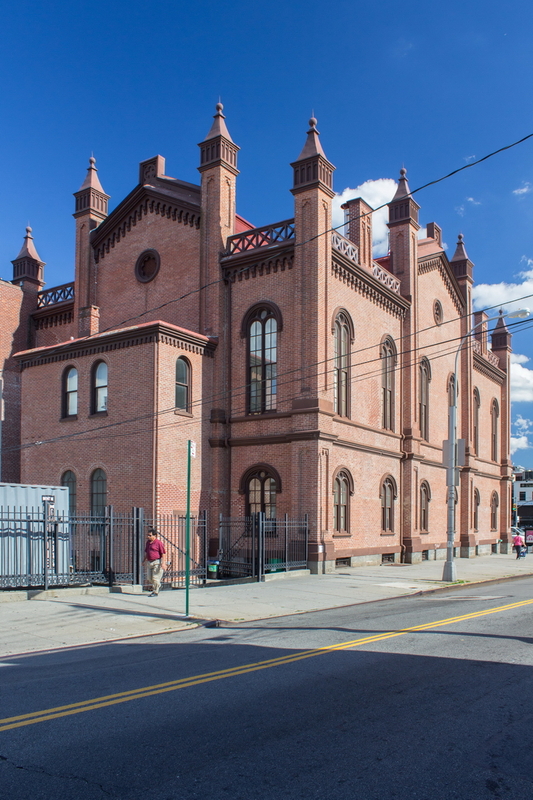 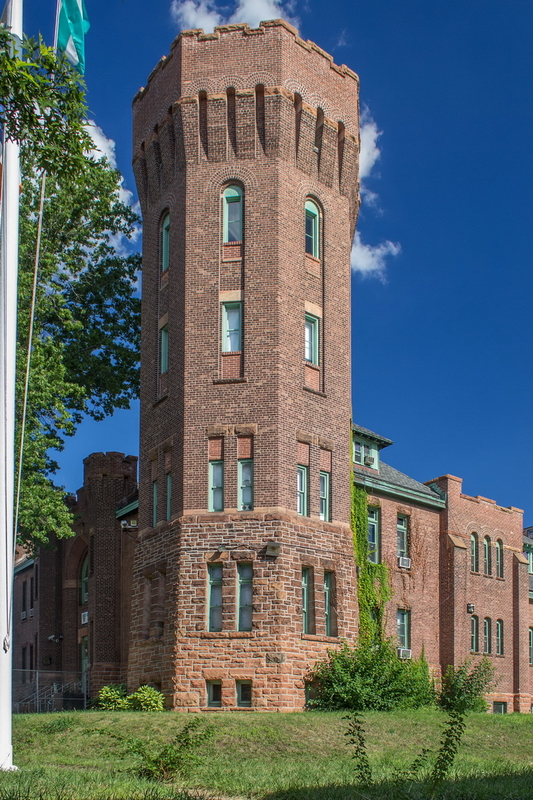 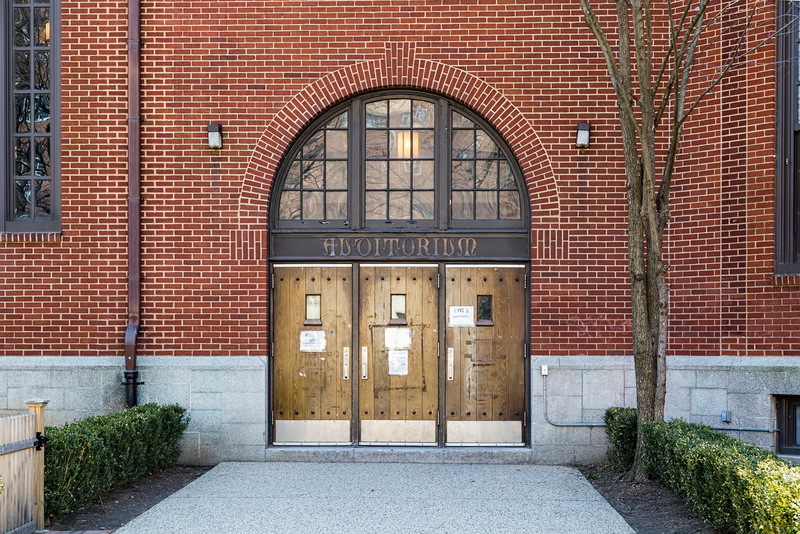 And if you need another reason to visit, the immediate neighborhood is rich in architectural treasures – including Kingsbridge Armory, two blocks west. 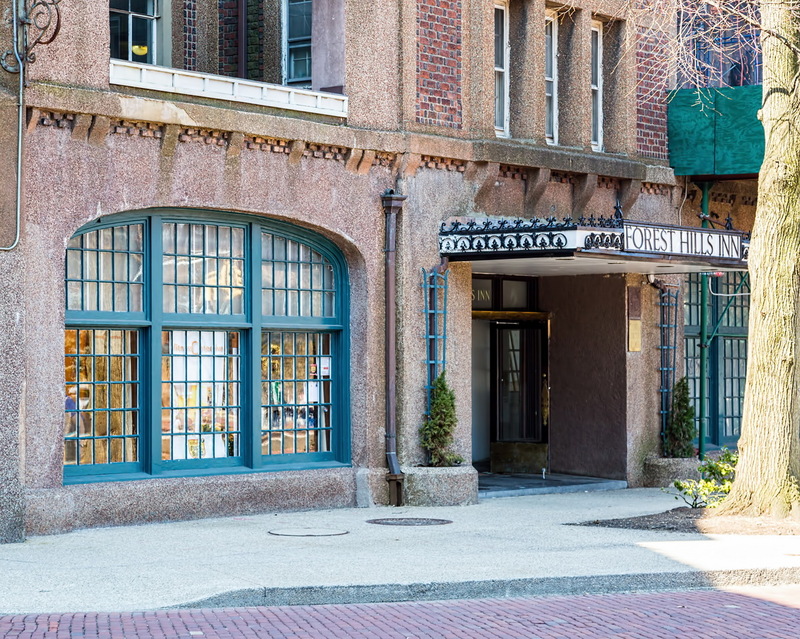 Founded as the Long Island Historical Society in 1863; changed its name to Brooklyn Historical Society in 1985. 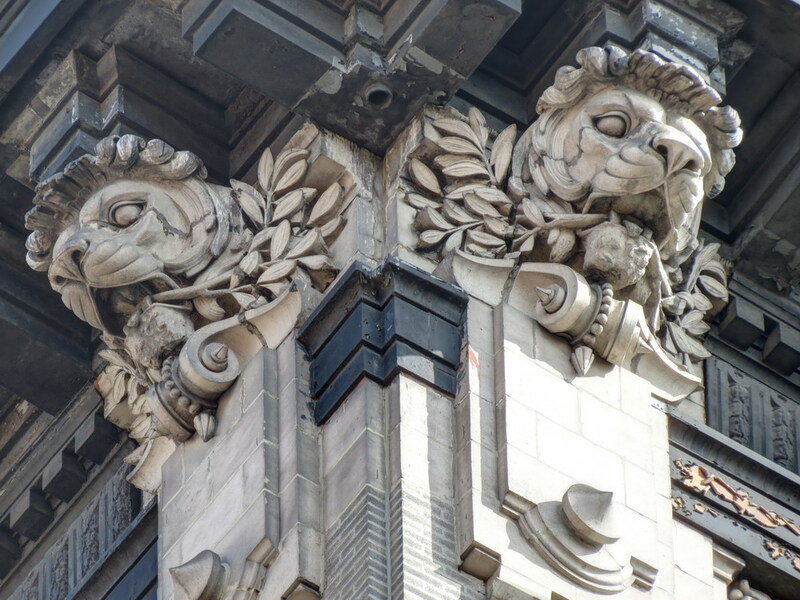 The building is still going through restoration – the main floor gallery is the current (as of September 2012) project; most other areas, inside and out, are stunningly beautiful. 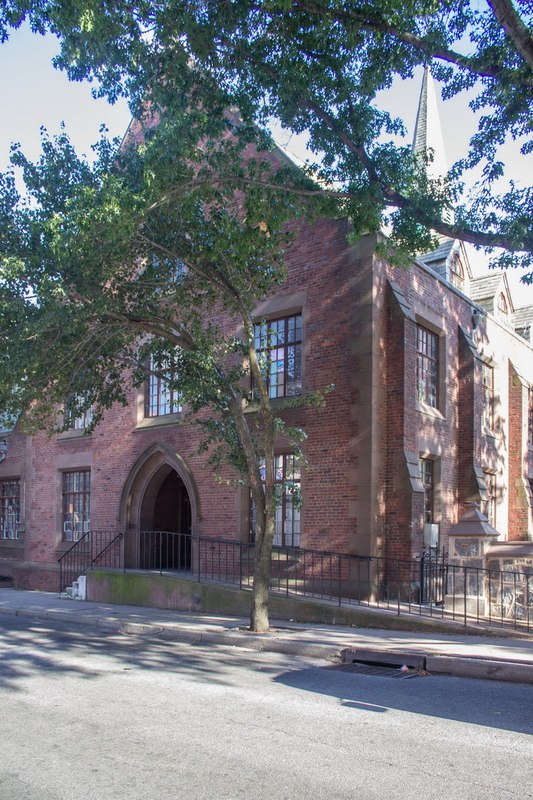 In addition to the exhibit galleries, the Society houses an impressive research library. 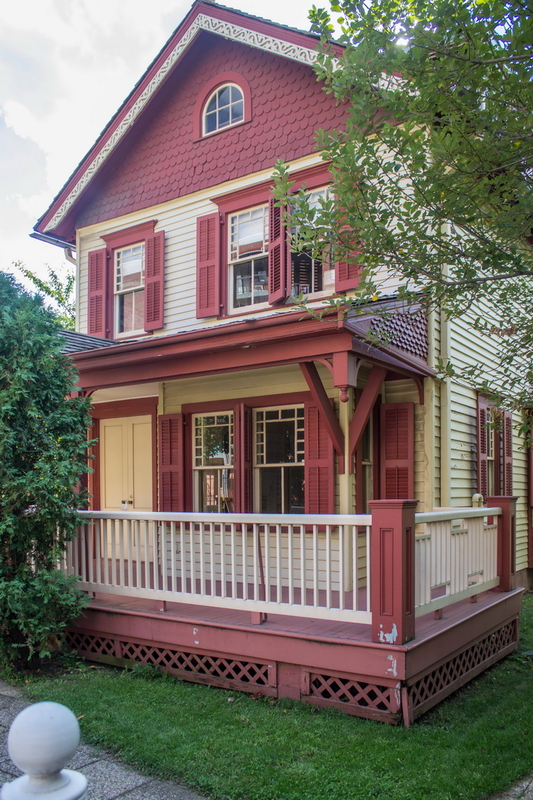 Historic Richmond Town is a score of restored/reconstructed homes, farms, businesses, schools and churches, dating from the 1700s and 1800s. 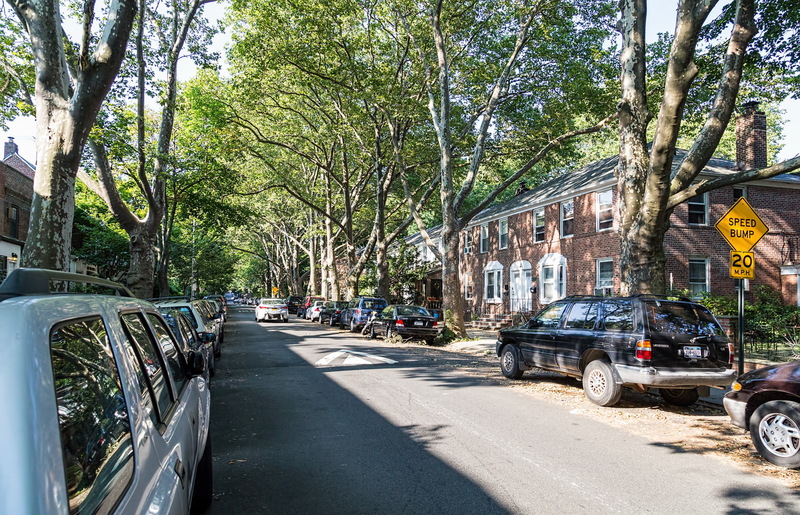 It’s quite rural compared to the rest of the city and very popular for school outings. 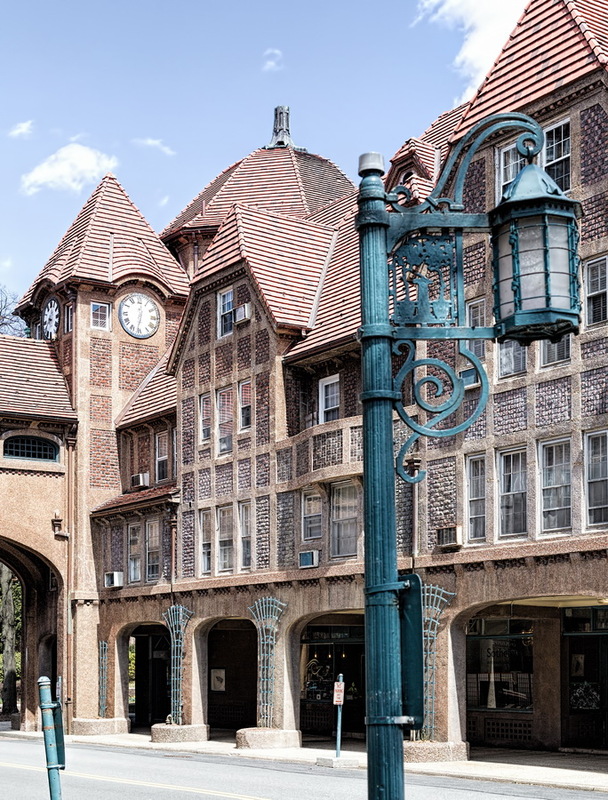 There are several themed tours – consider this an all-day trip – or several trips! 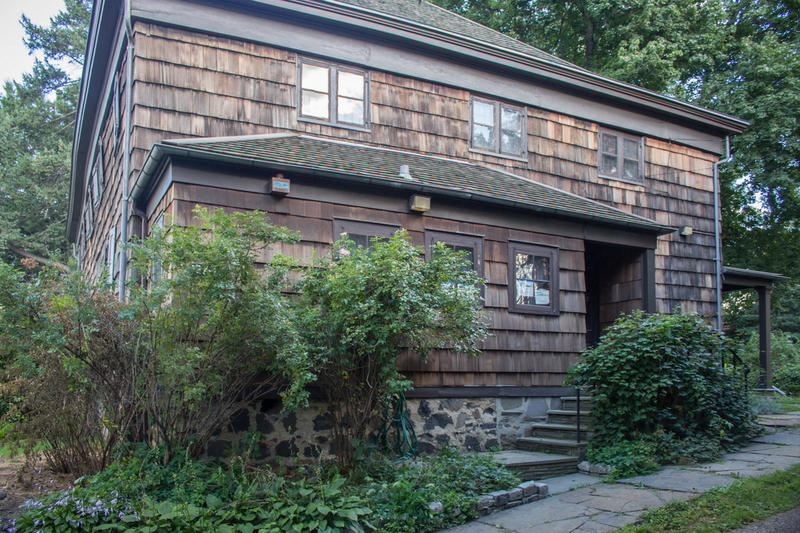 If you’re very ambitious, there’s a Frank Lloyd Wright-designed home (see “The Wright Stuff” gallery.) 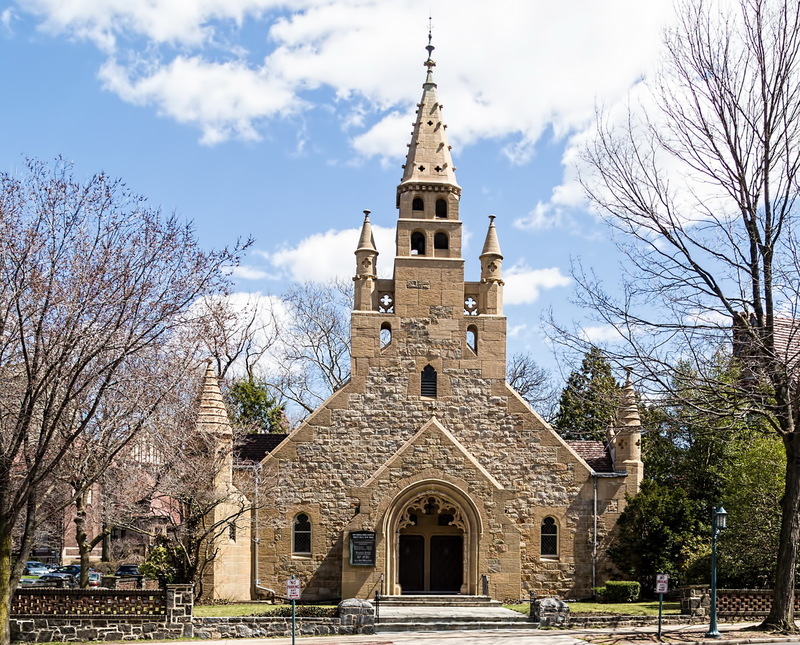 and a lighthouse at the top of the hill overlooking Historic Richmond Town, and a beautiful church and cemetery across the street. 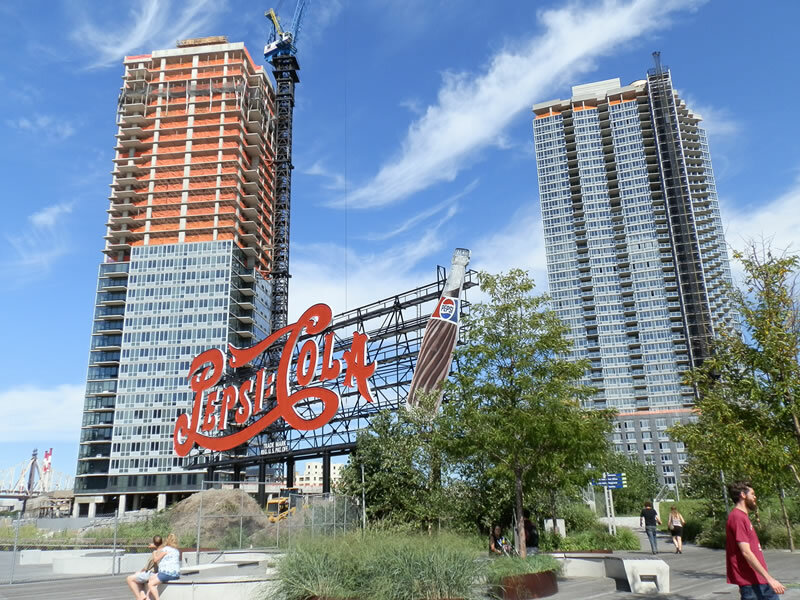 This is the site of the New York City panorama, updated from the 1964 NY World’s Fair. 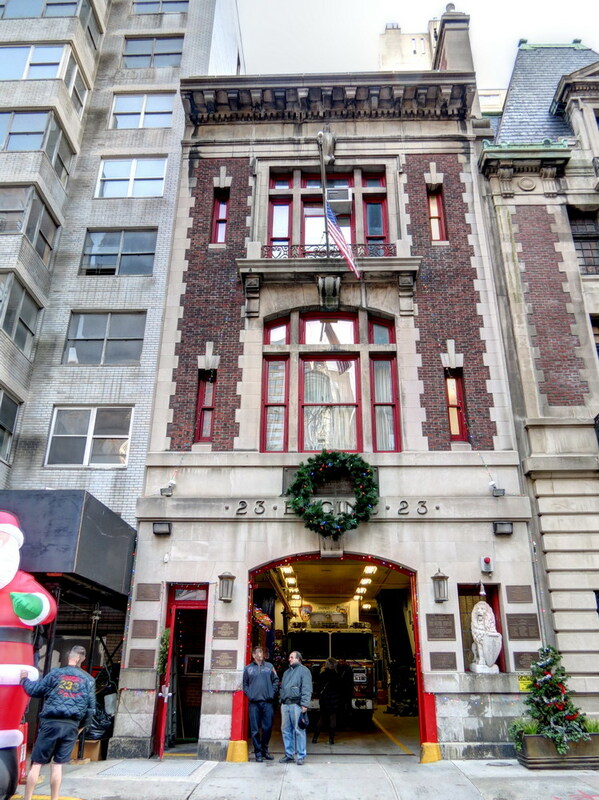 Operates out of several preserved/restored tenement buildings, with guided tours that send you back in time.